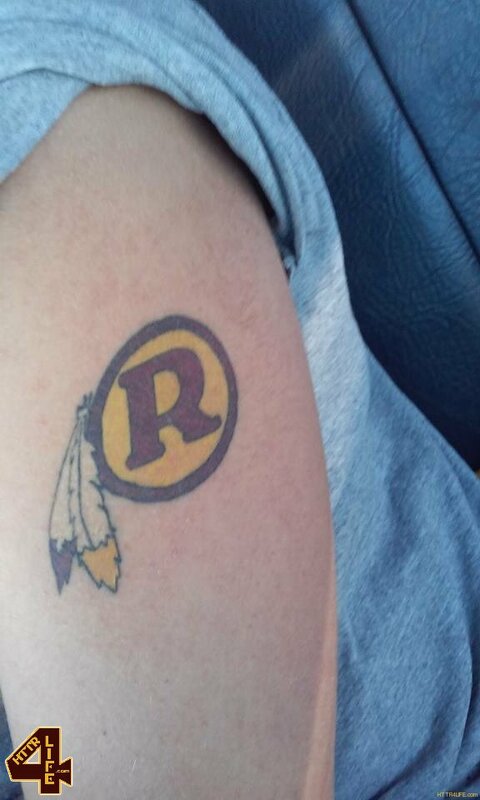 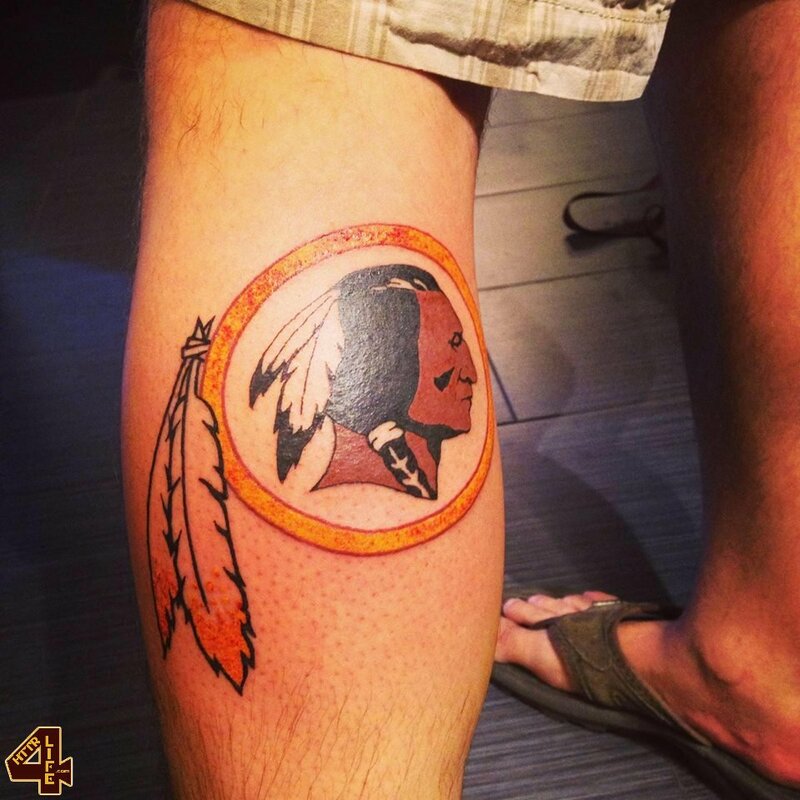 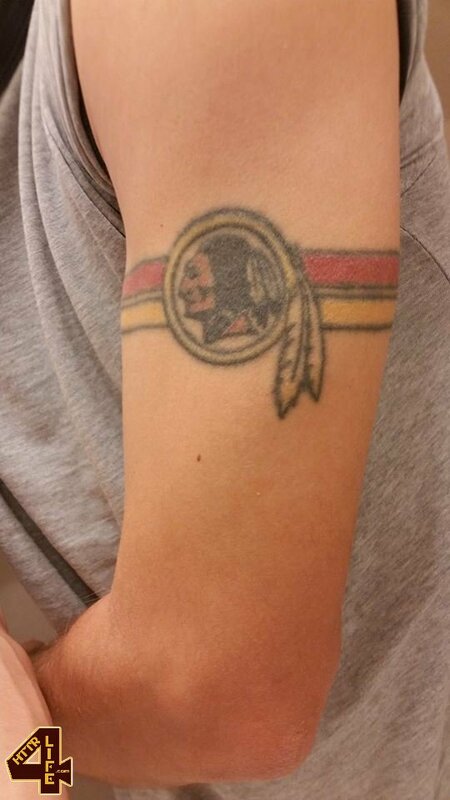 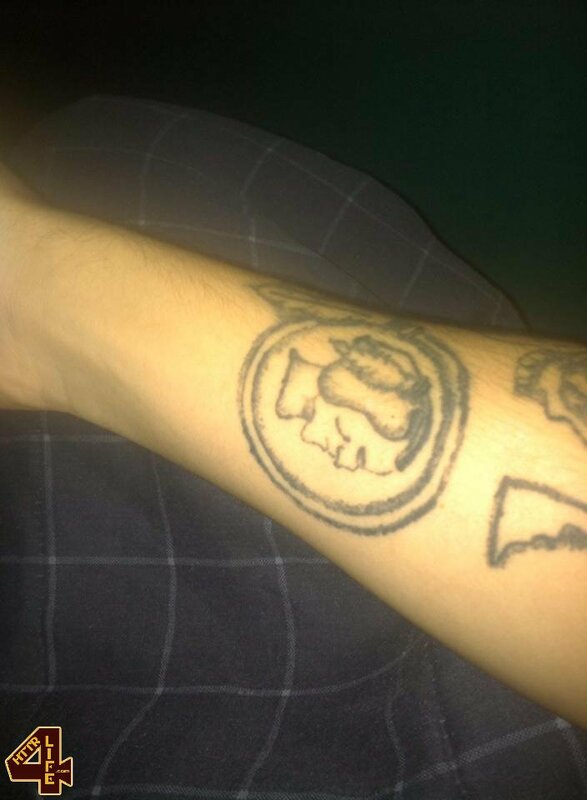 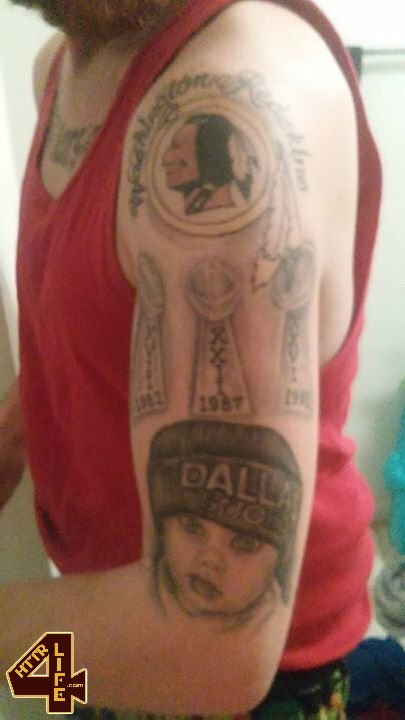 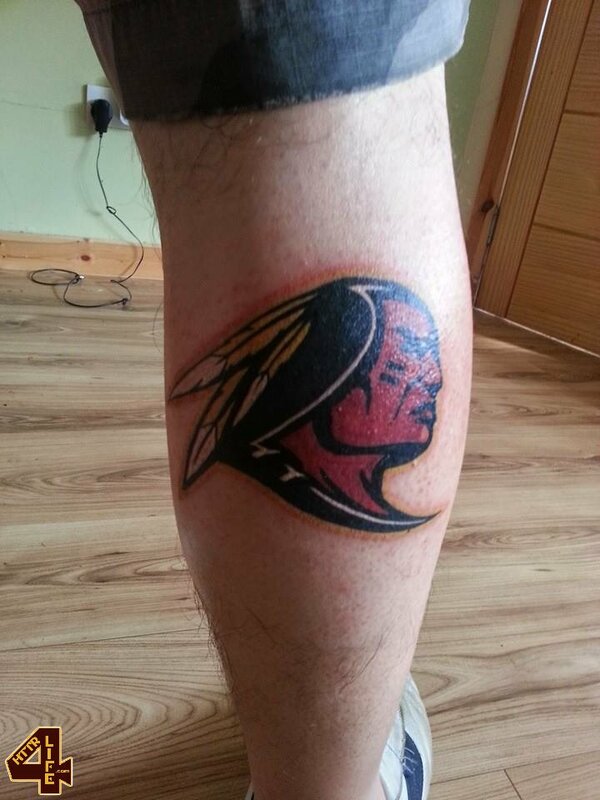 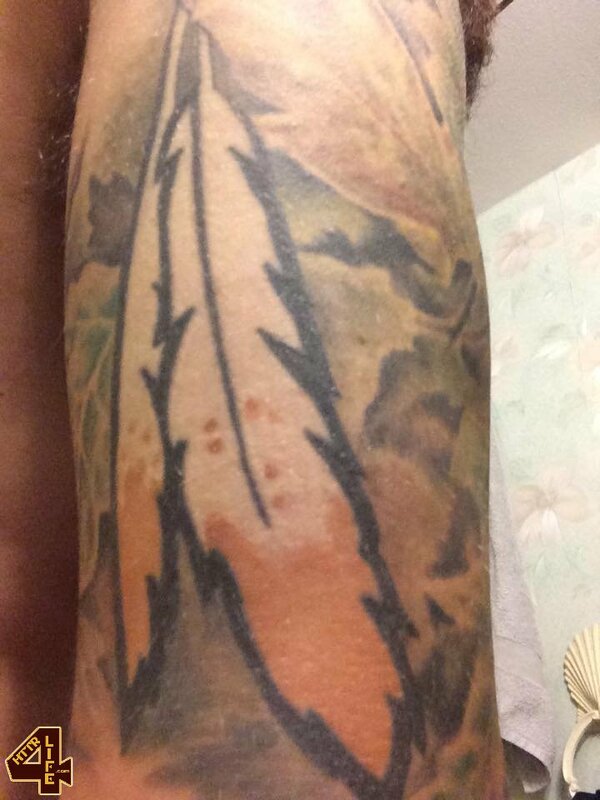 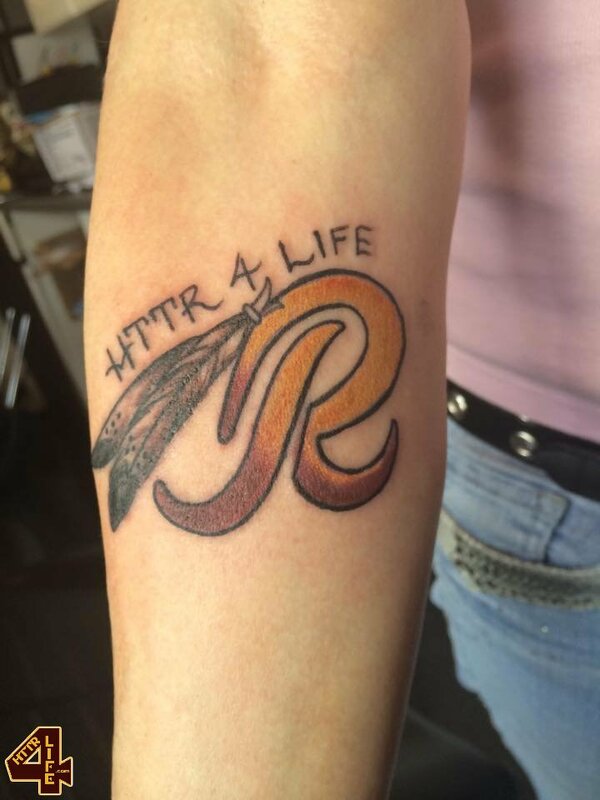 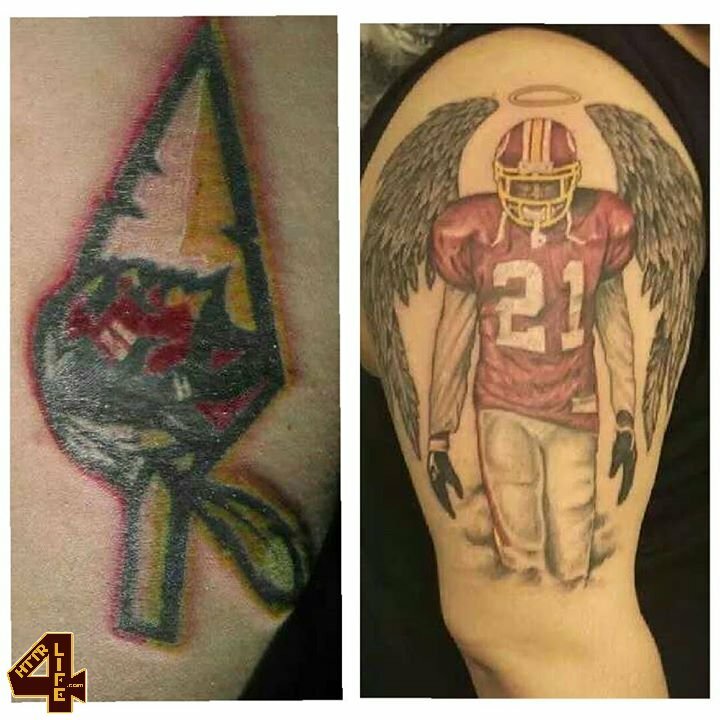 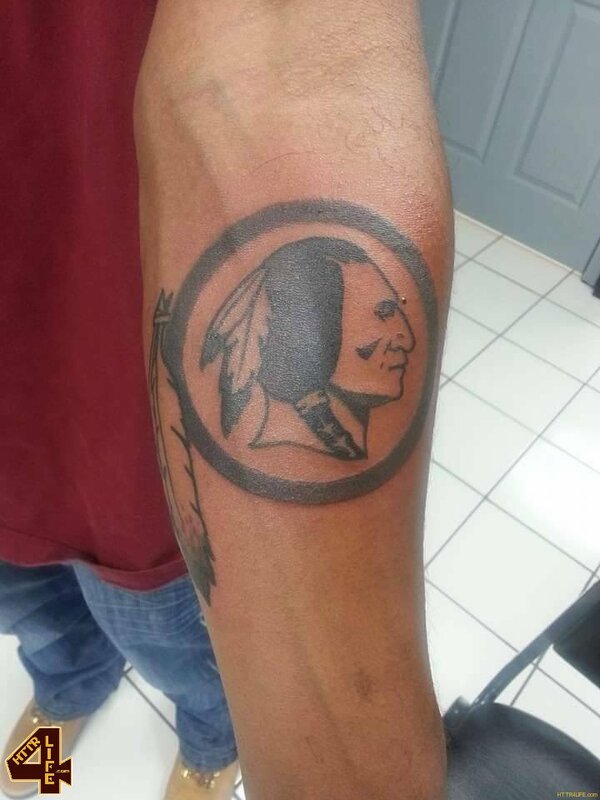 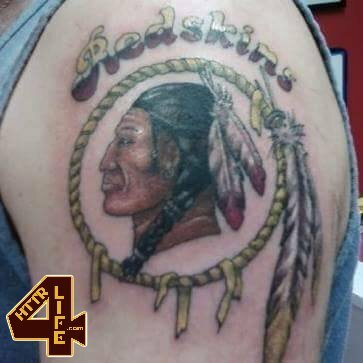 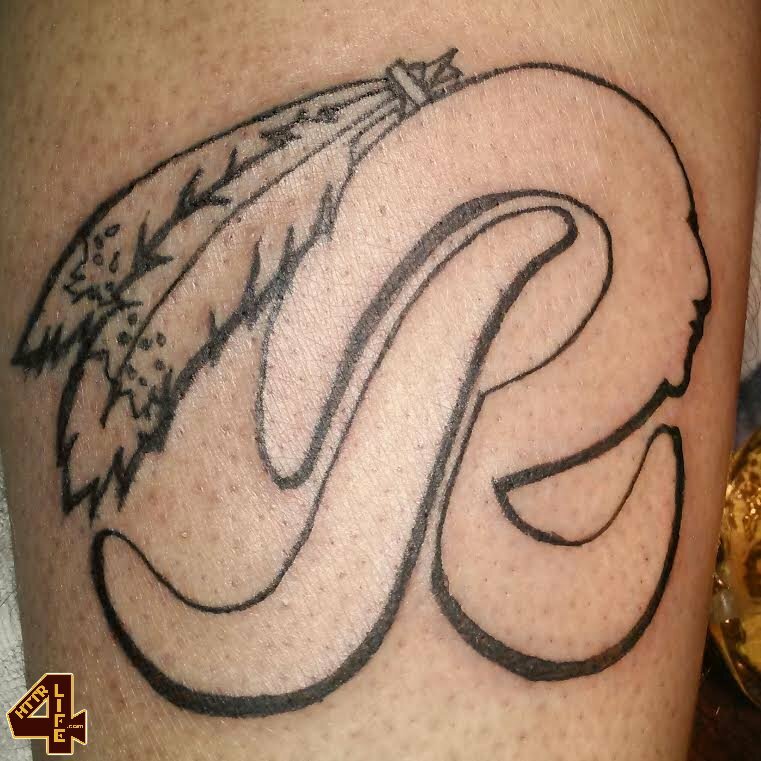 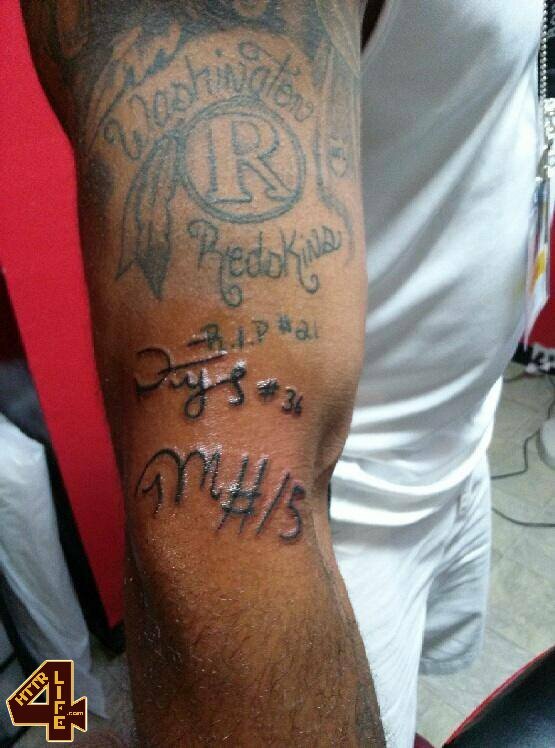 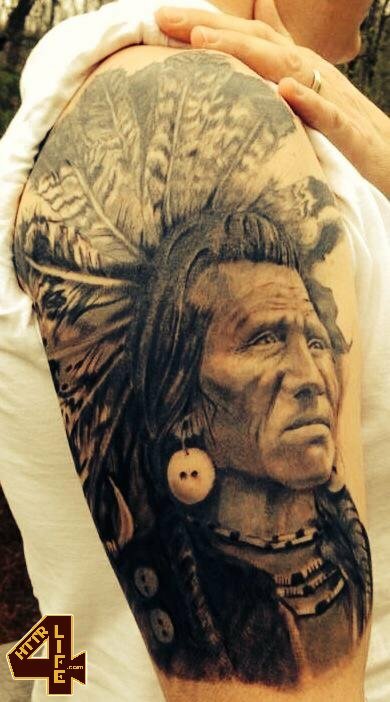 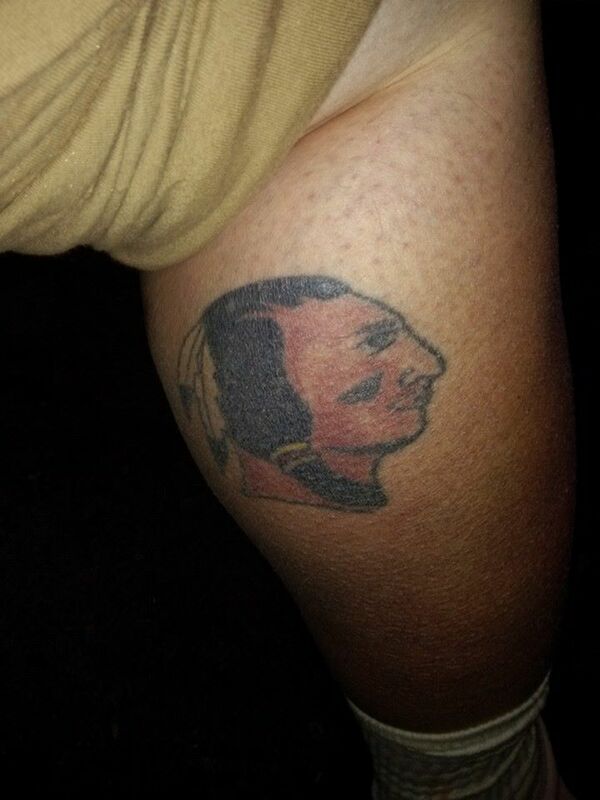 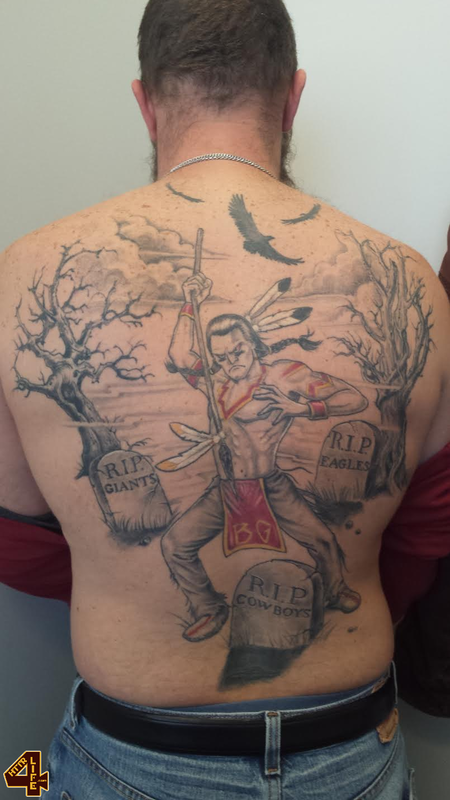 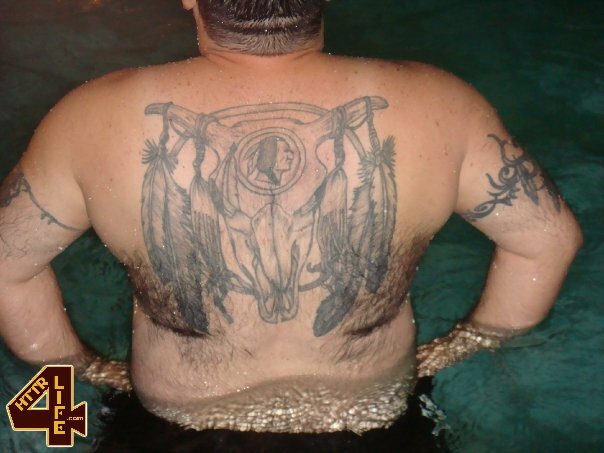 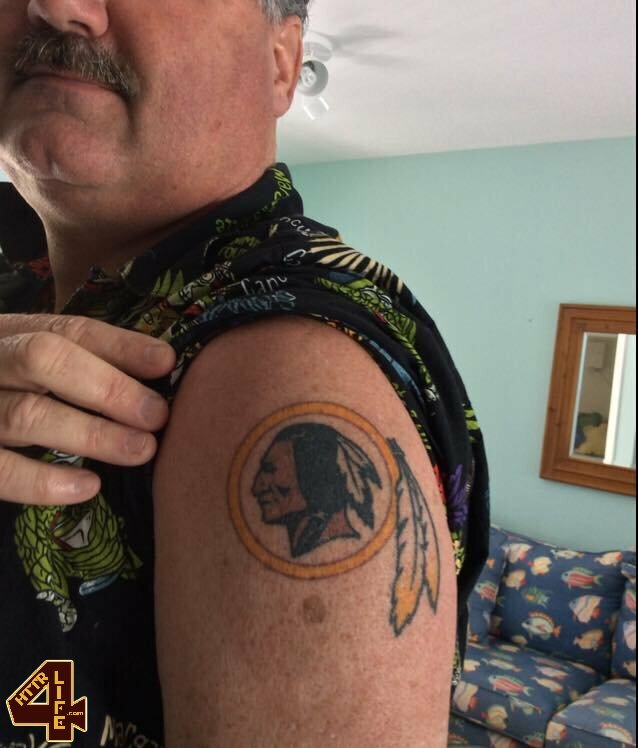 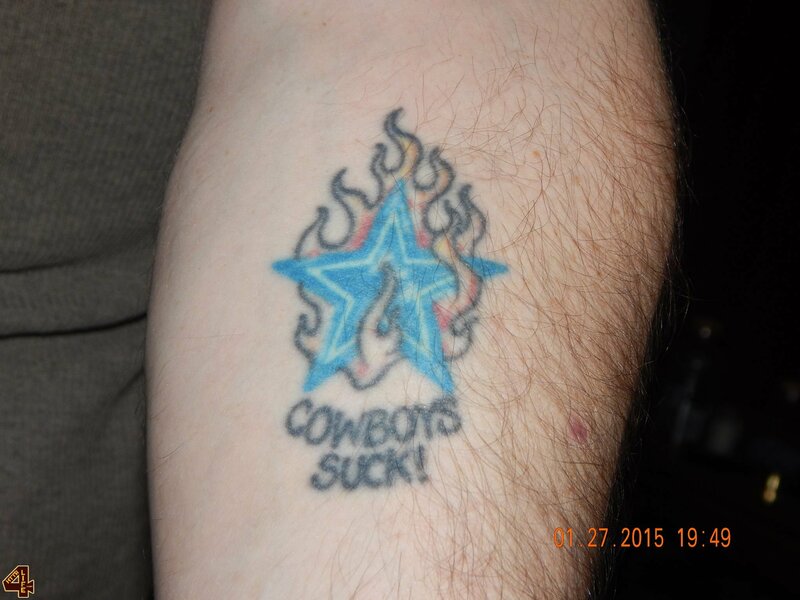 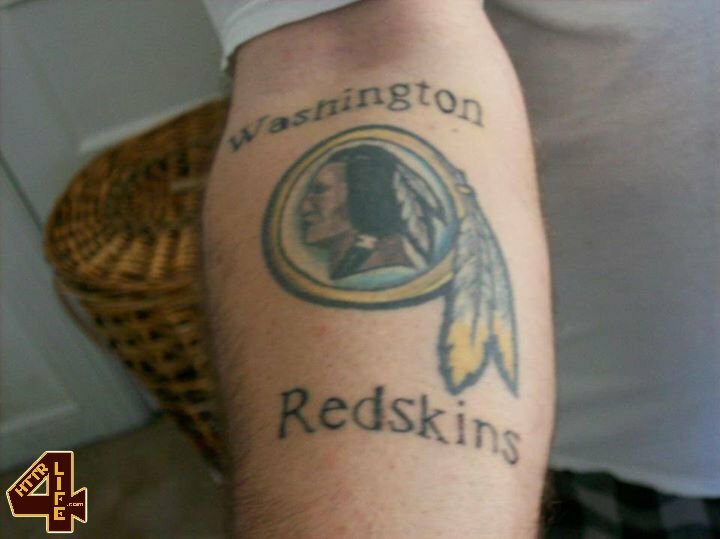 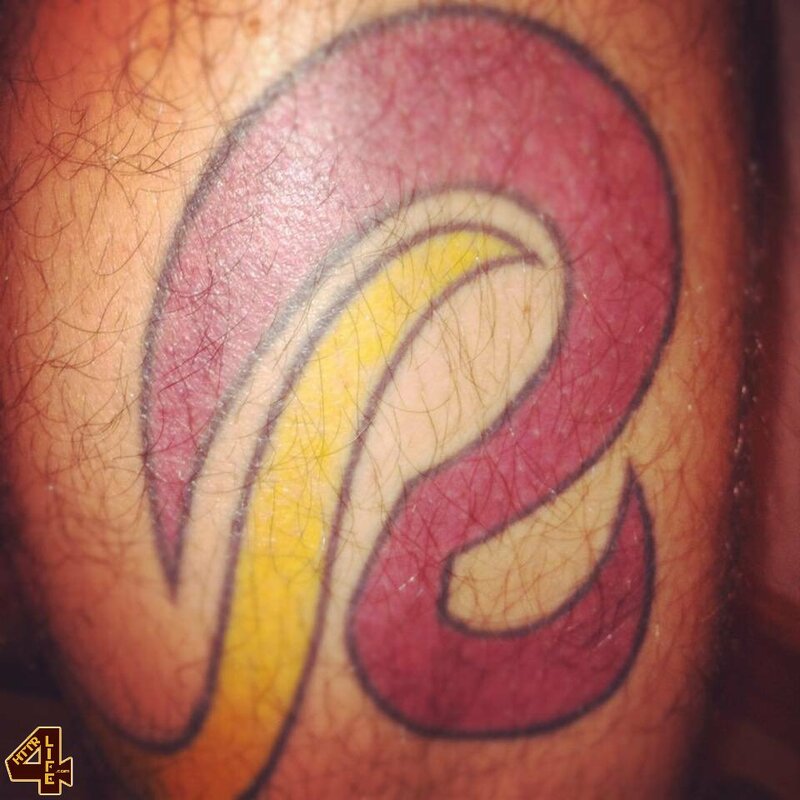 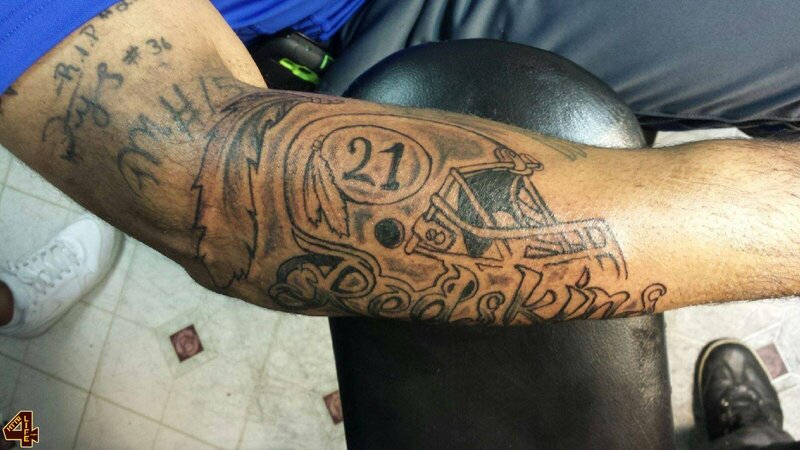 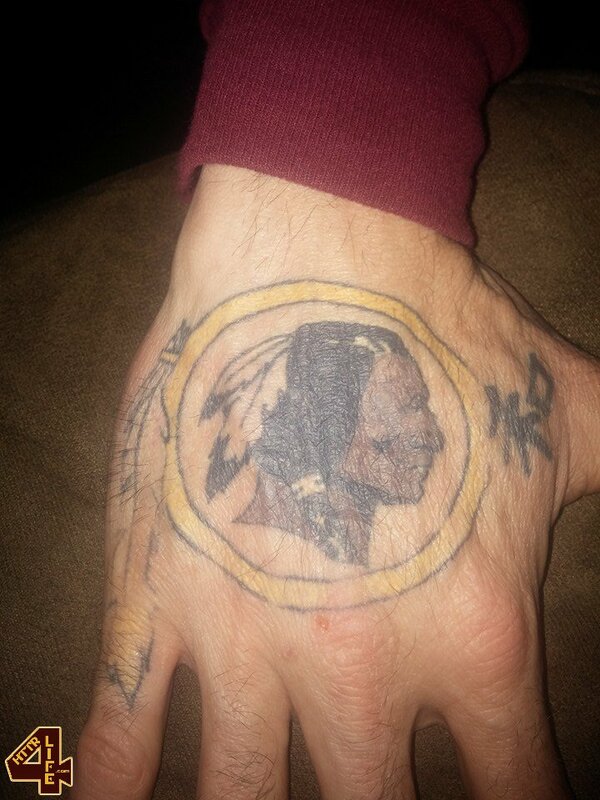 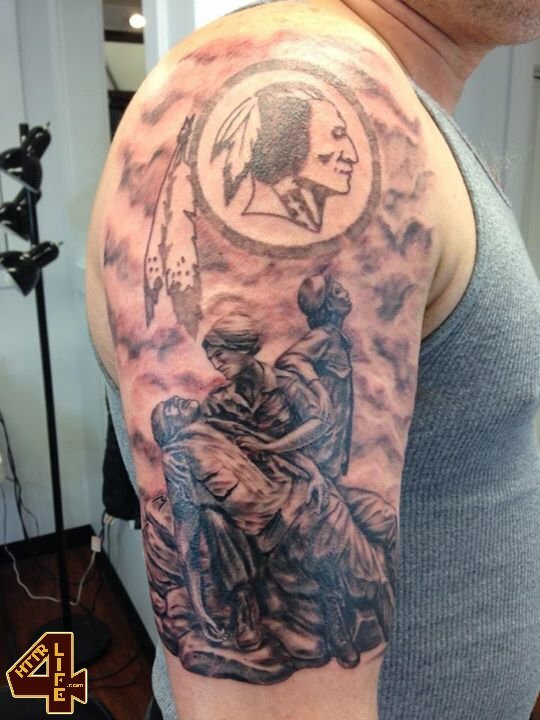 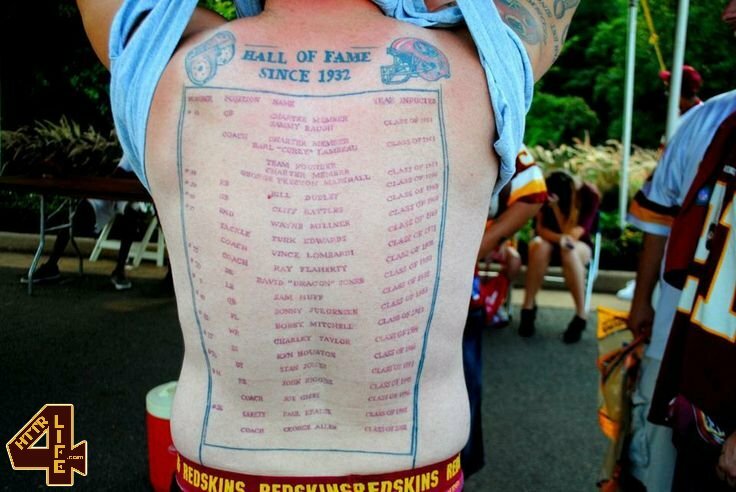 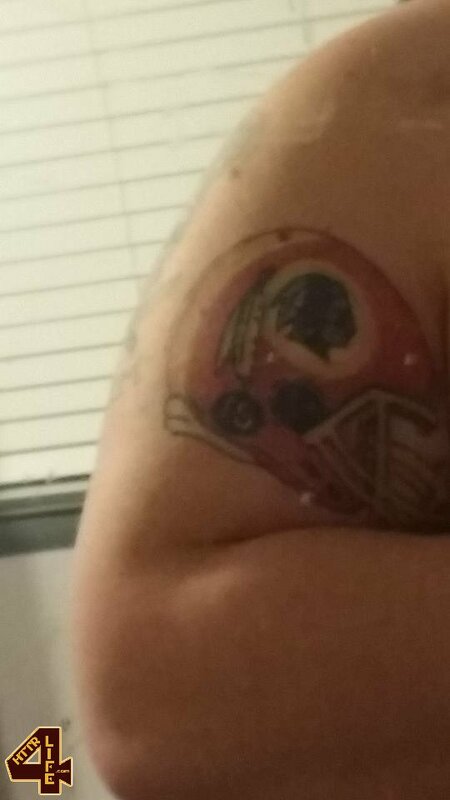 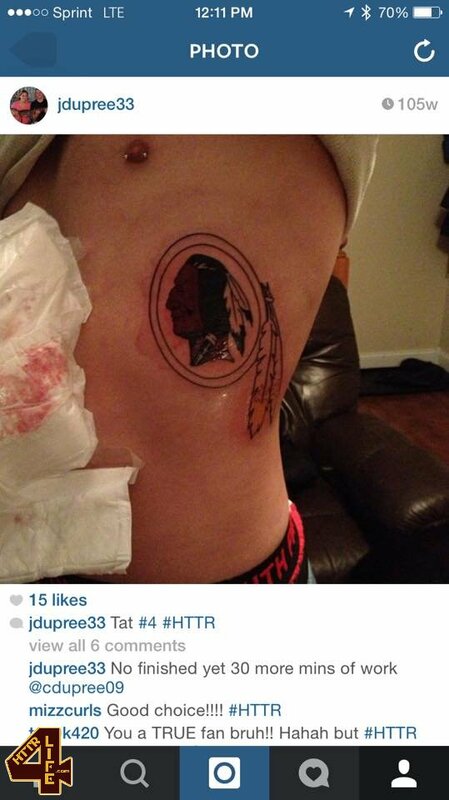 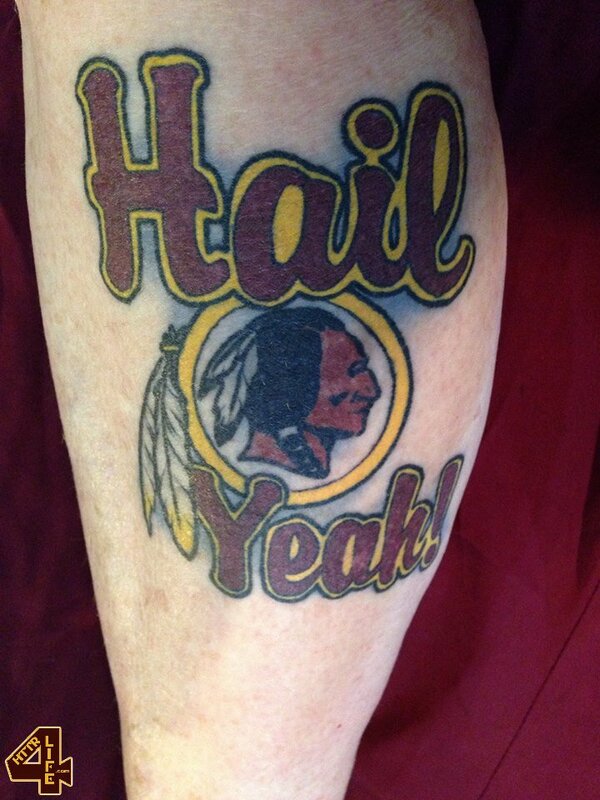 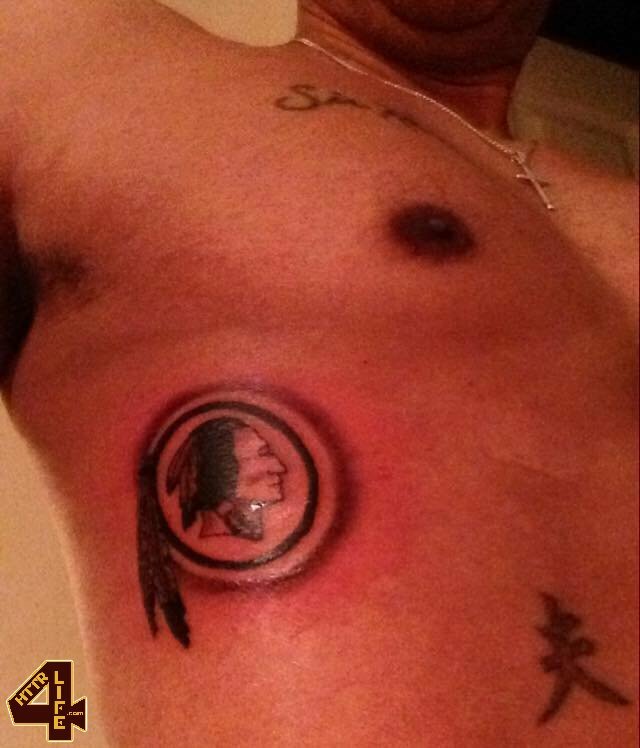 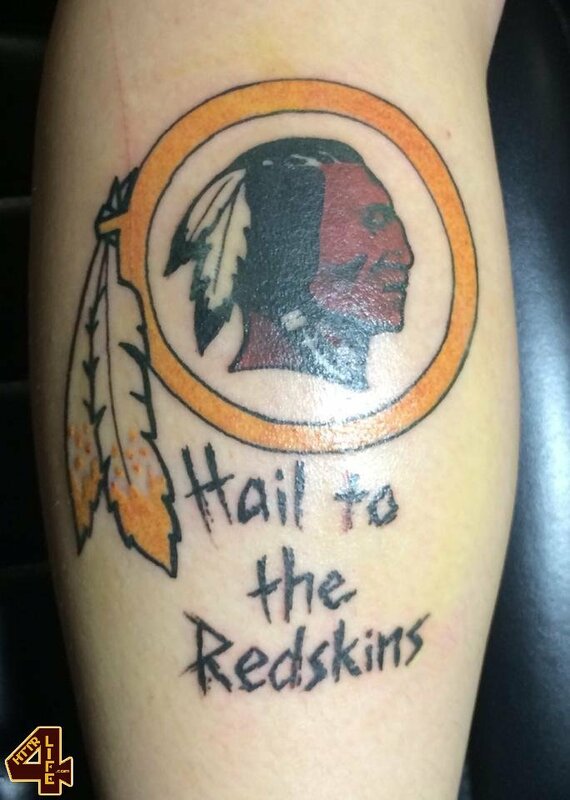 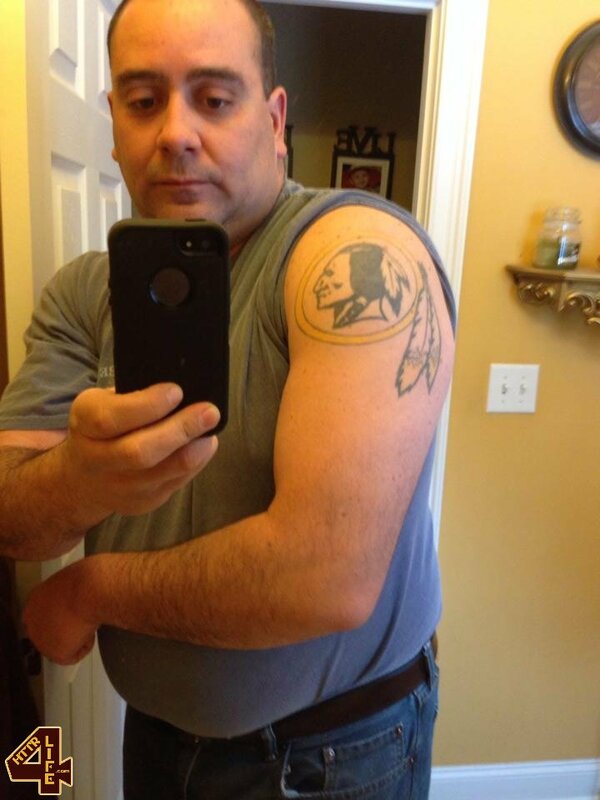 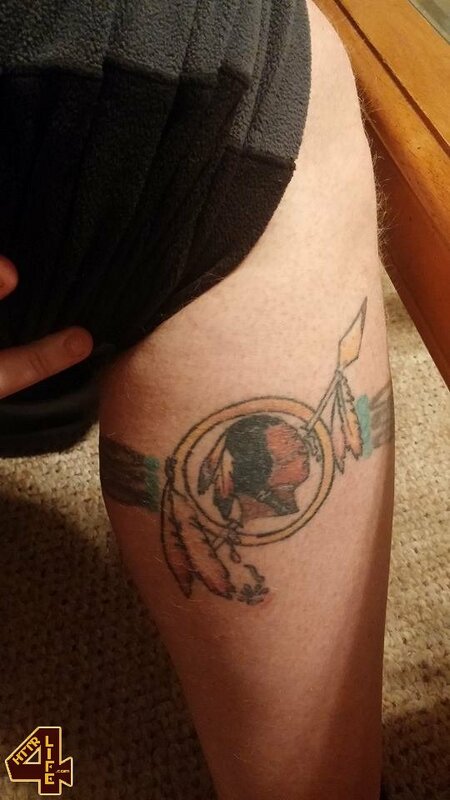 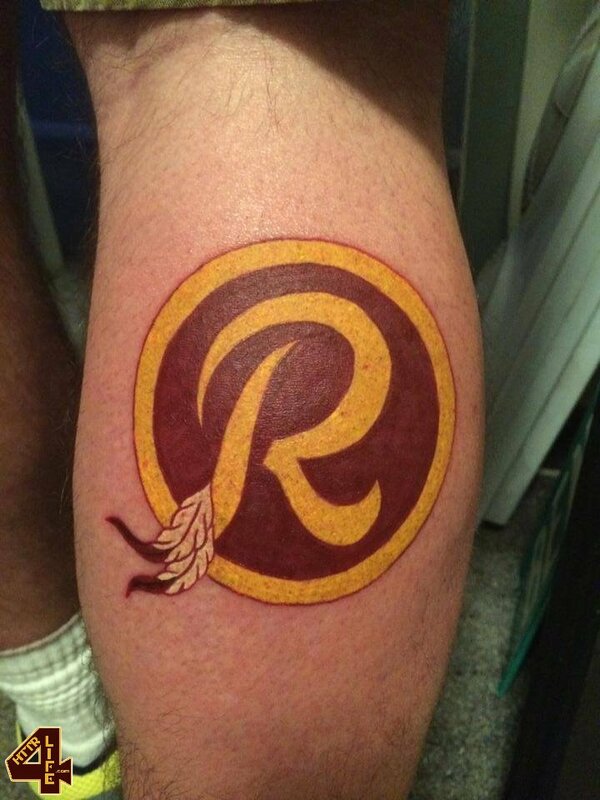 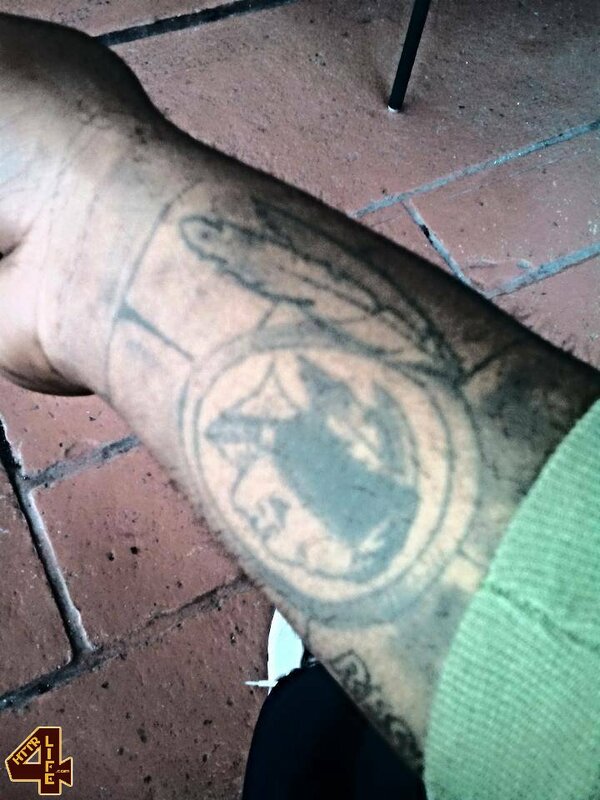 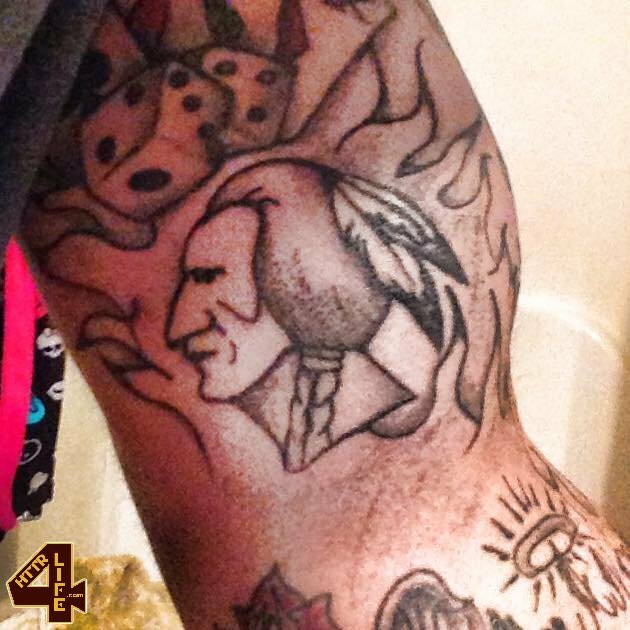 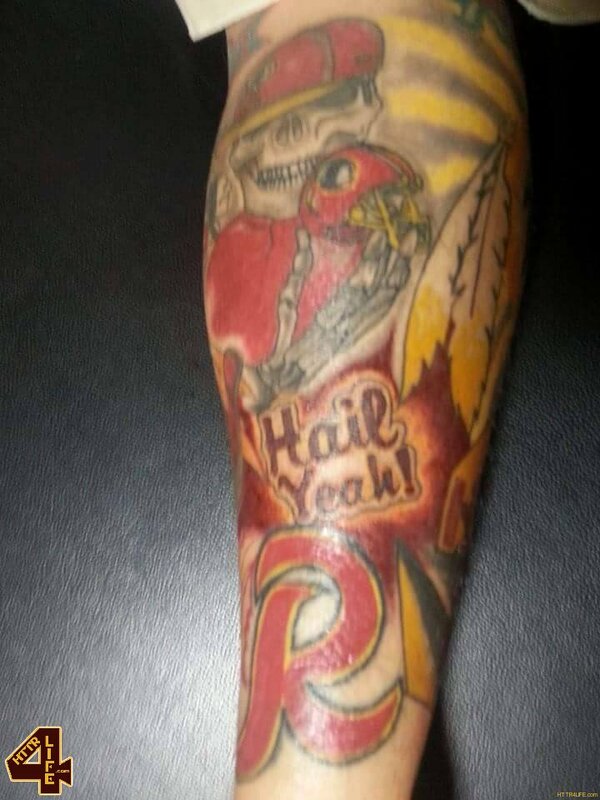 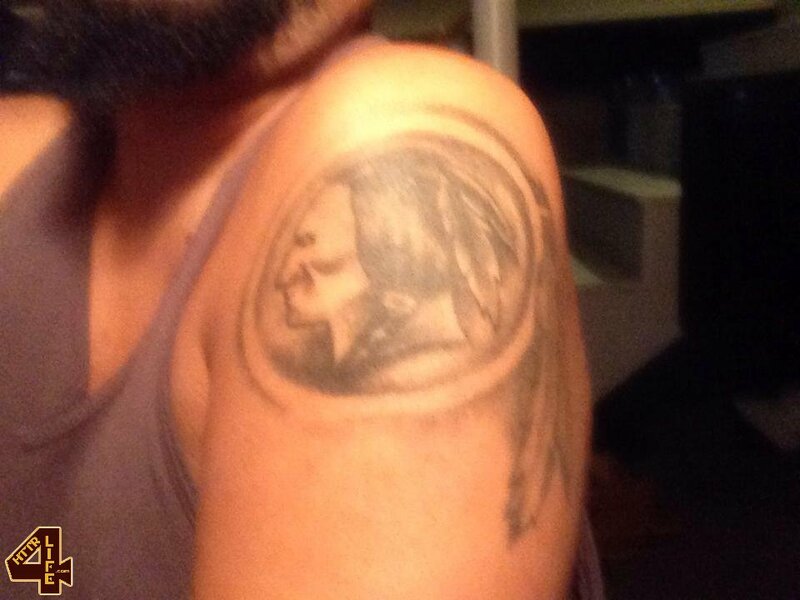 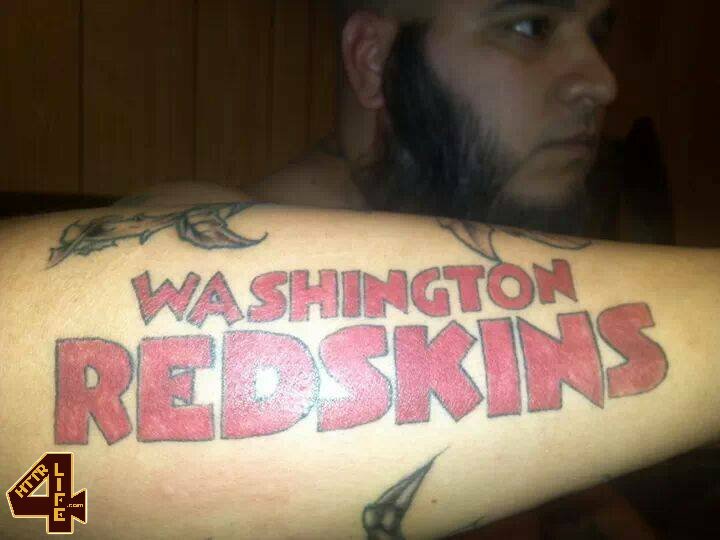 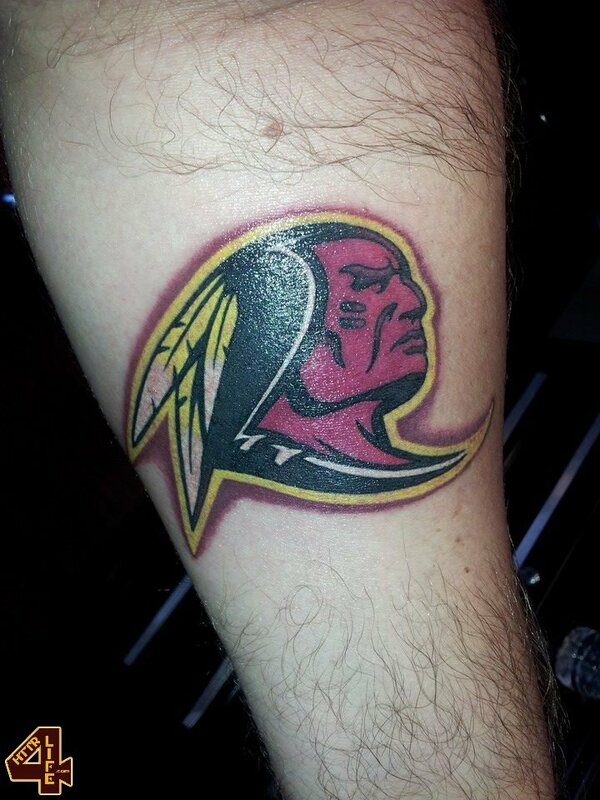 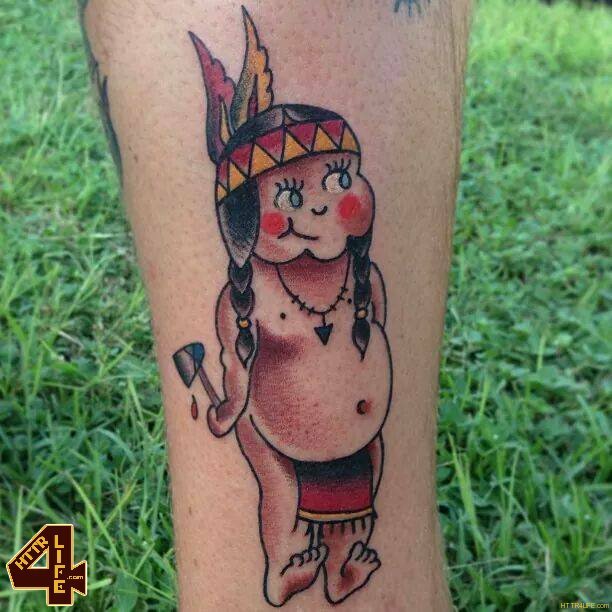 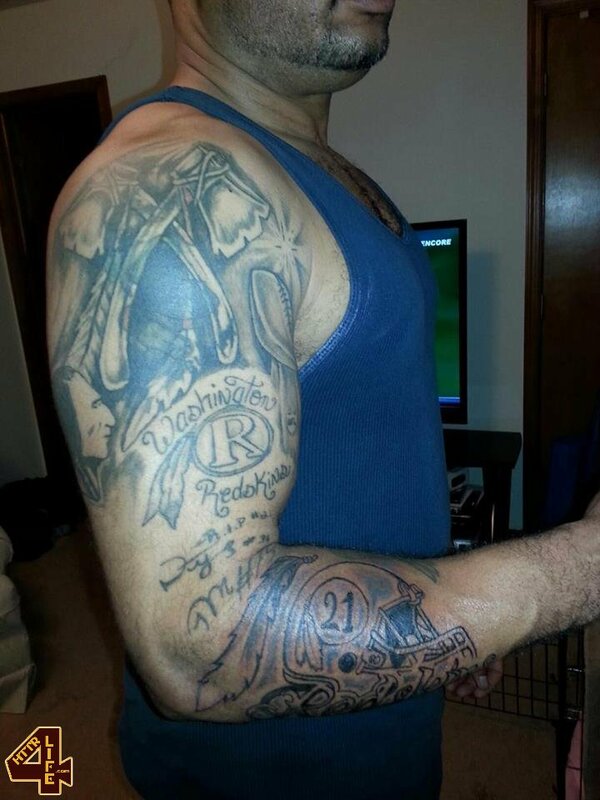 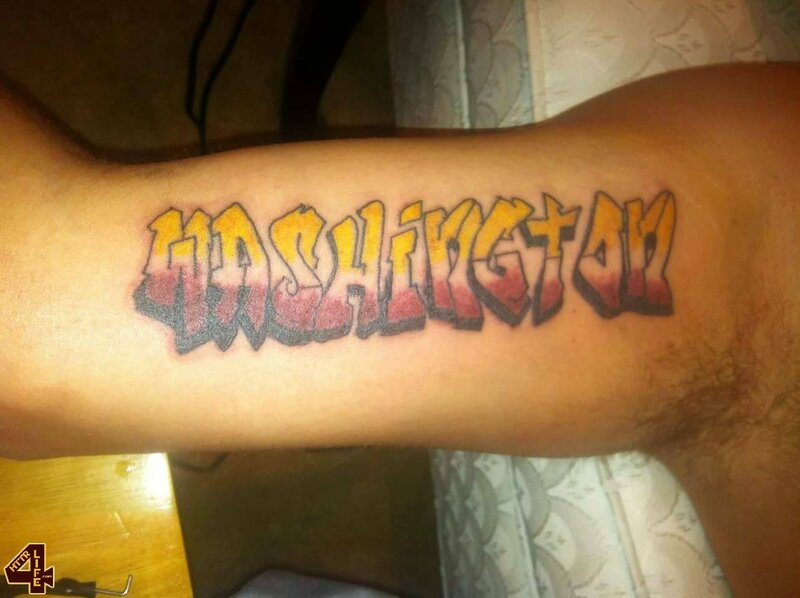 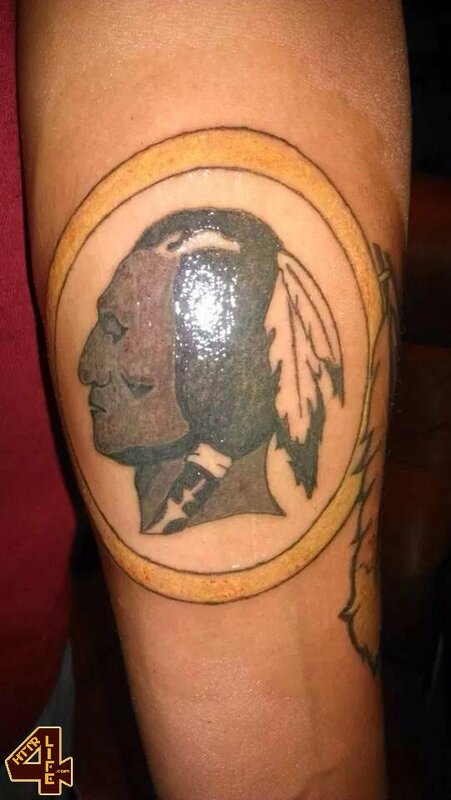 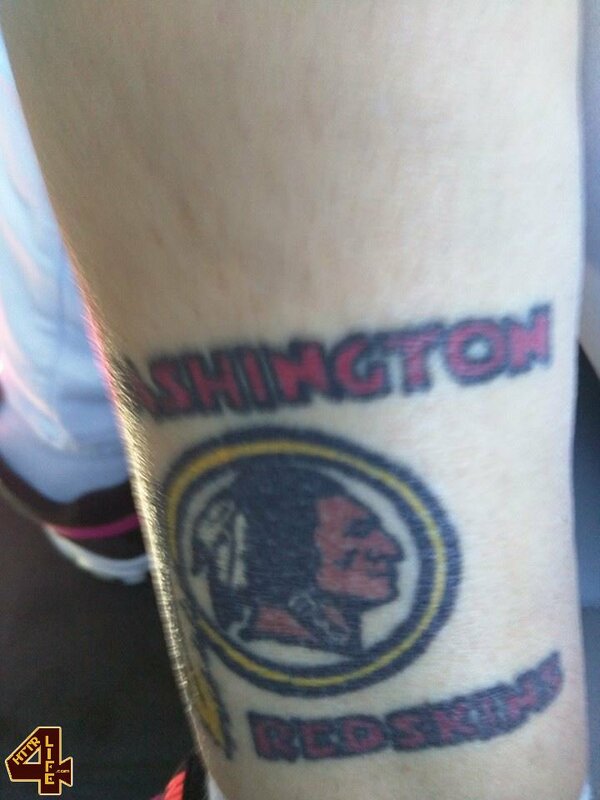 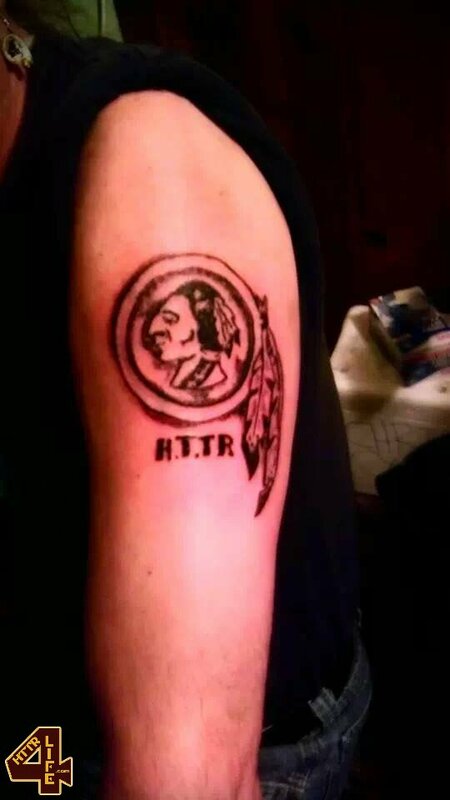 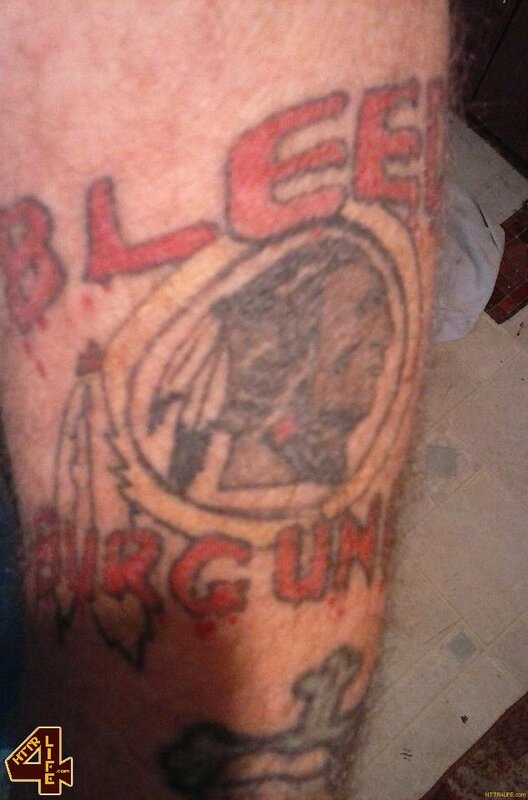 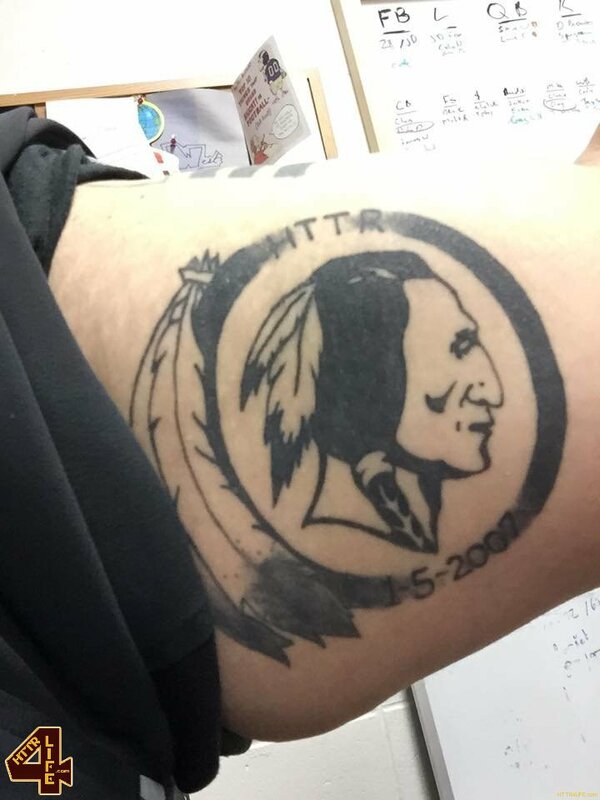 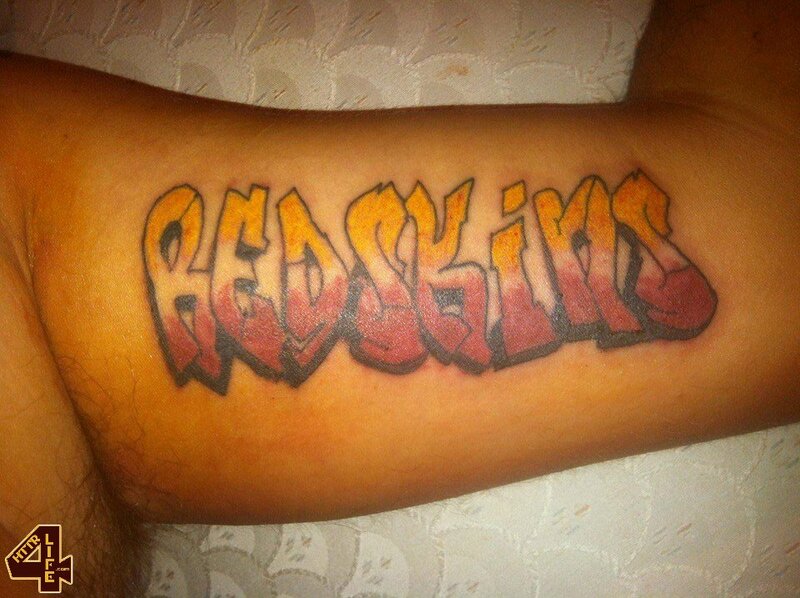 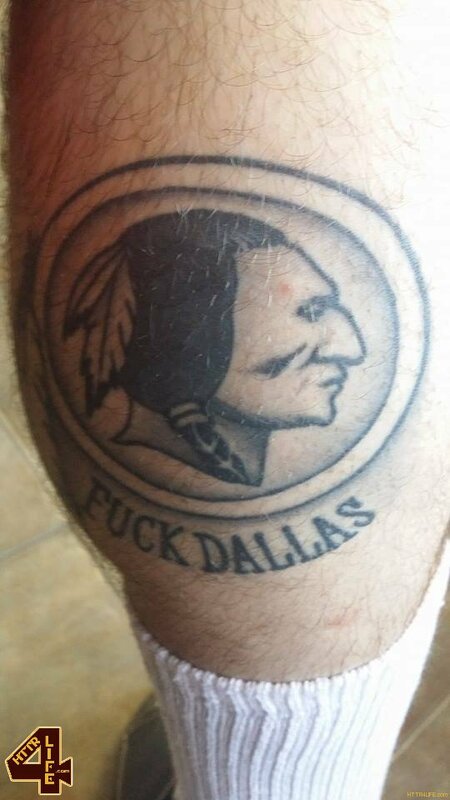 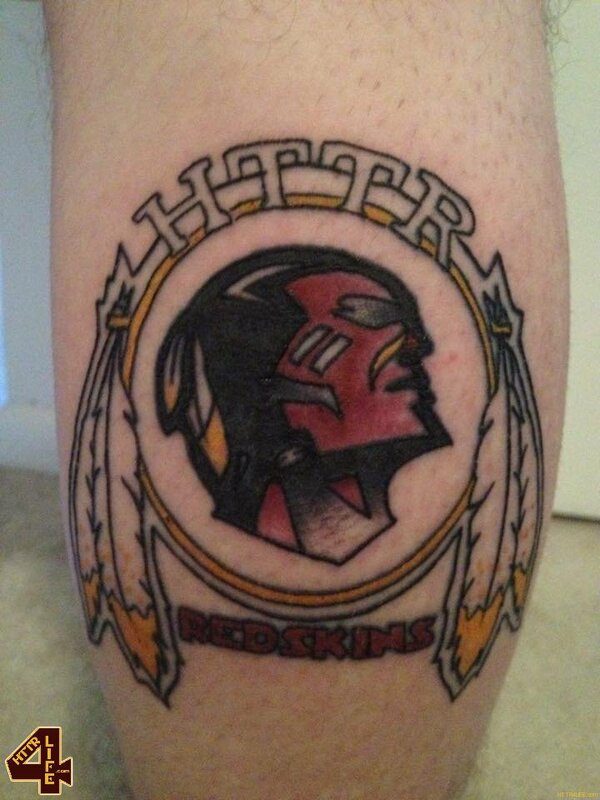 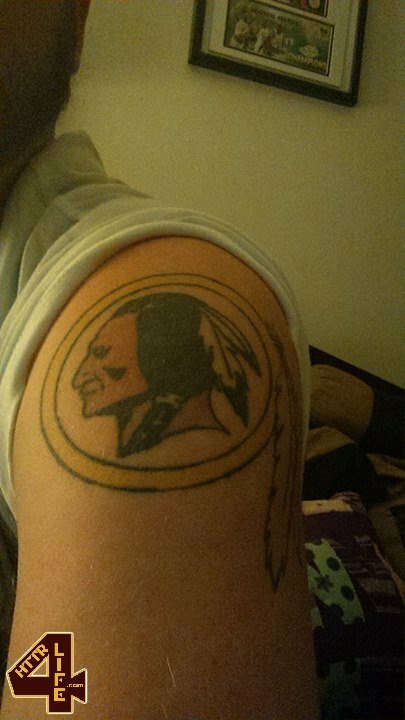 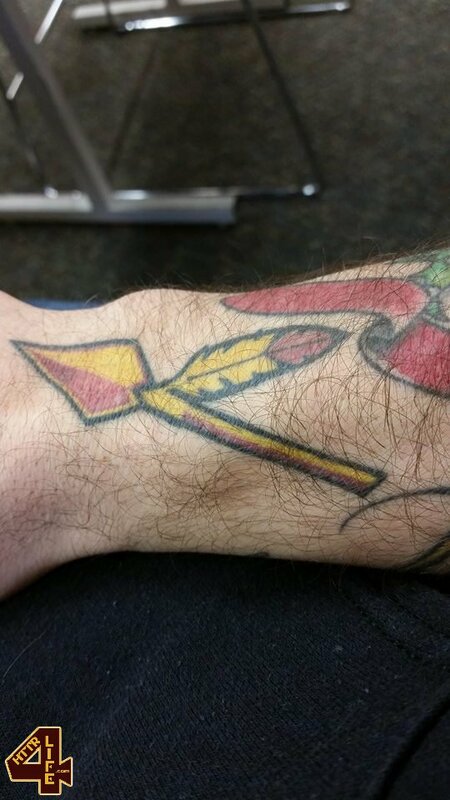 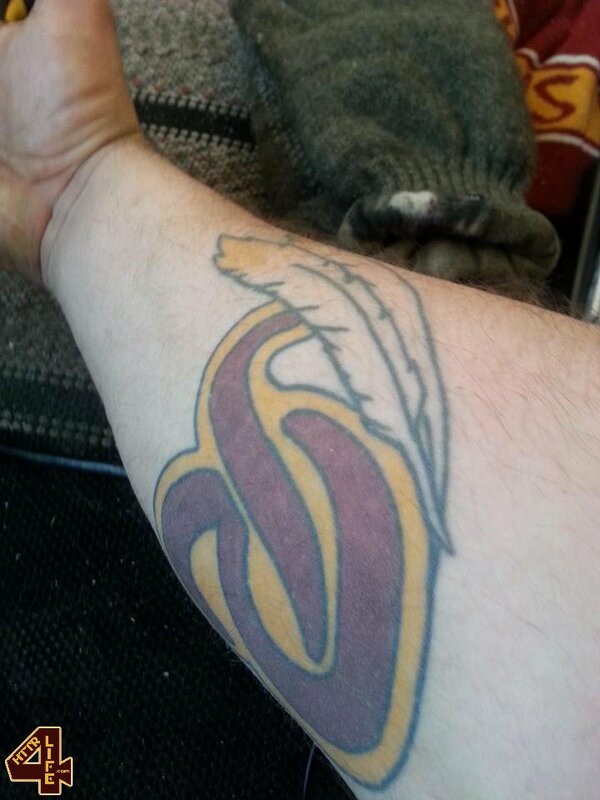 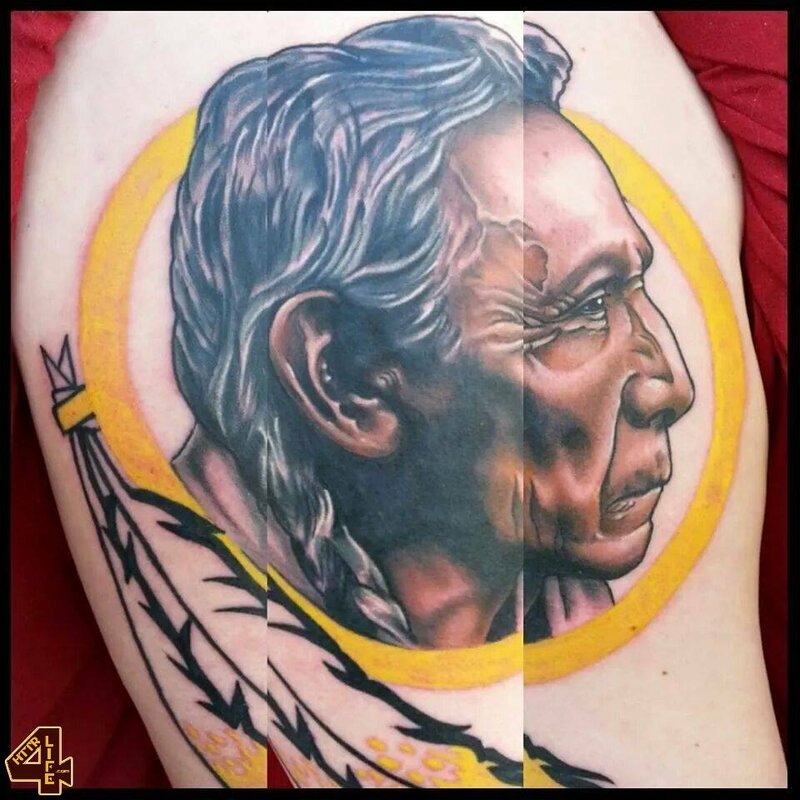 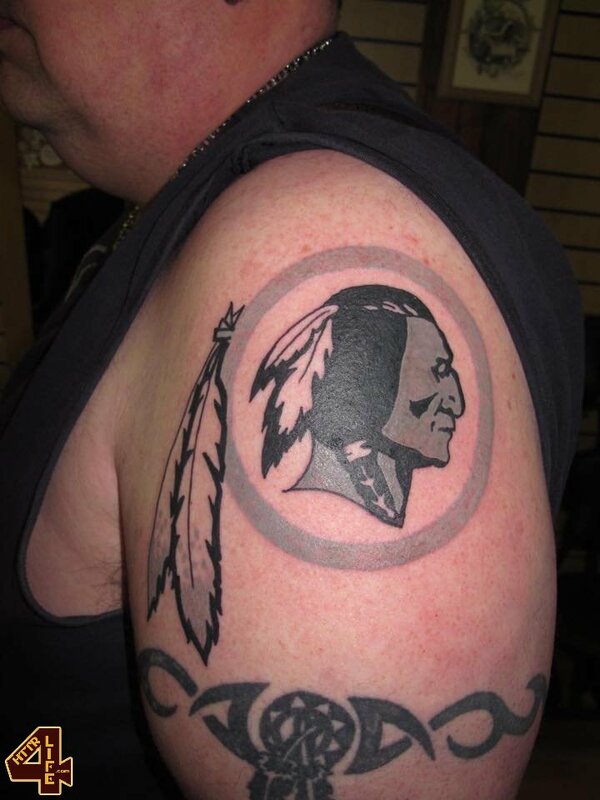 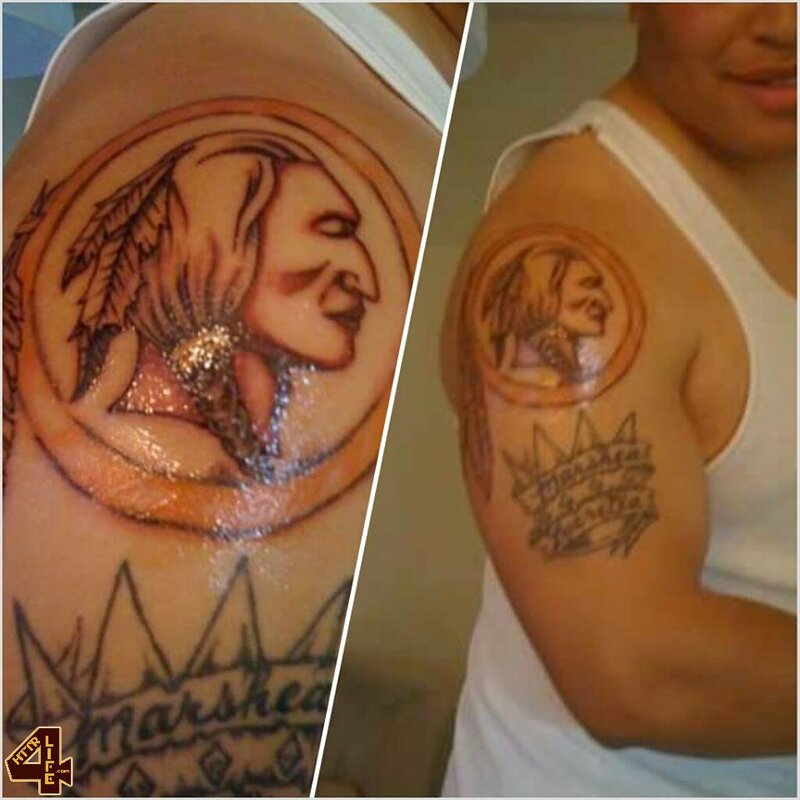 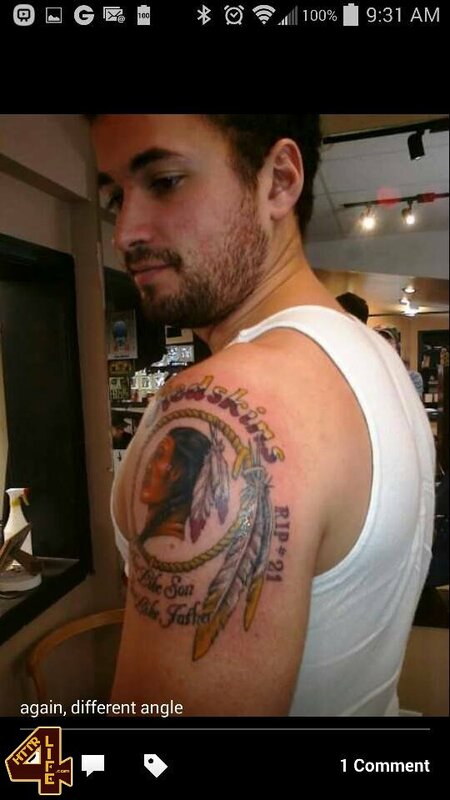 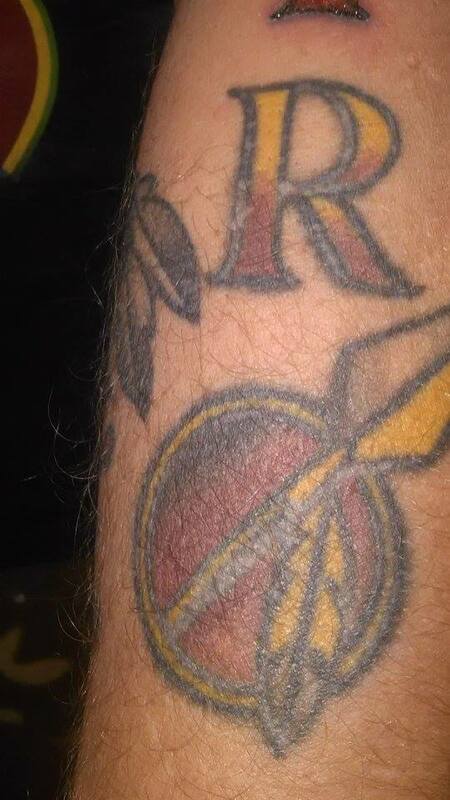 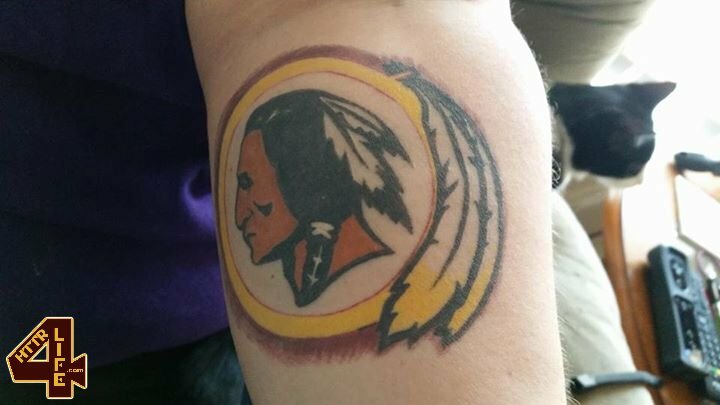 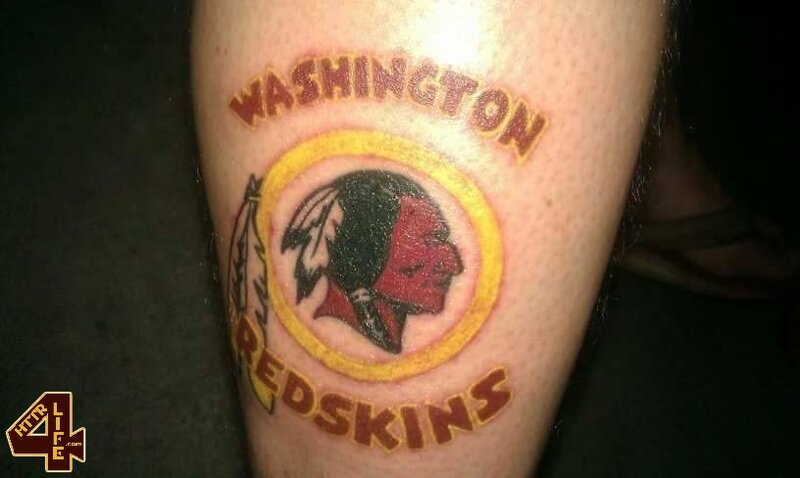 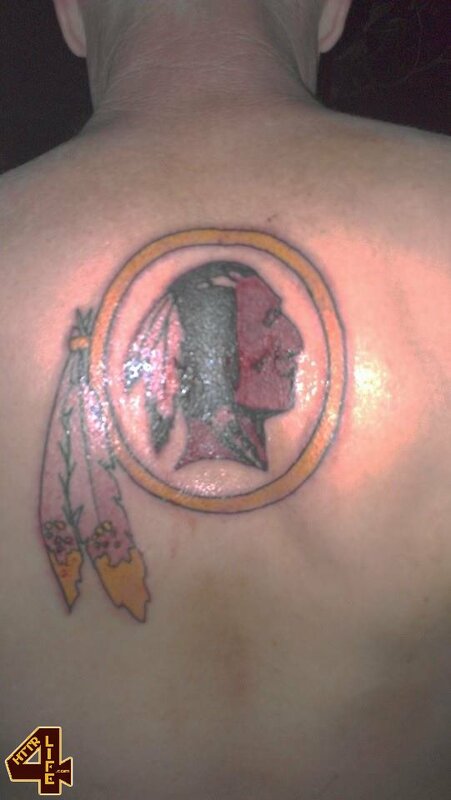 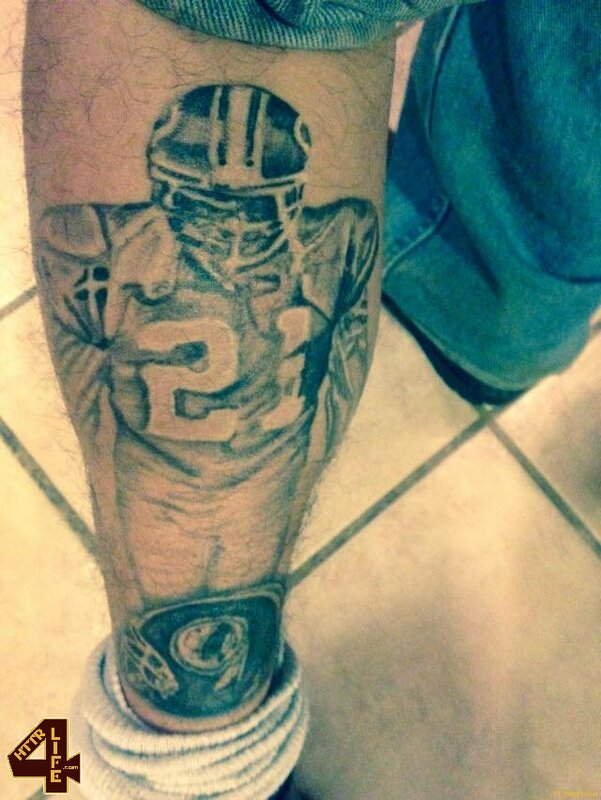 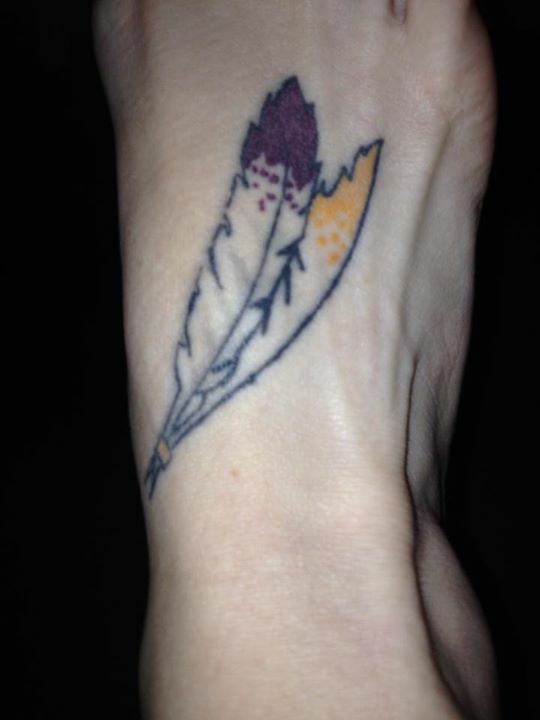 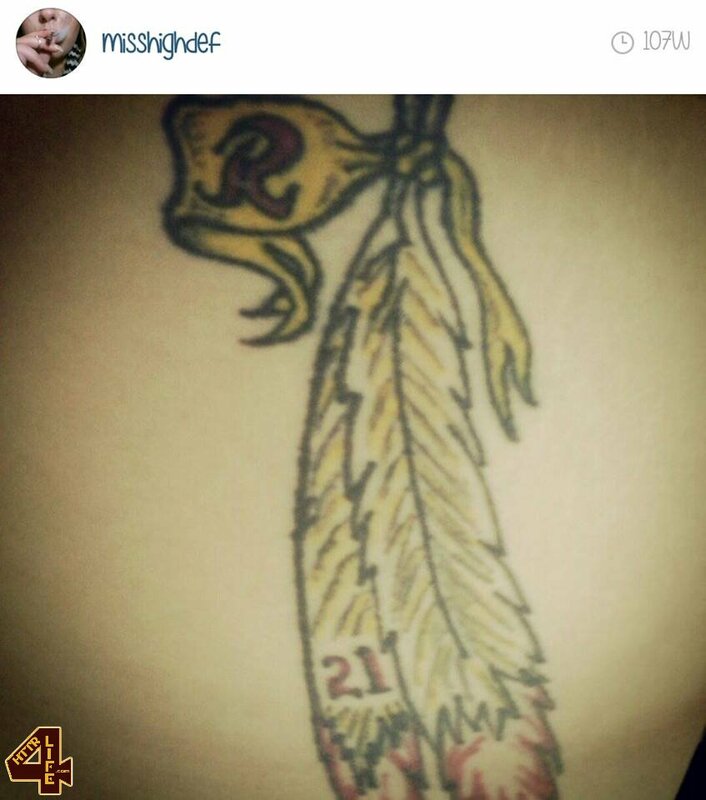 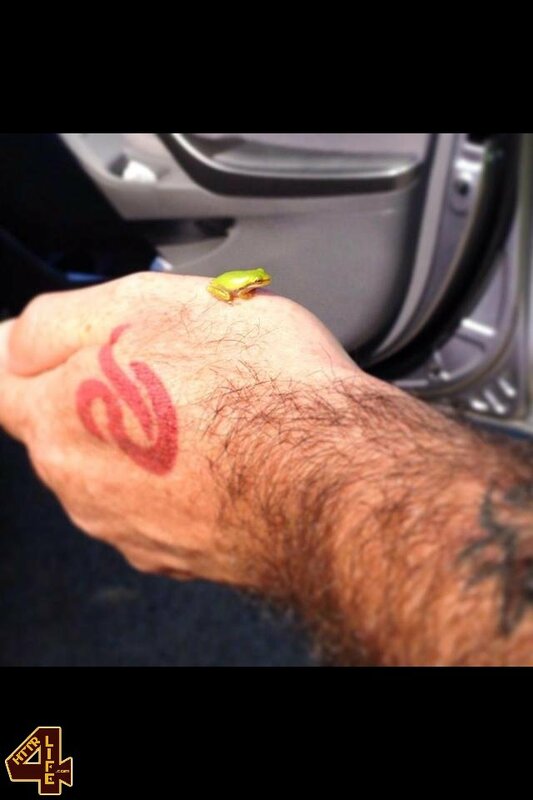 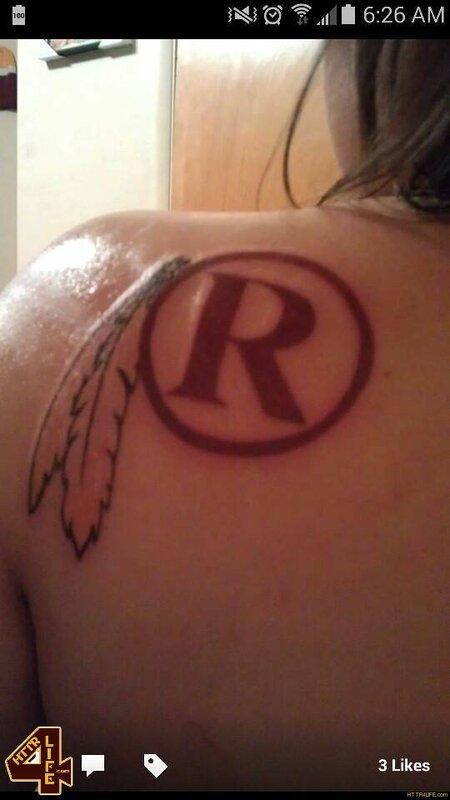 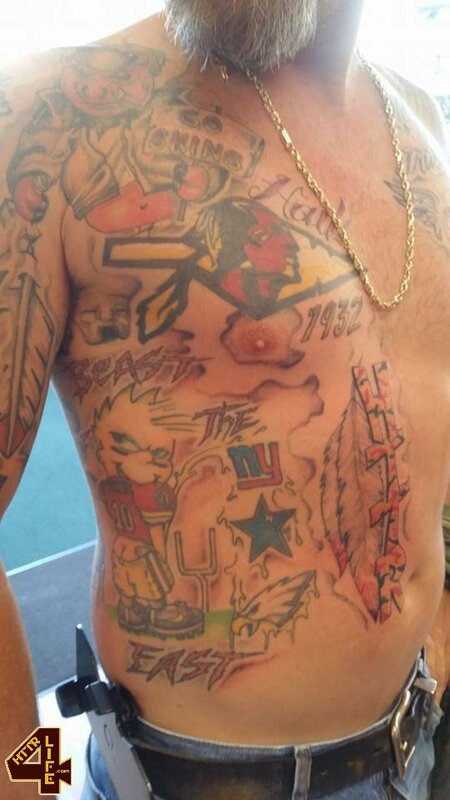 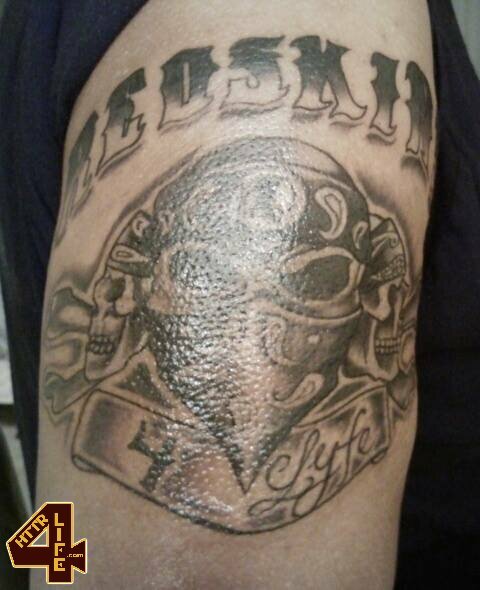 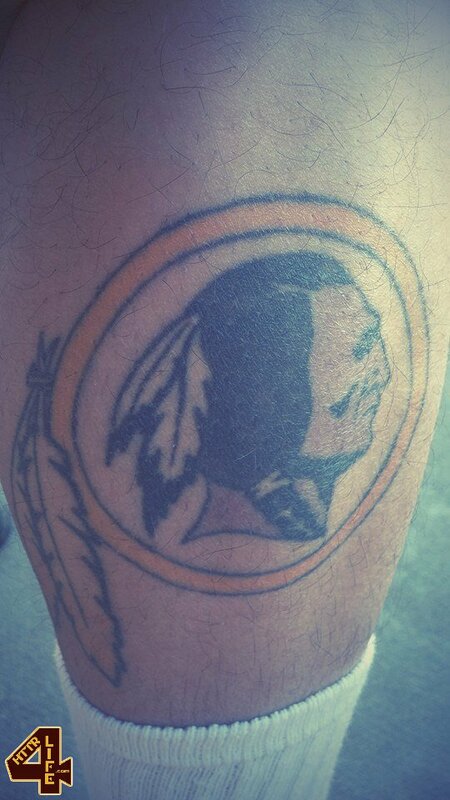 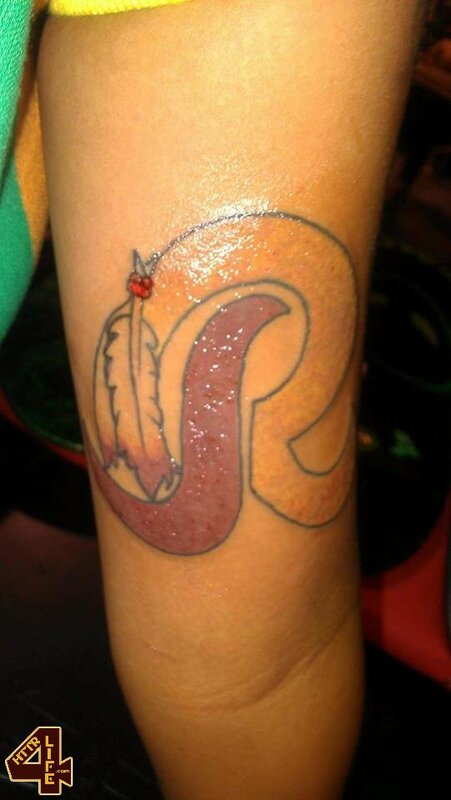 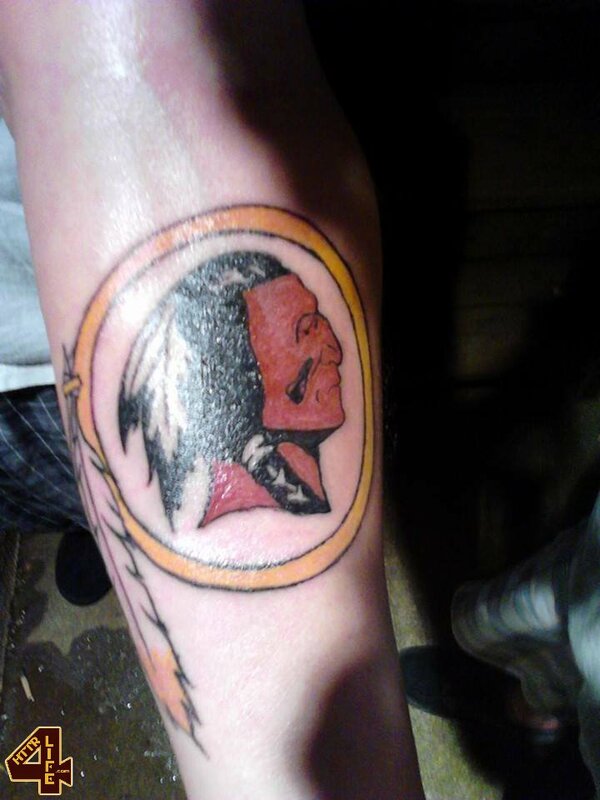 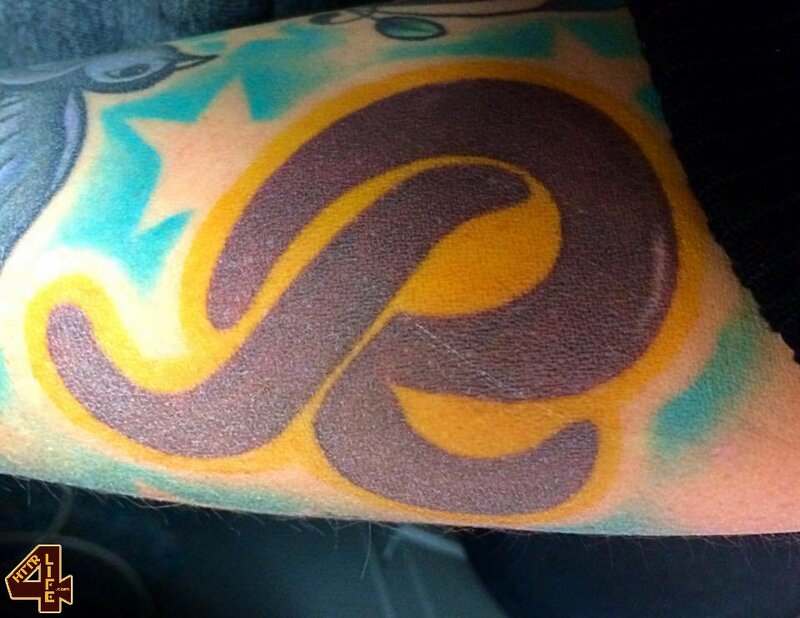 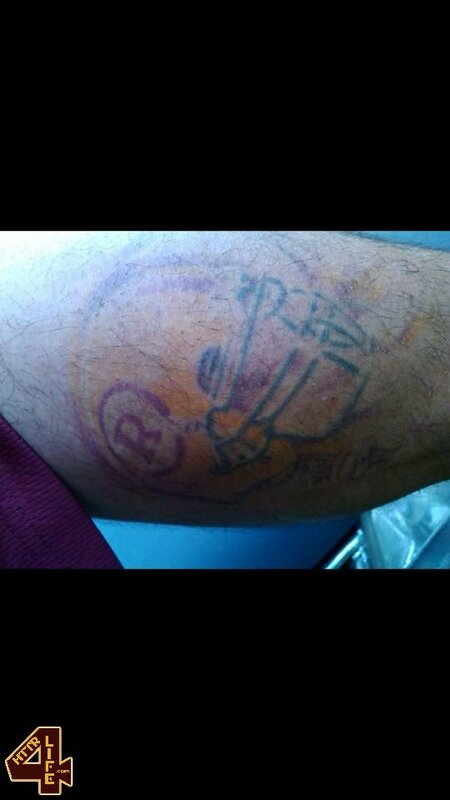 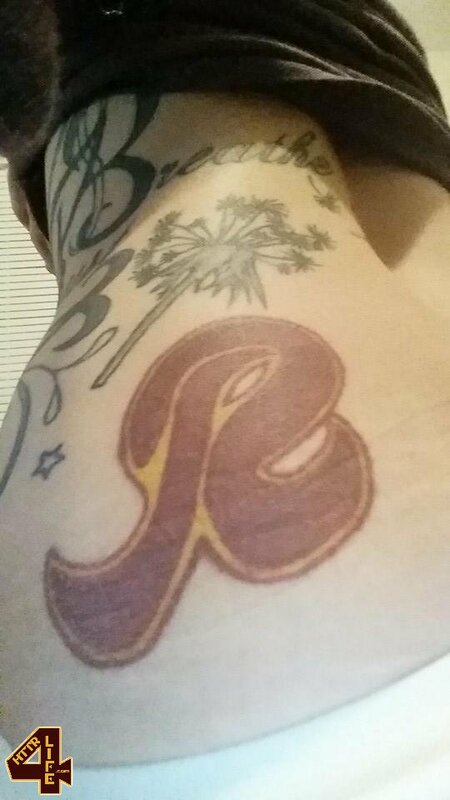 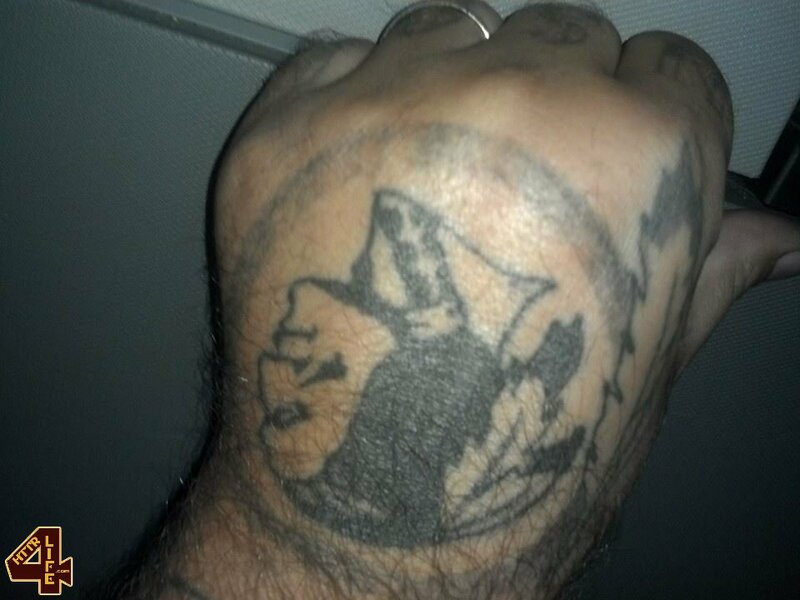 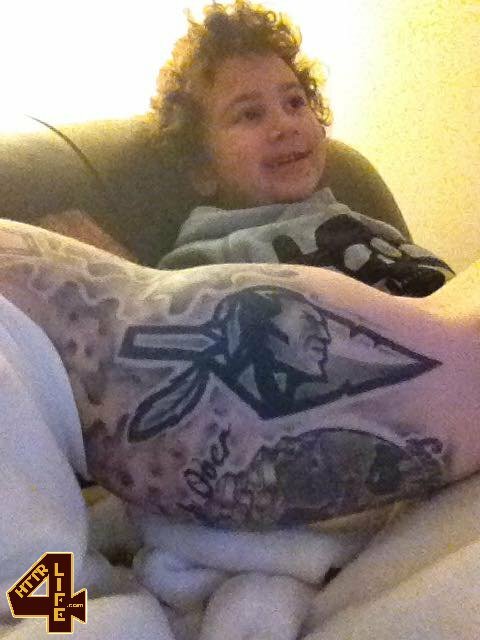 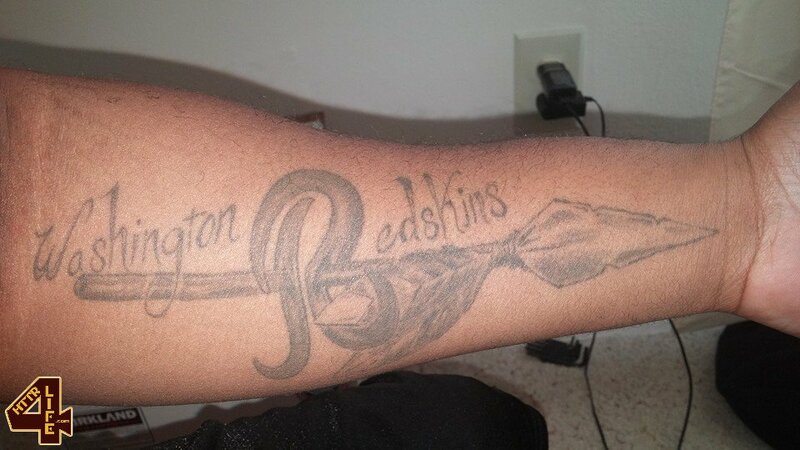 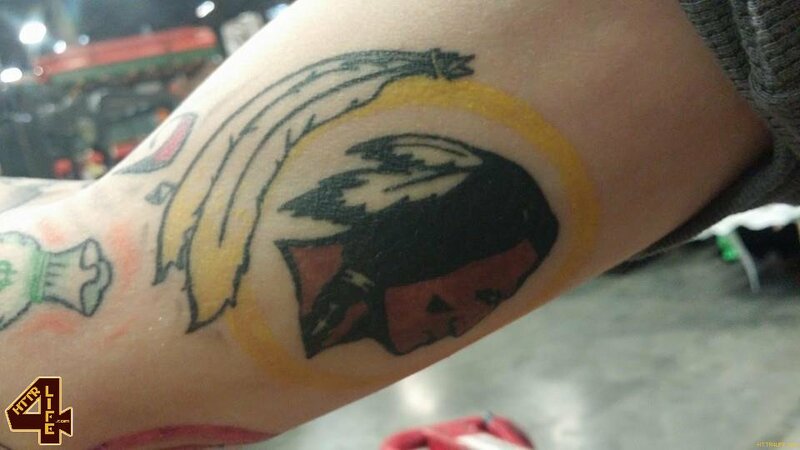 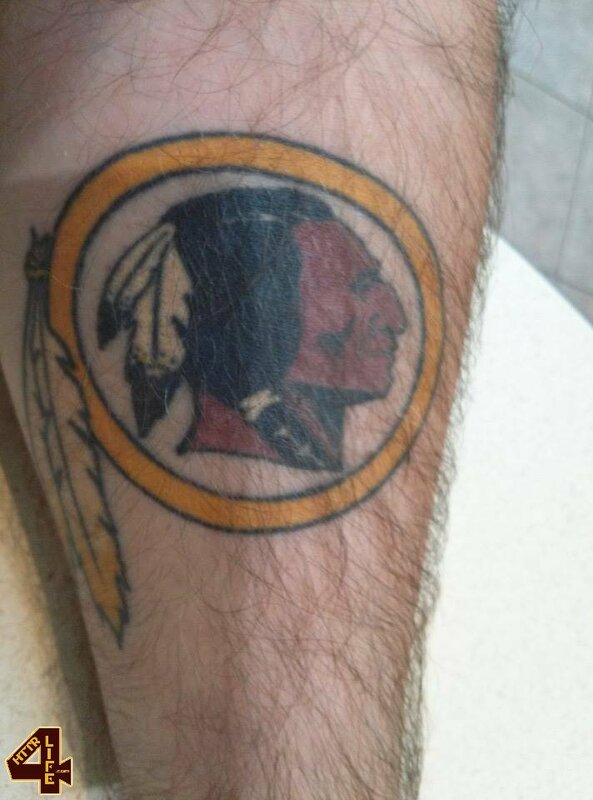 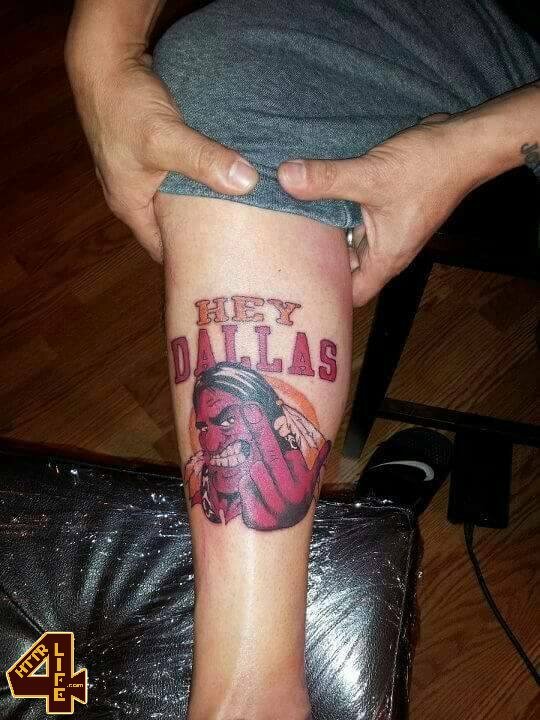 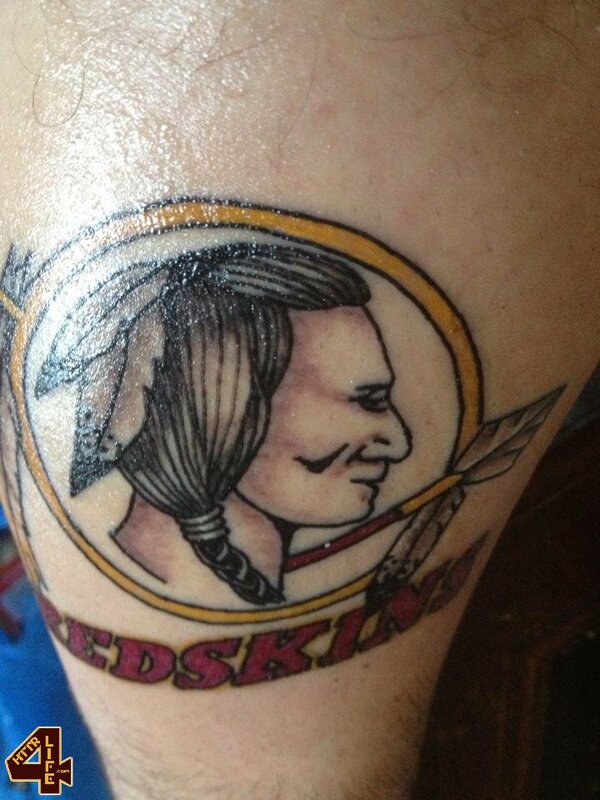 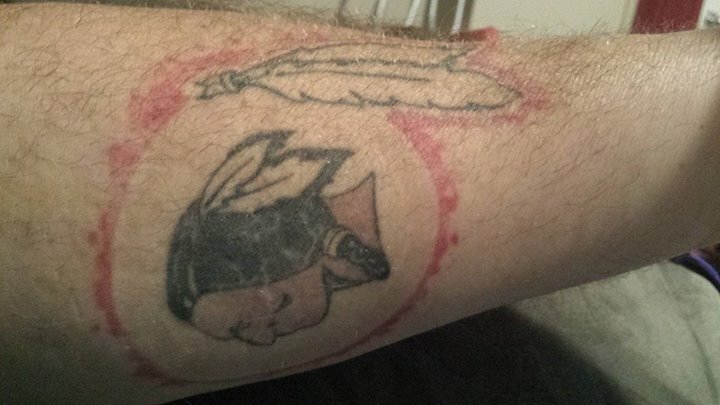 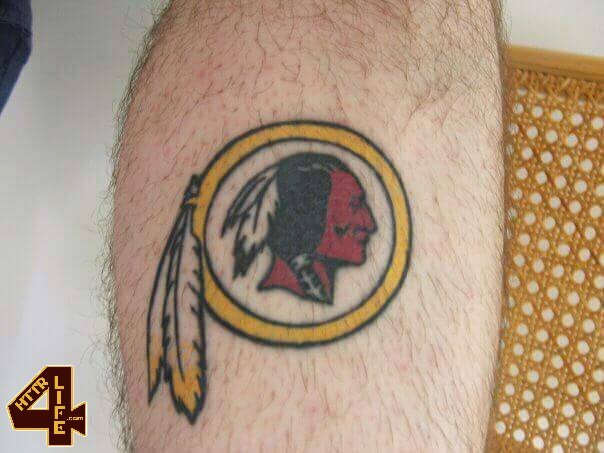 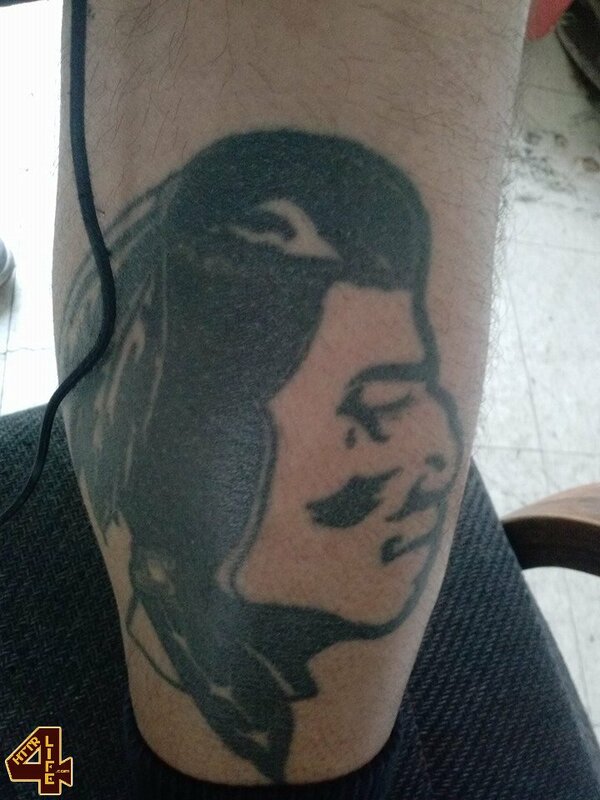 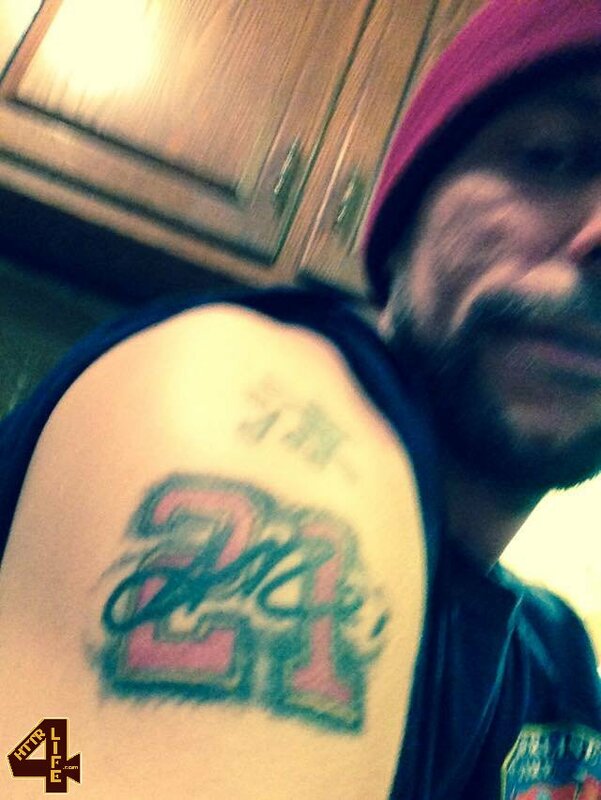 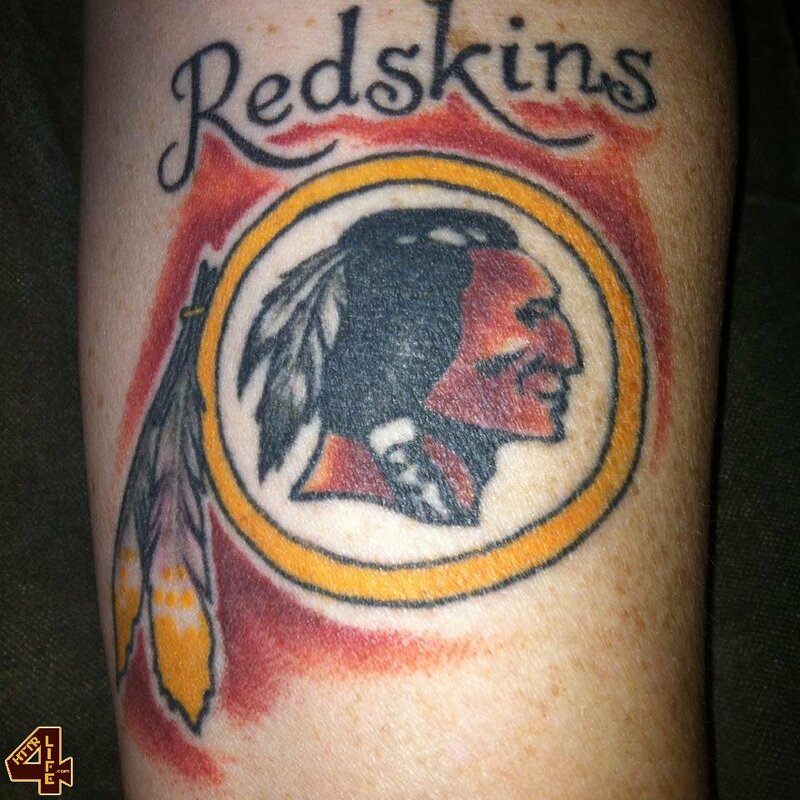 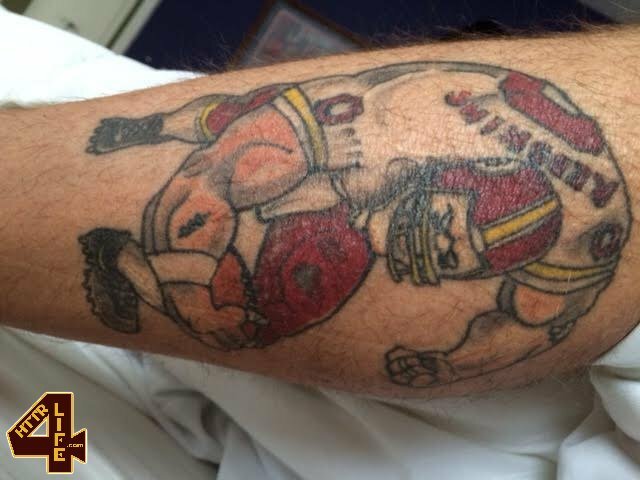 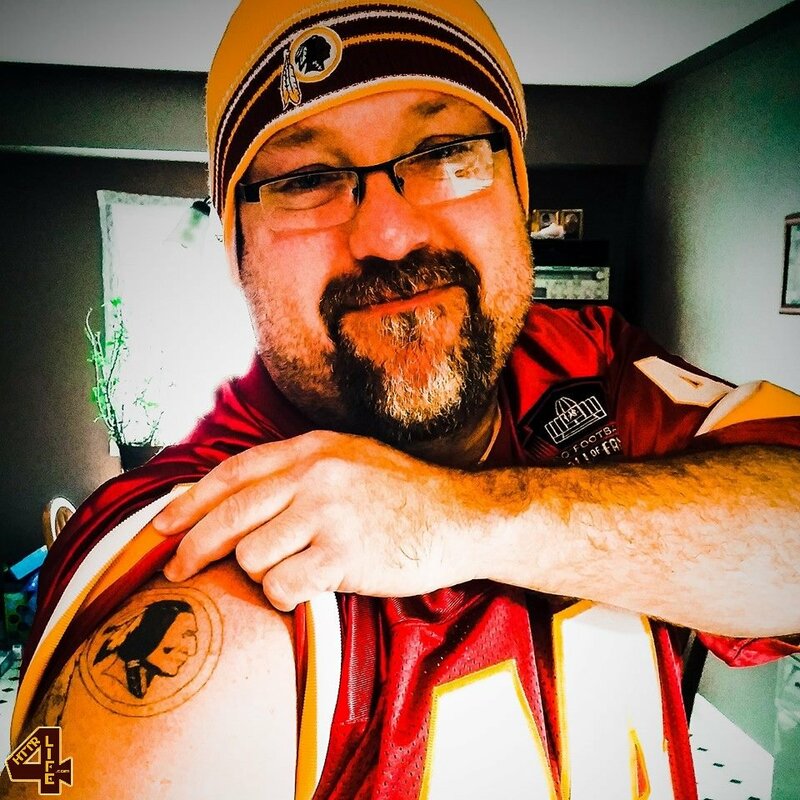 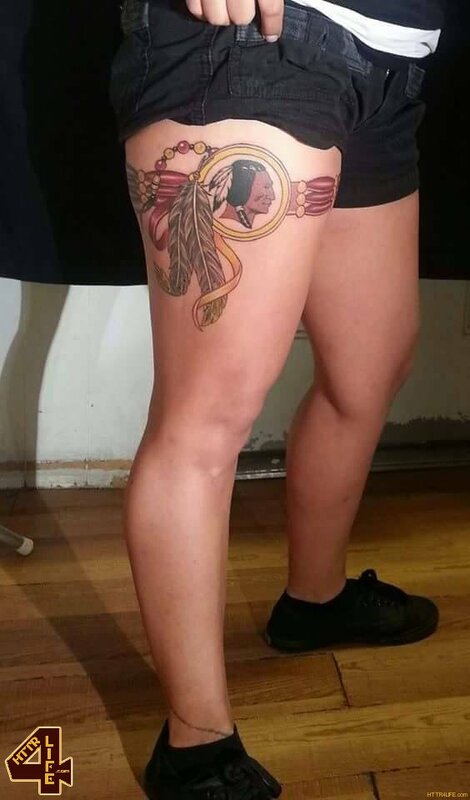 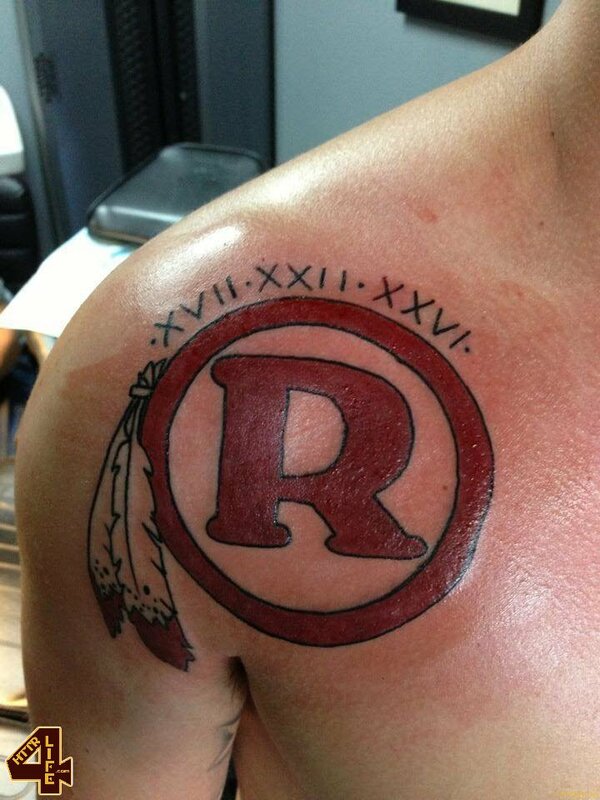 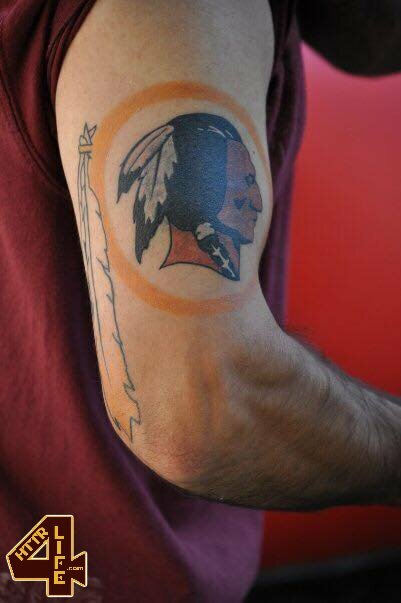 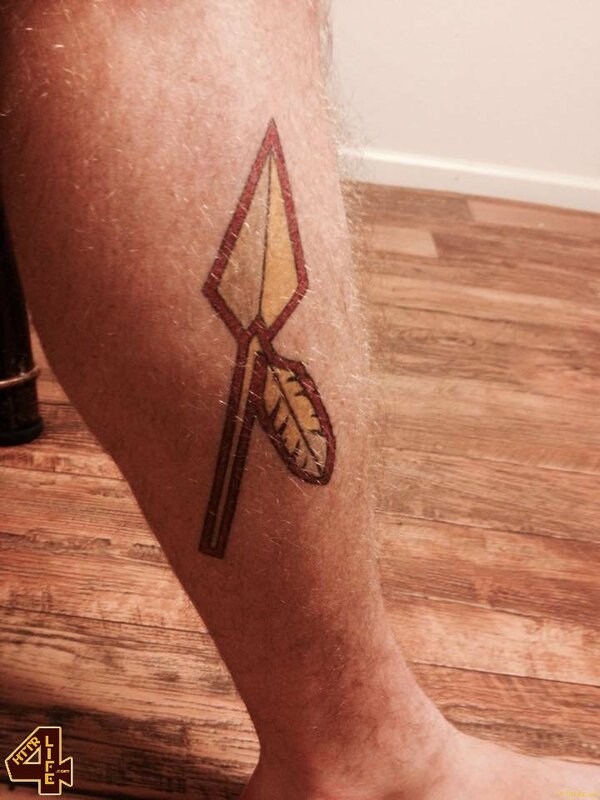 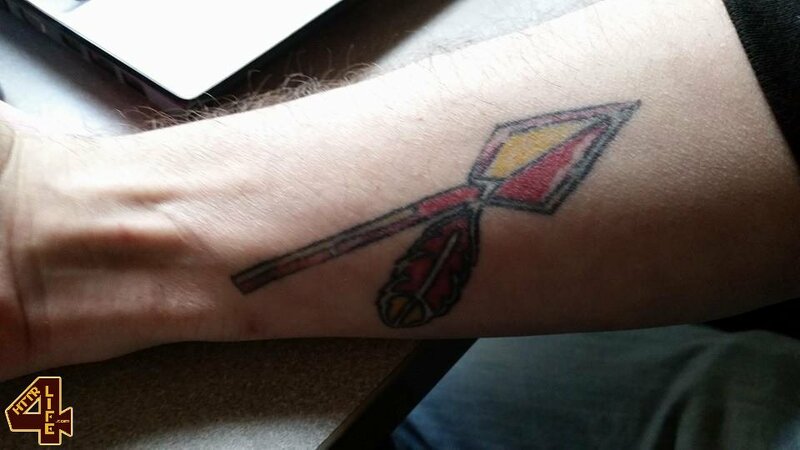 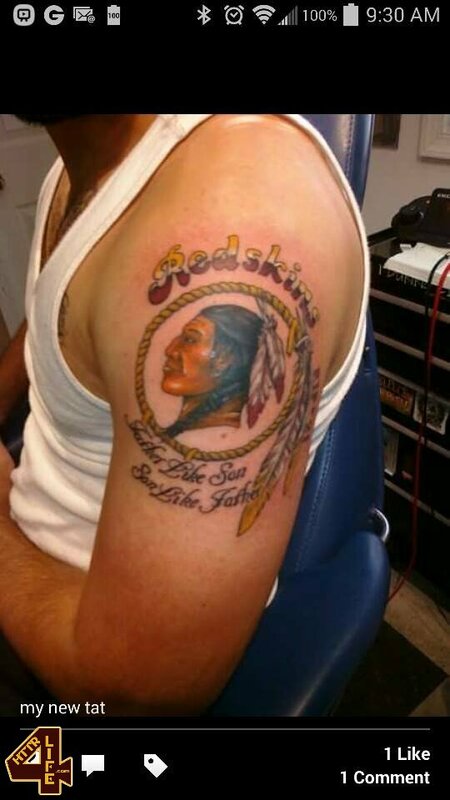 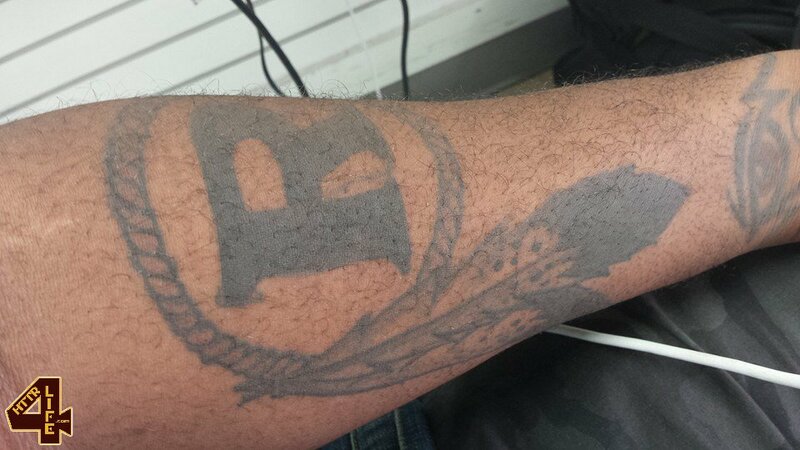 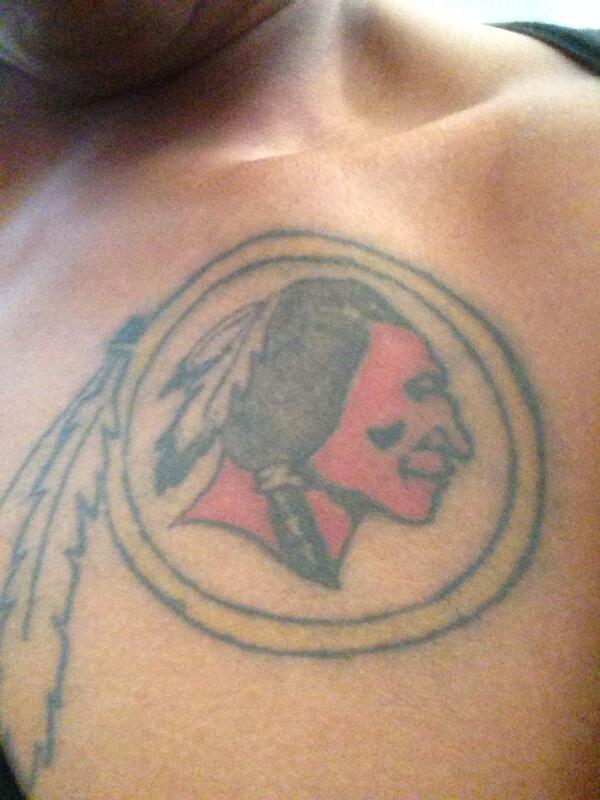 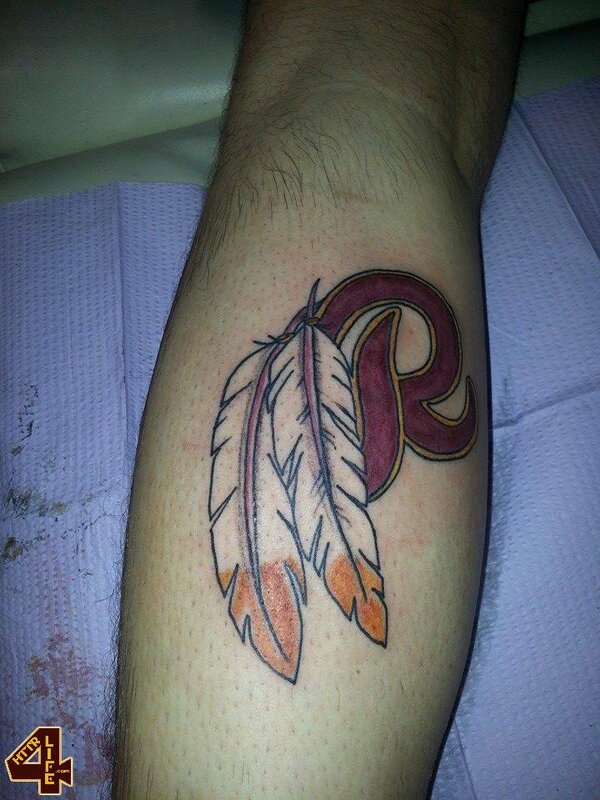 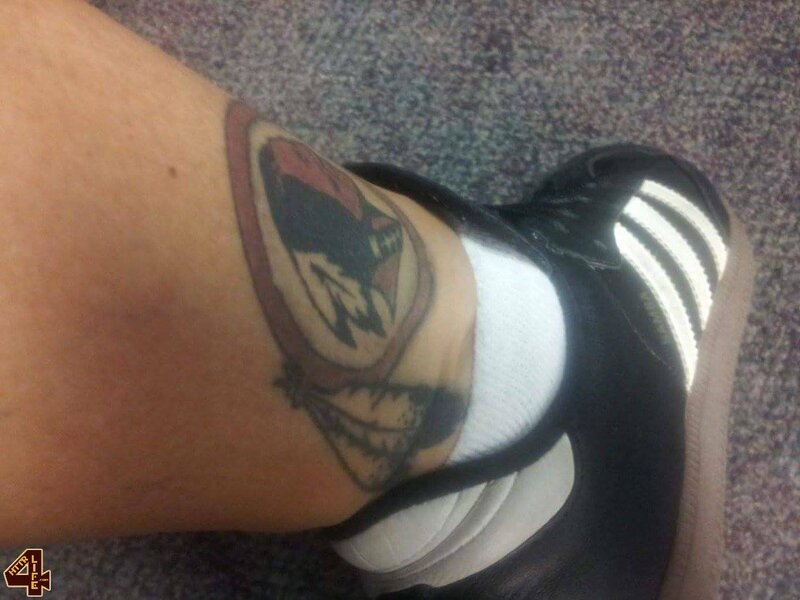 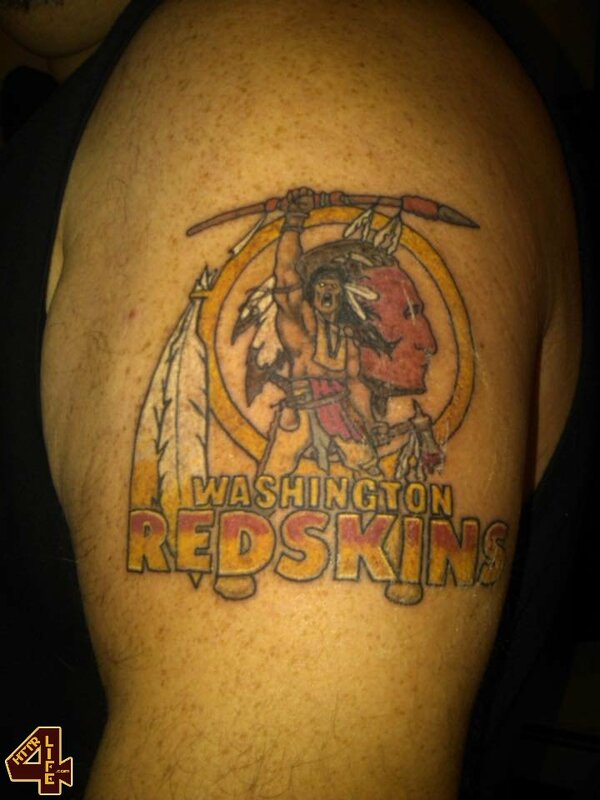 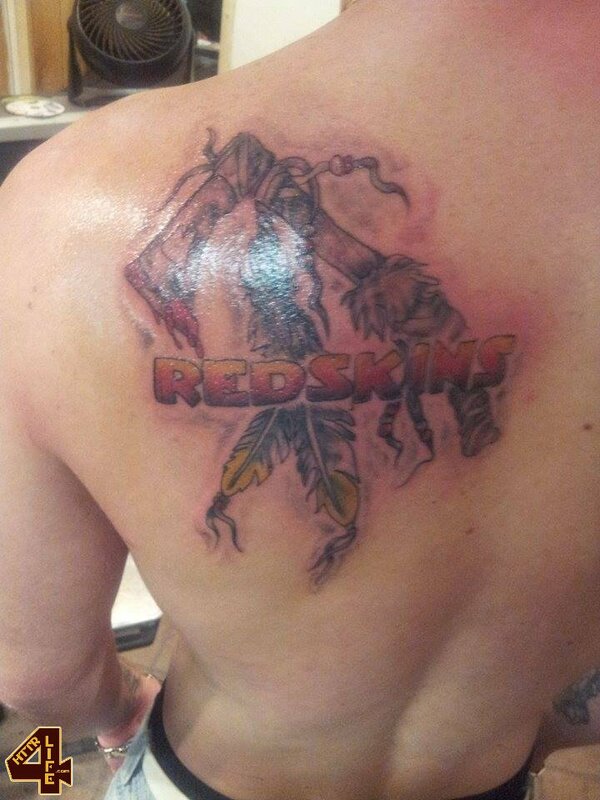 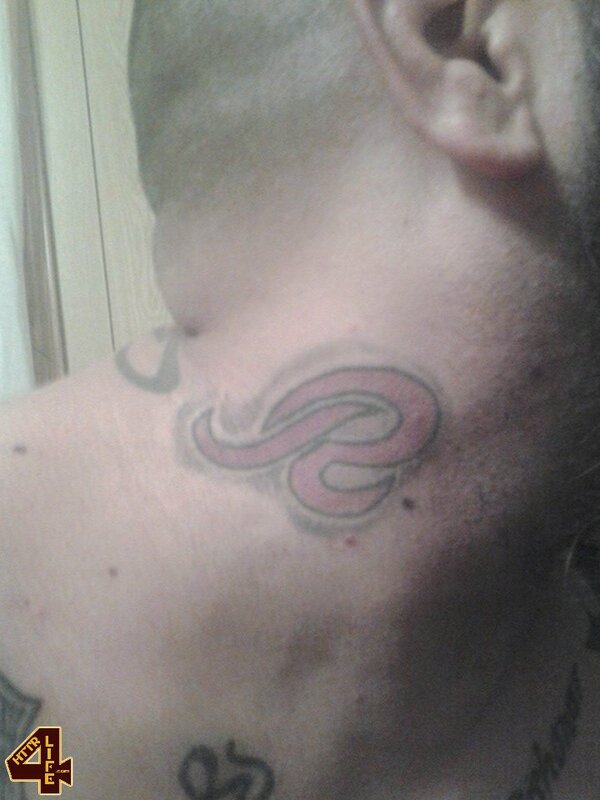 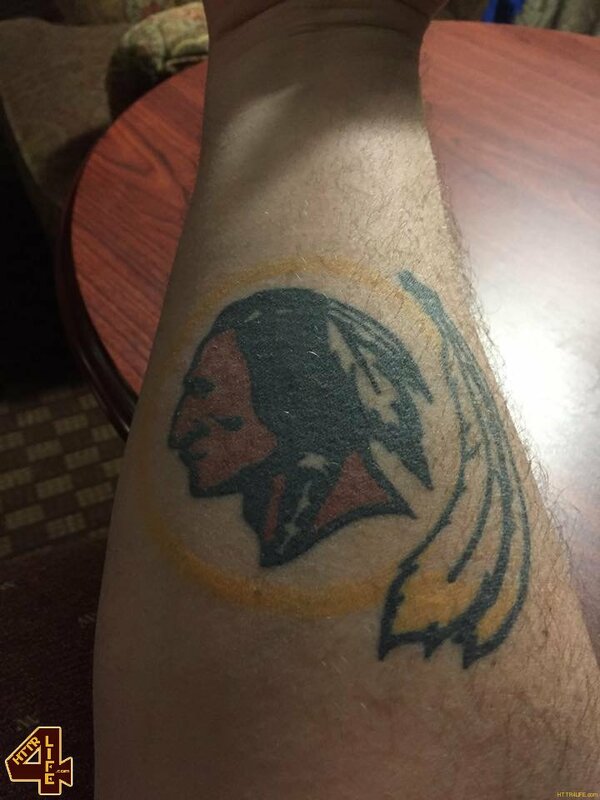 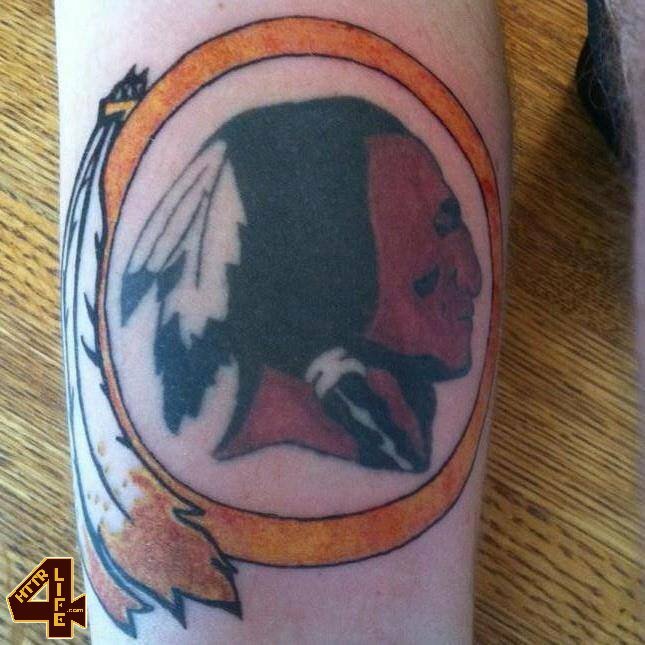 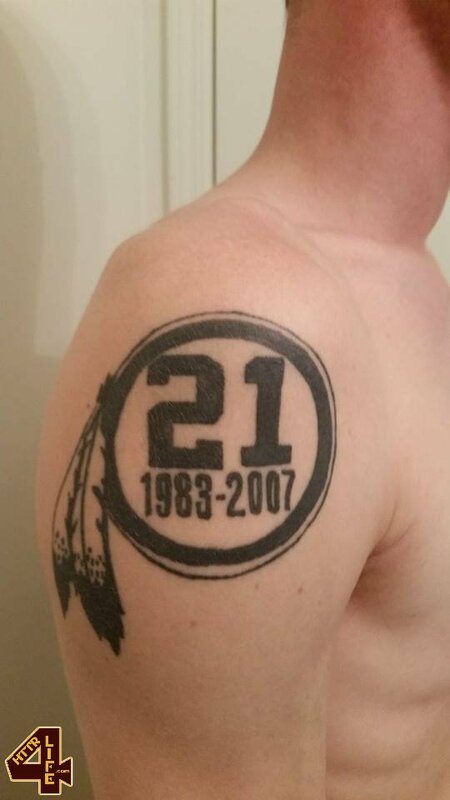 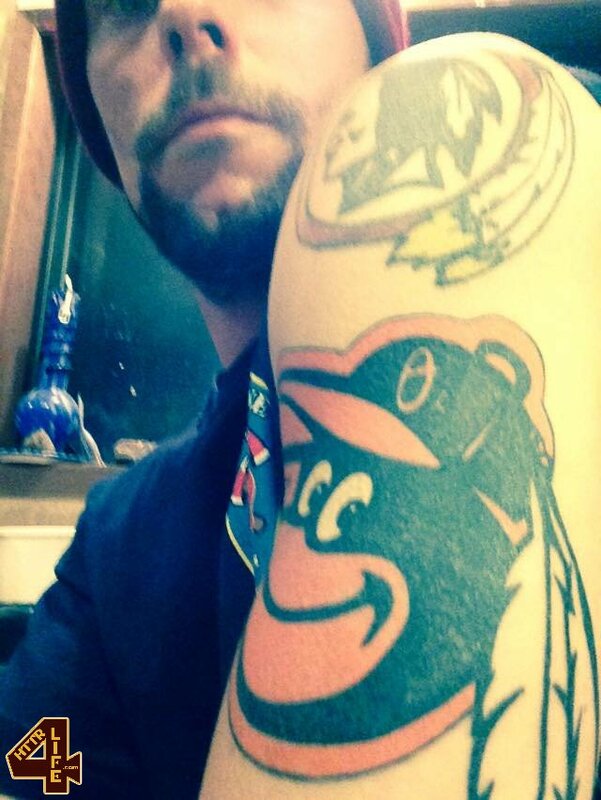 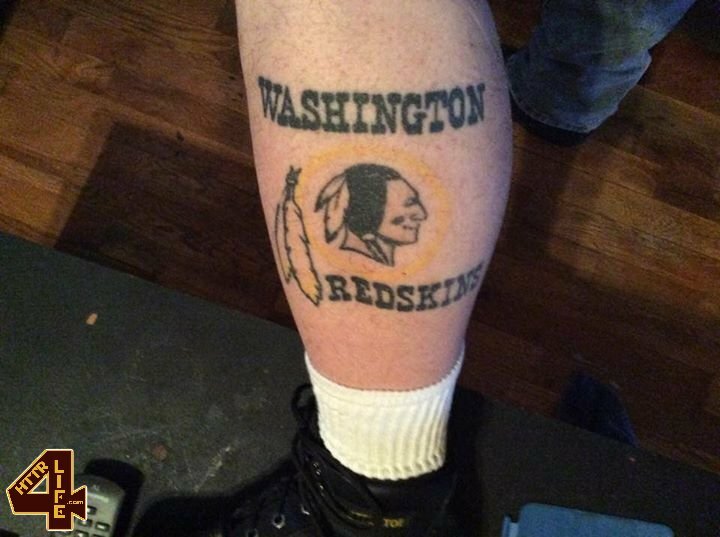 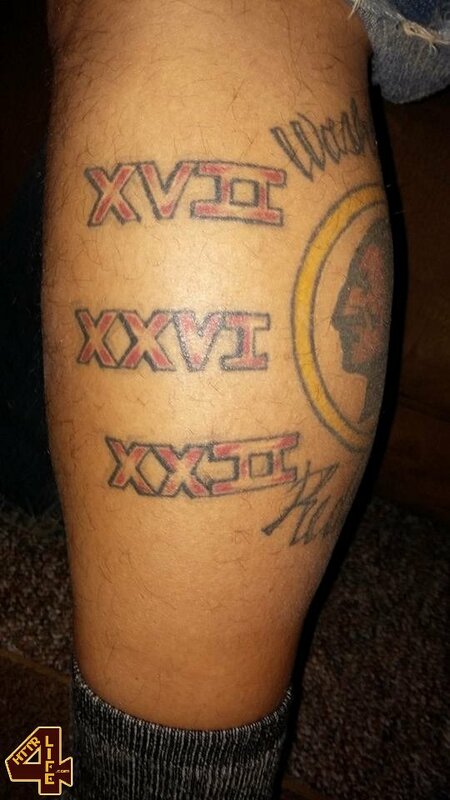 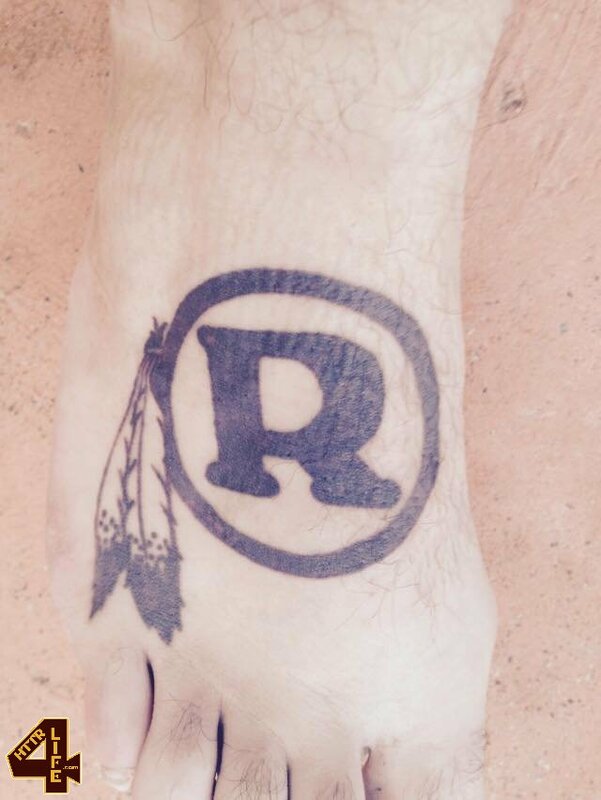 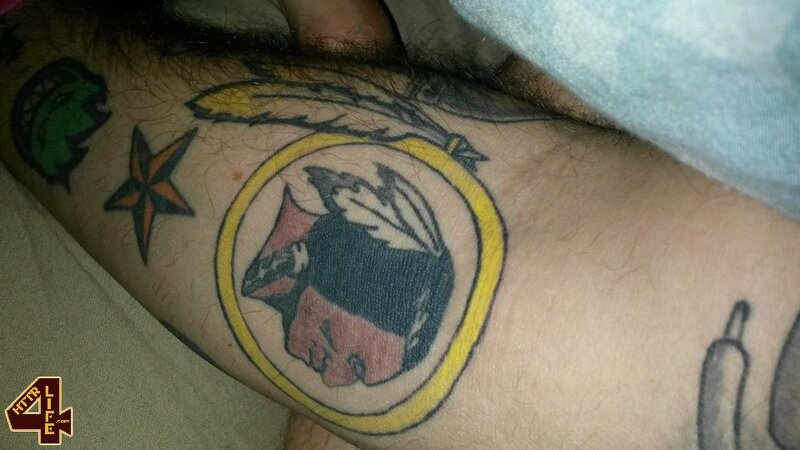 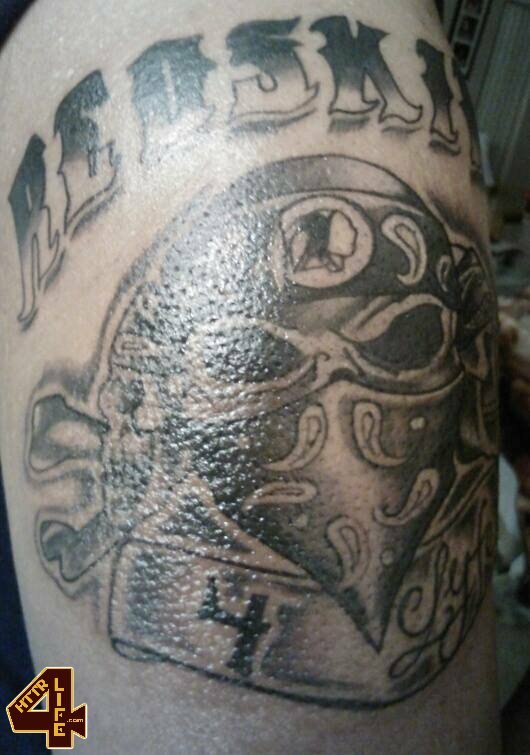 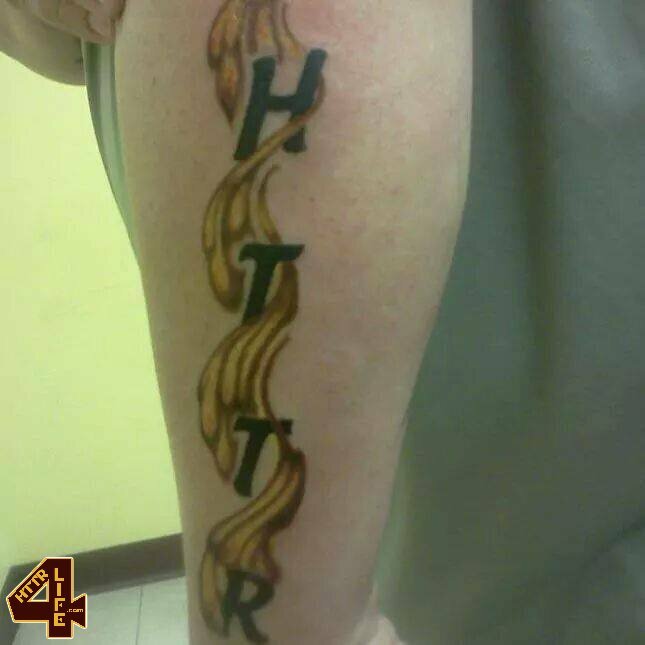 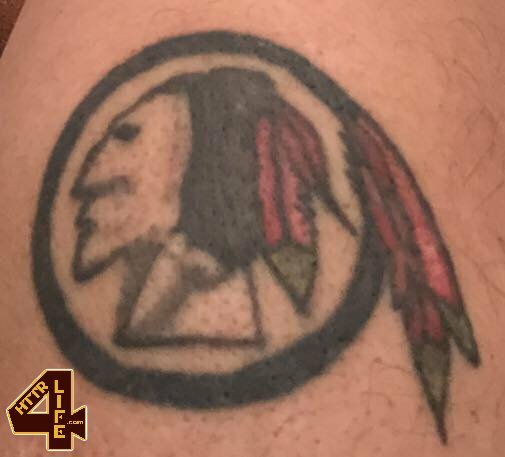 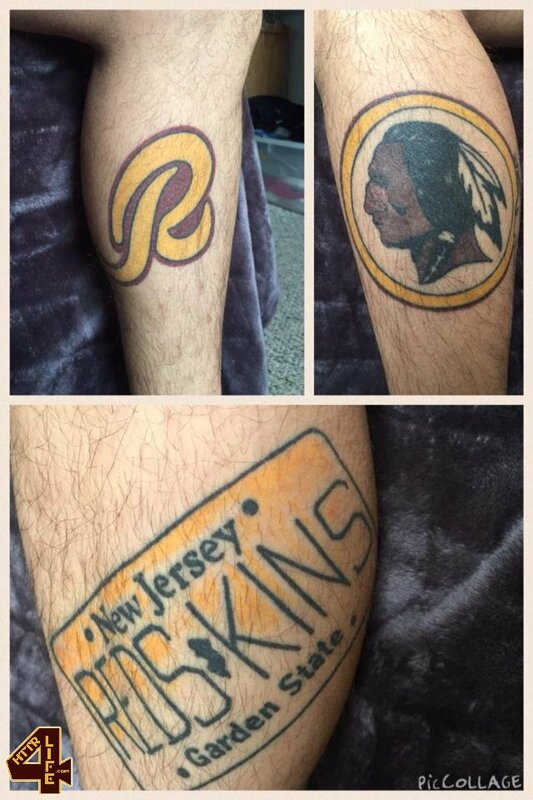 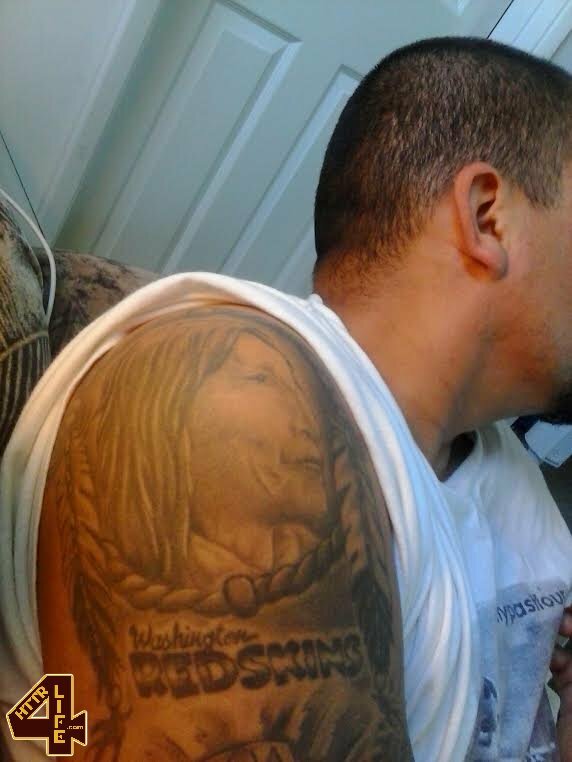 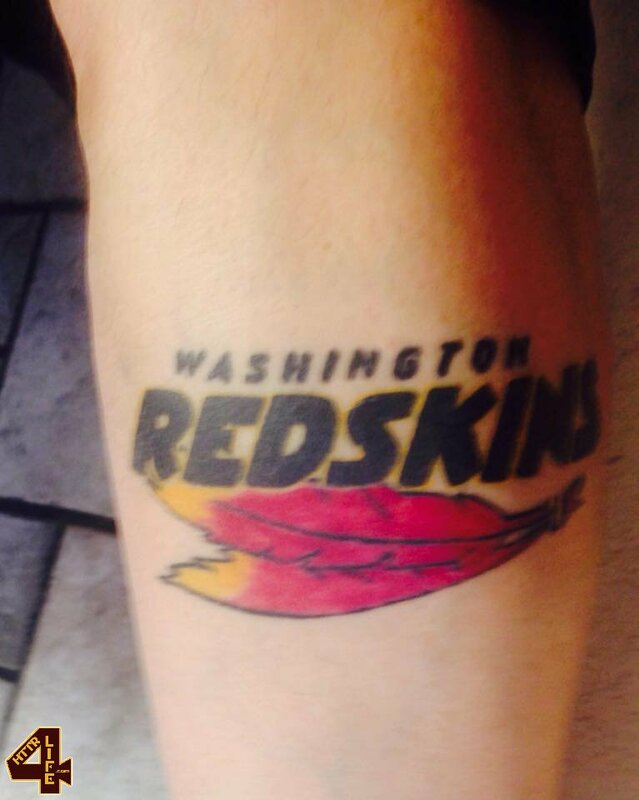 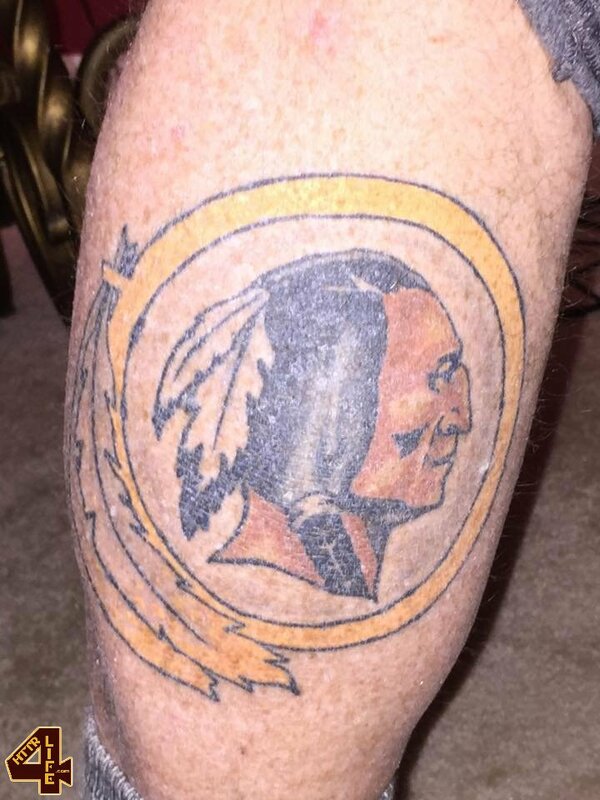 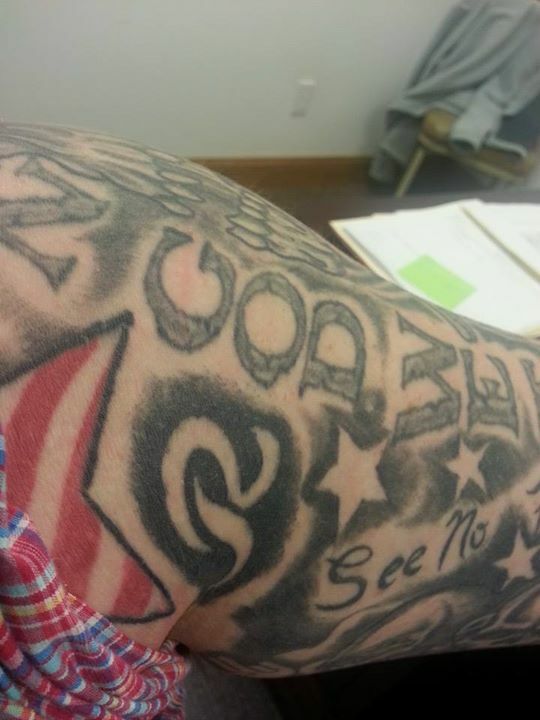 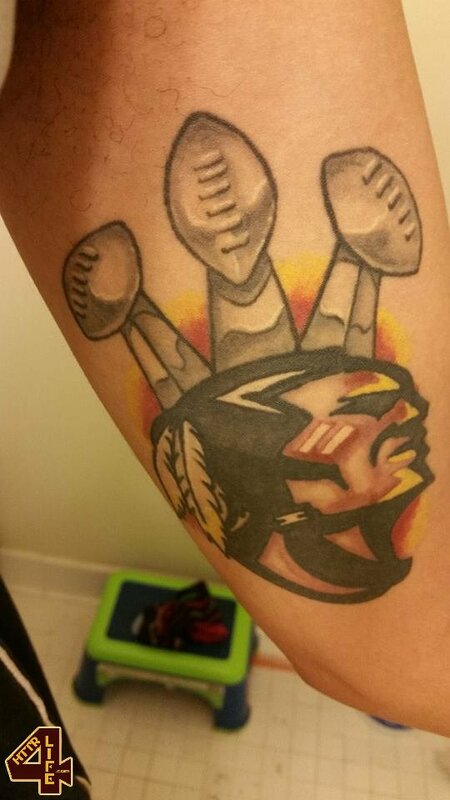 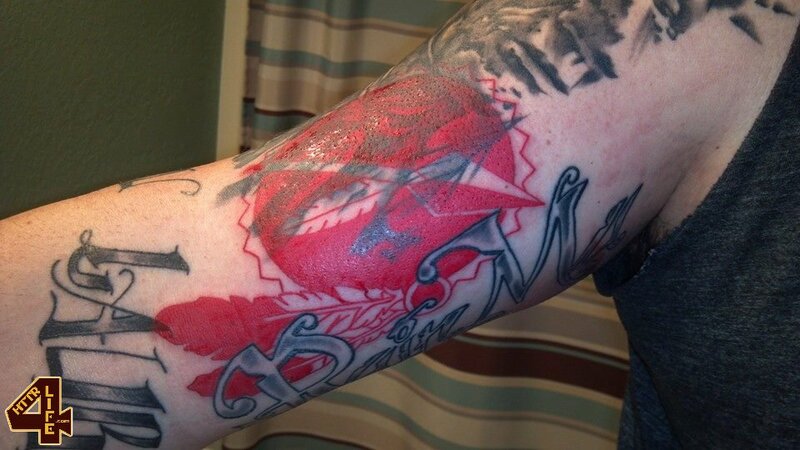 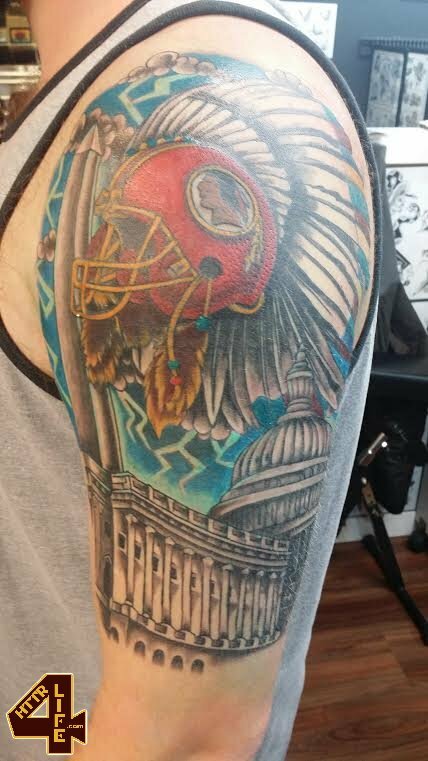 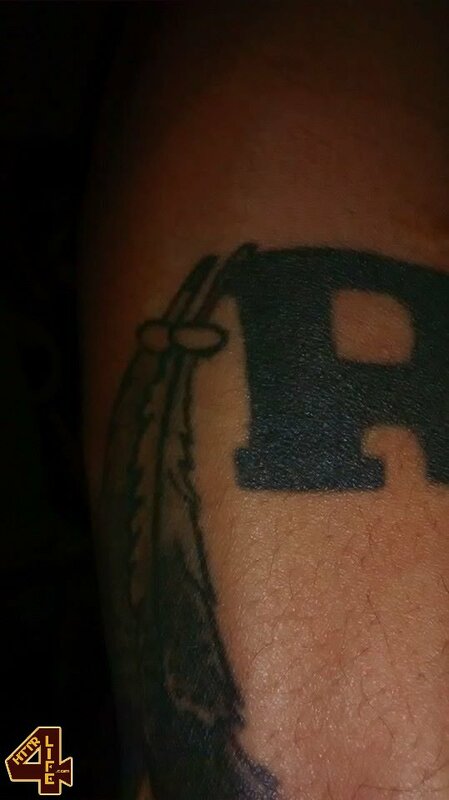 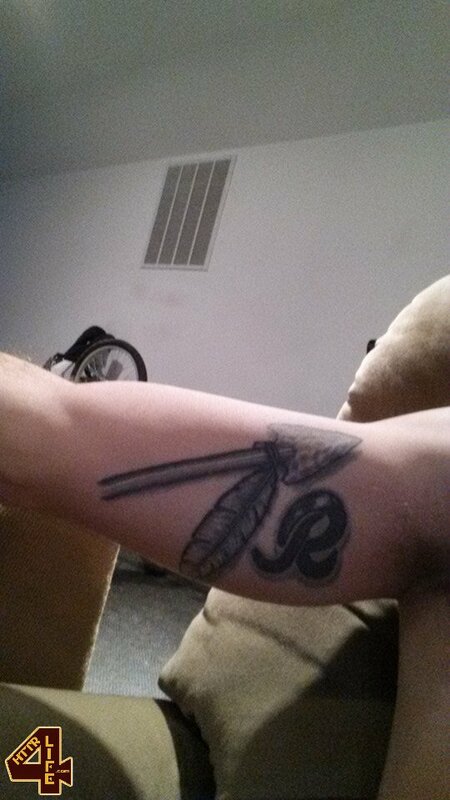 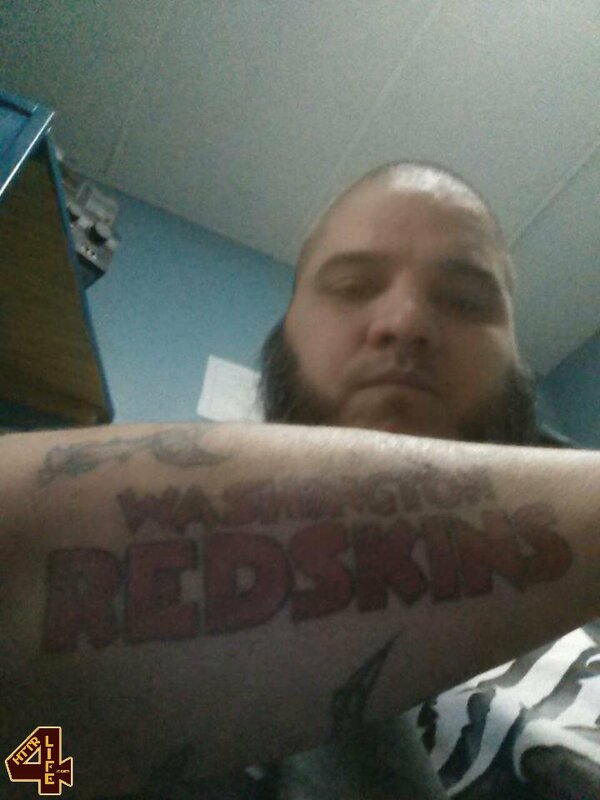 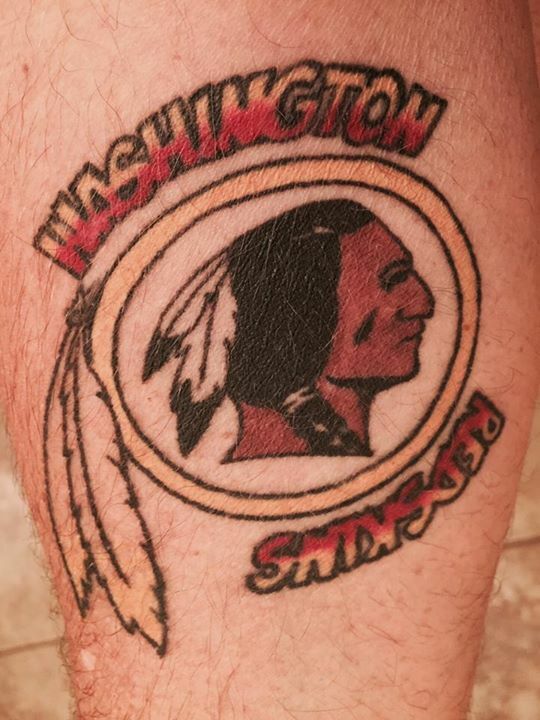 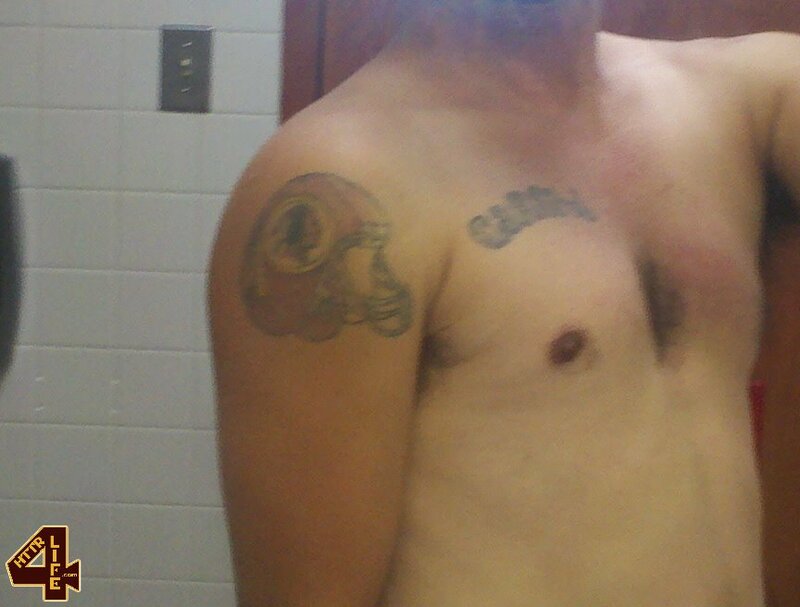 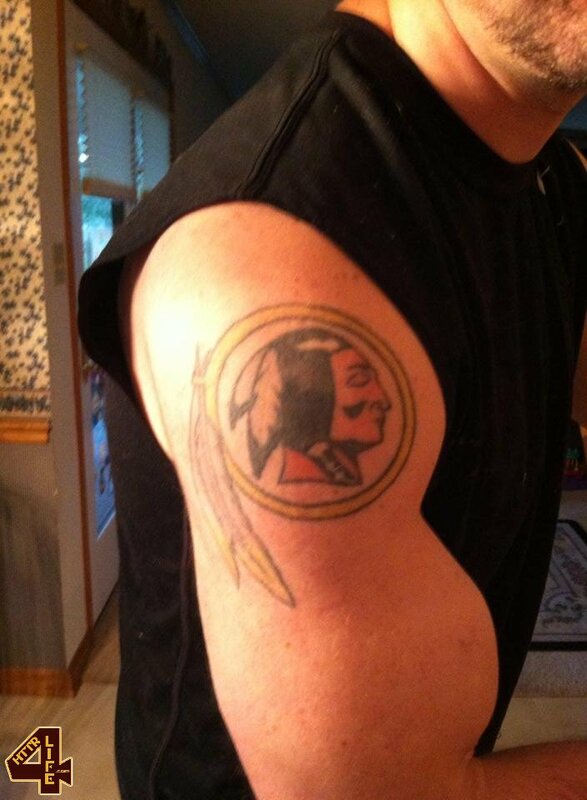 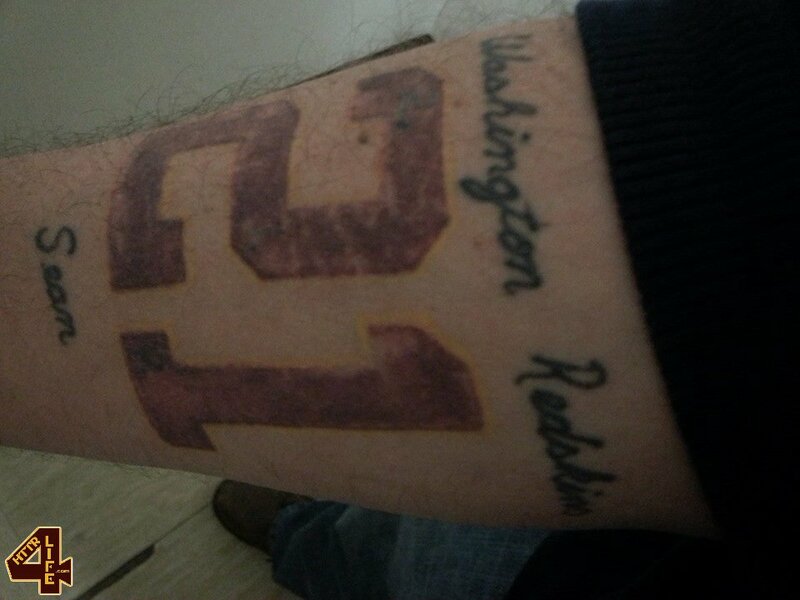 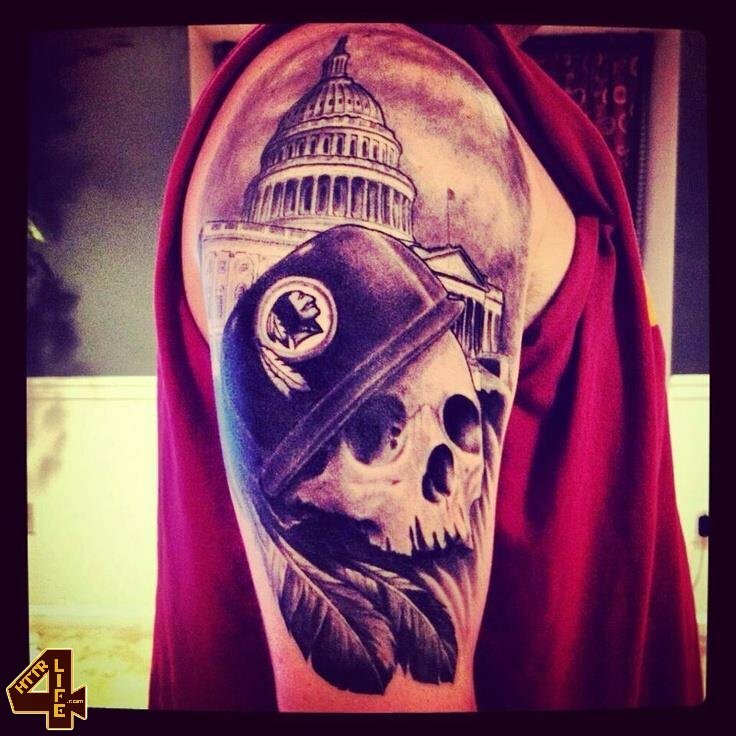 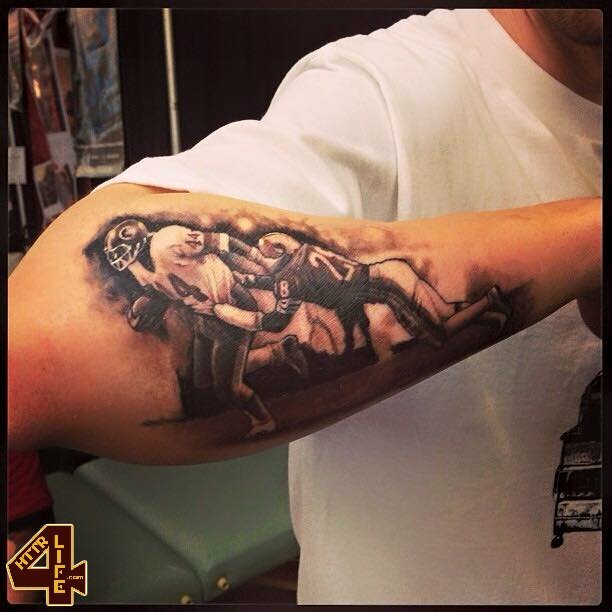 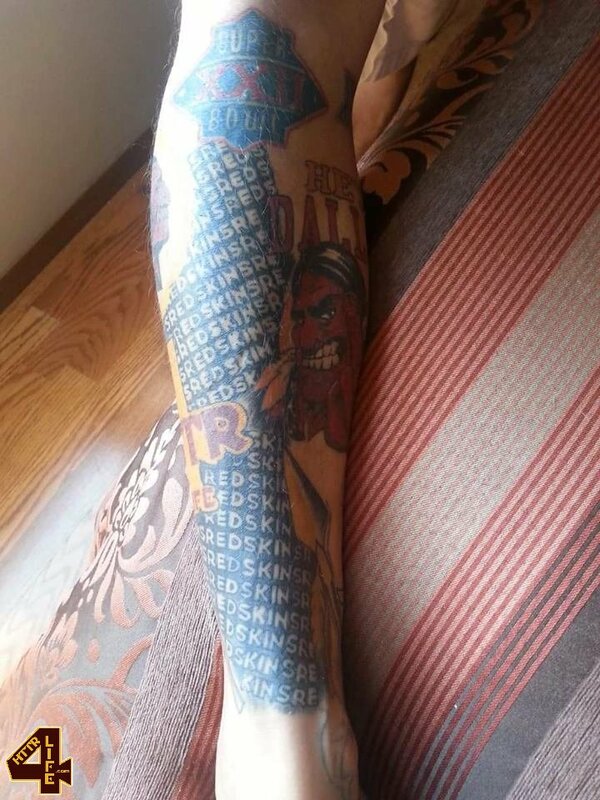 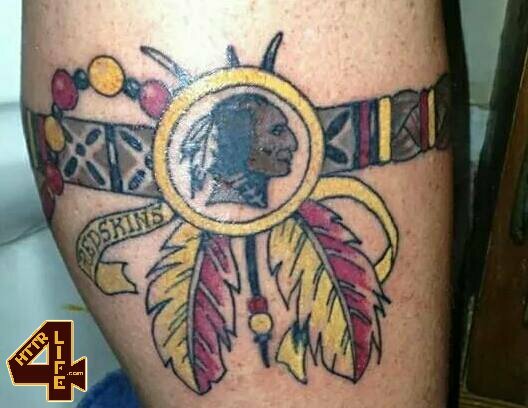 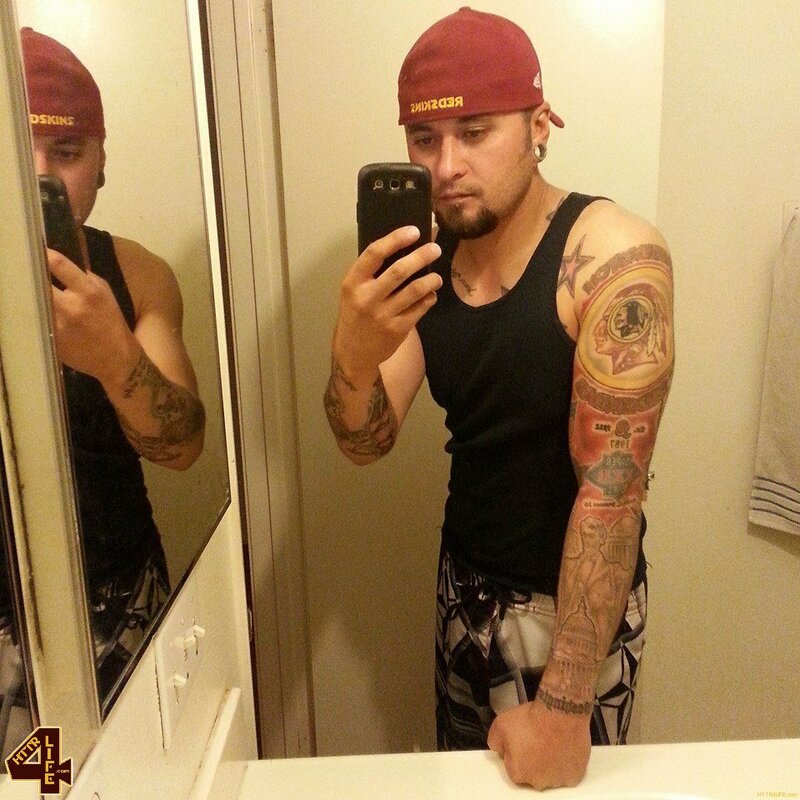 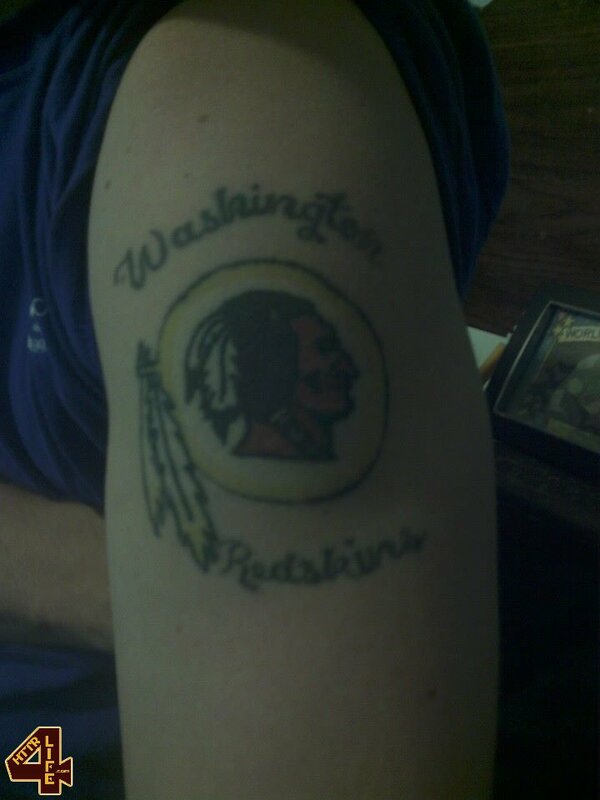 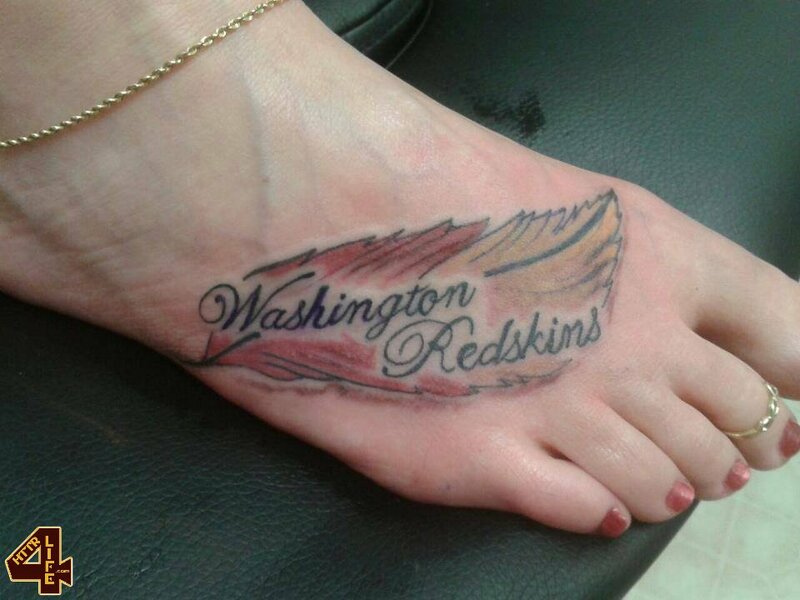 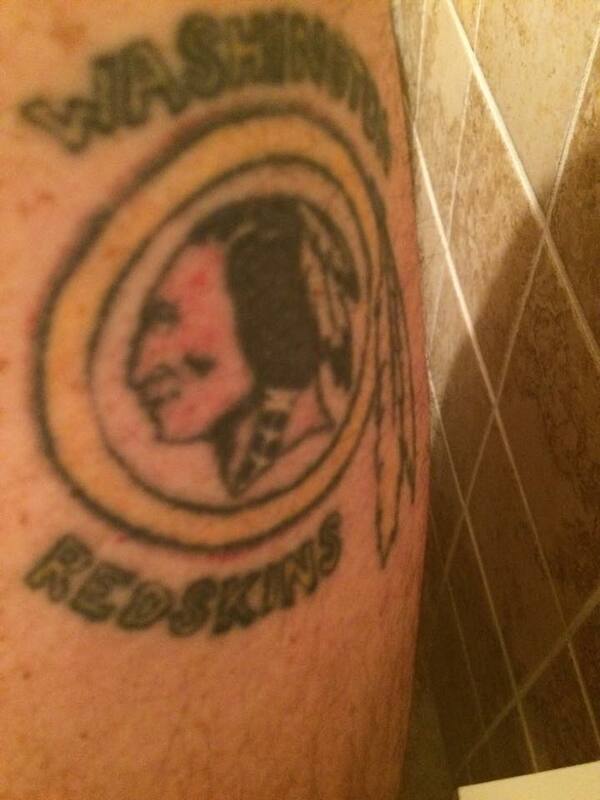 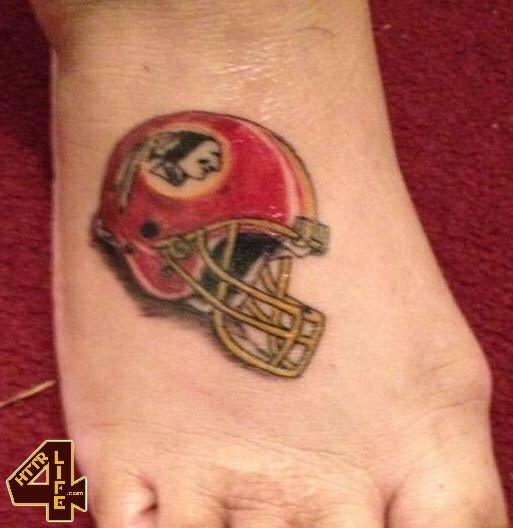 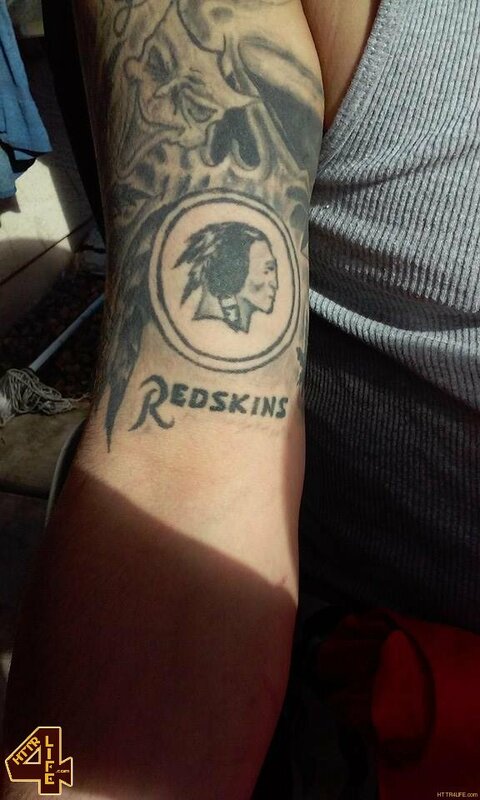 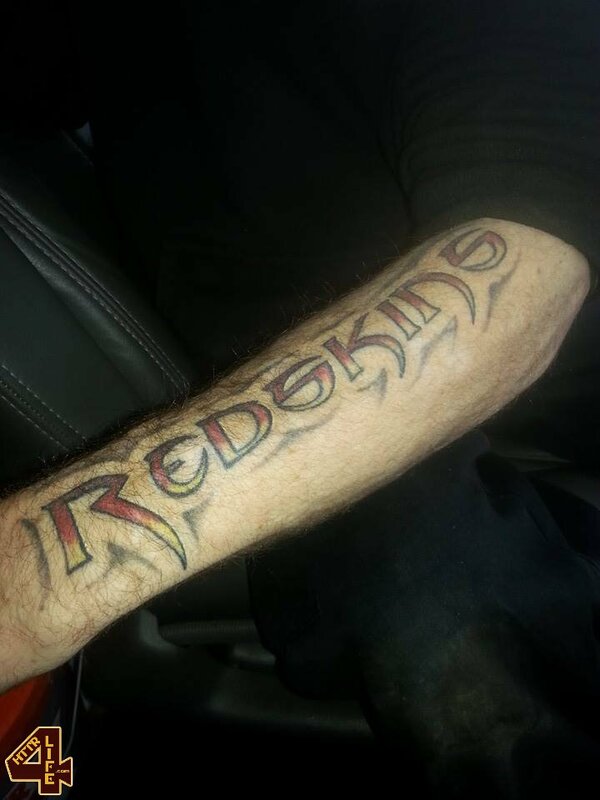 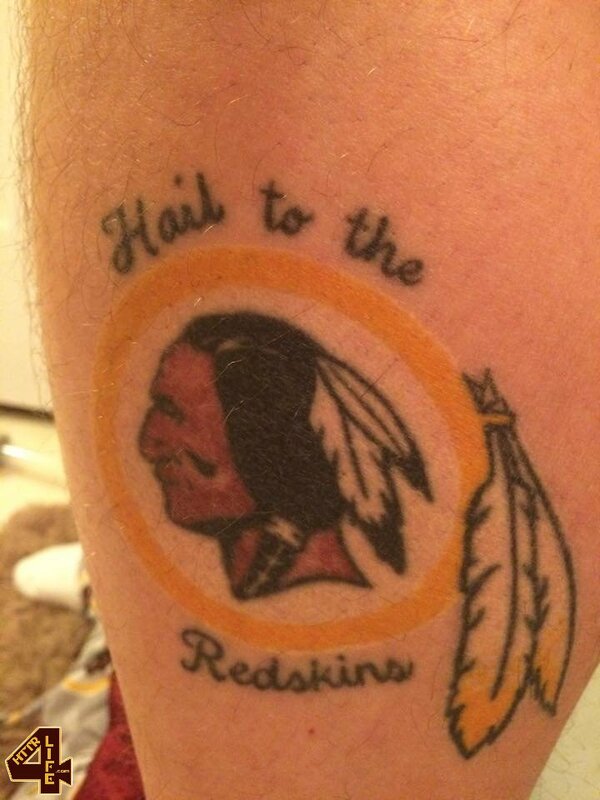 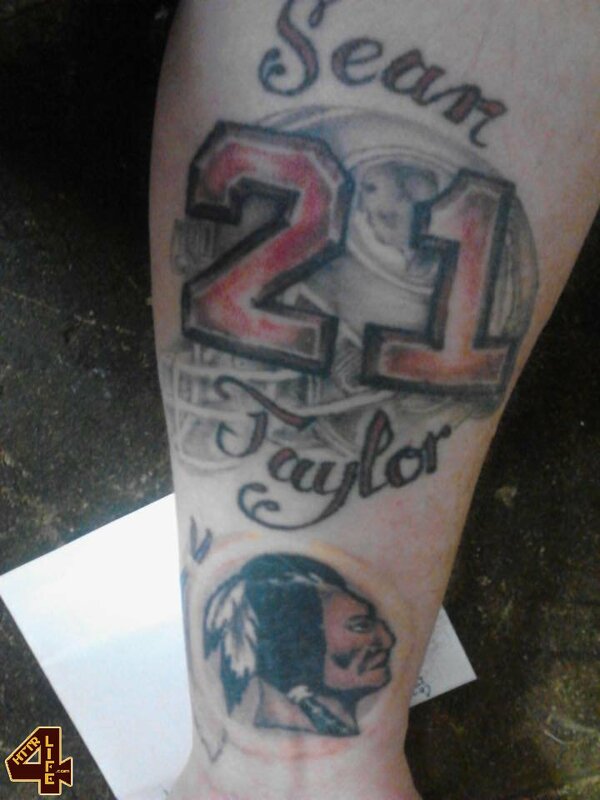 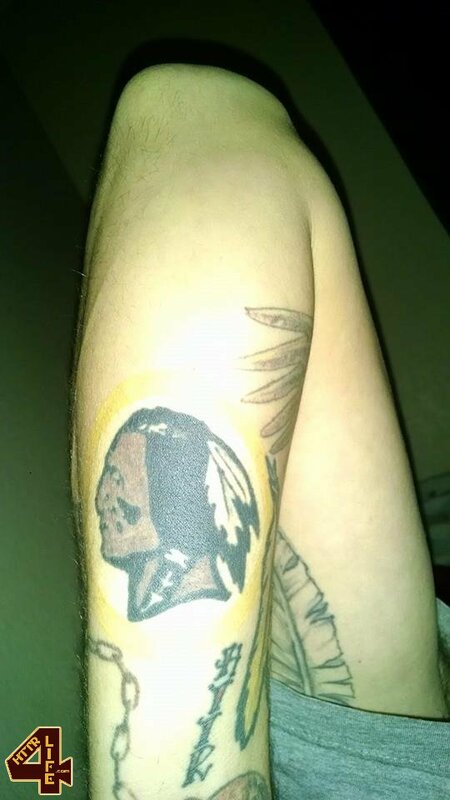 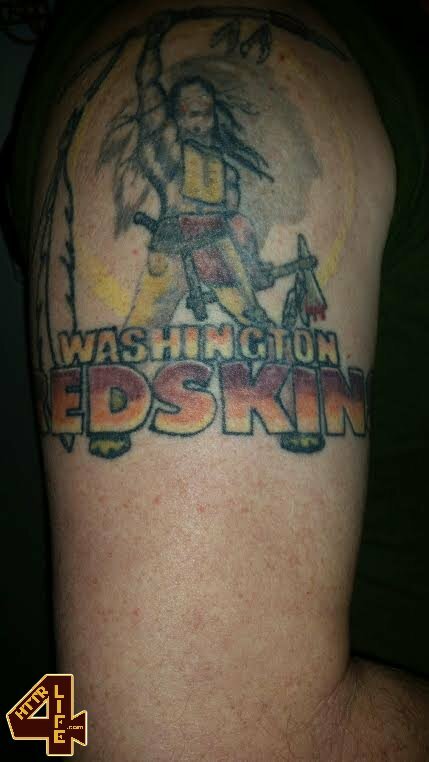 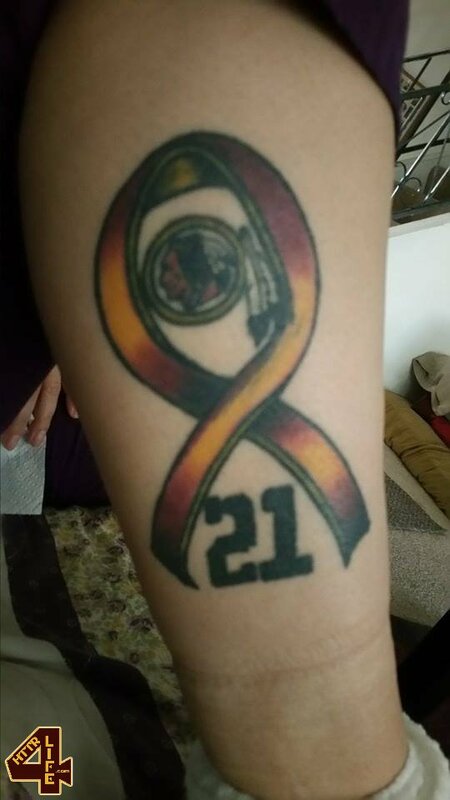 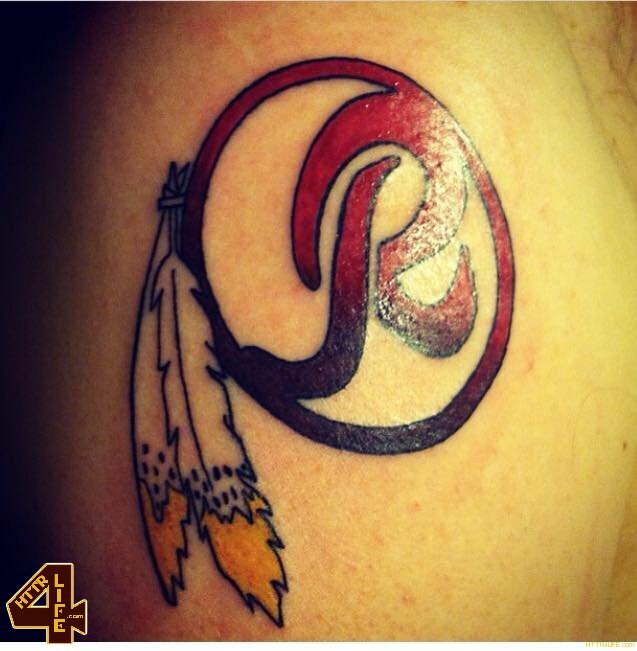 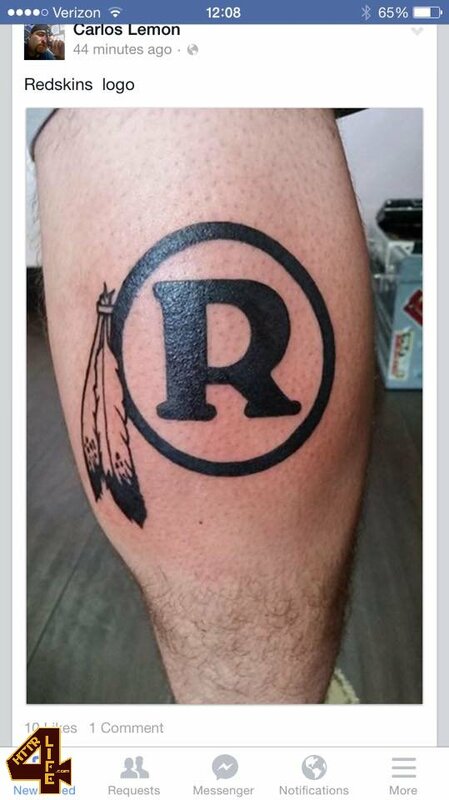 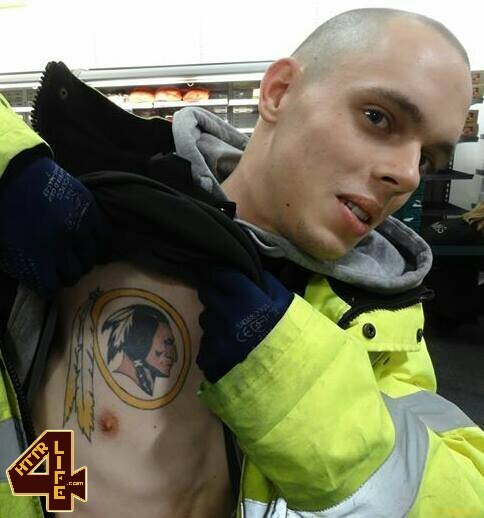 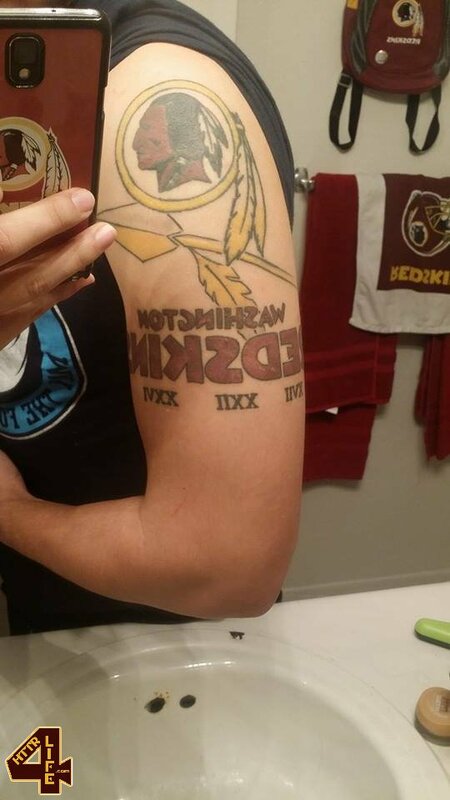 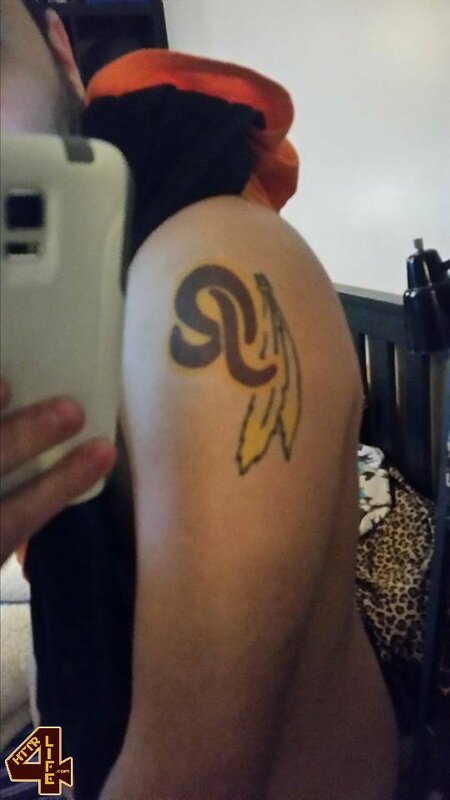 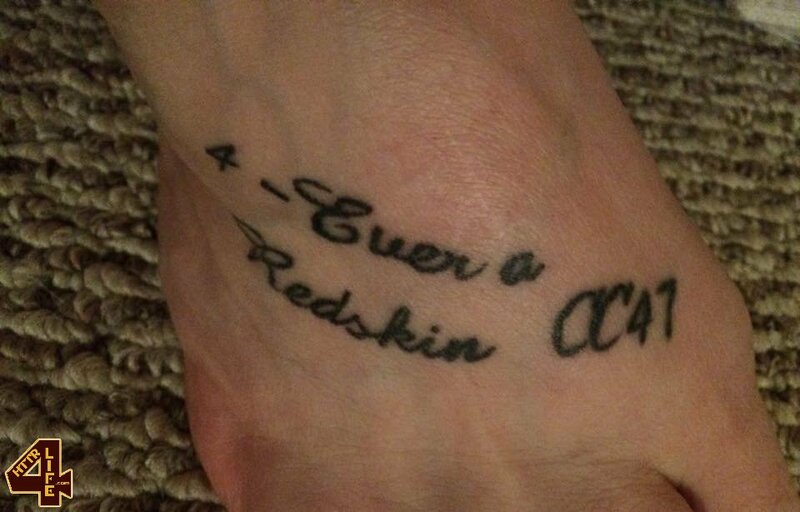 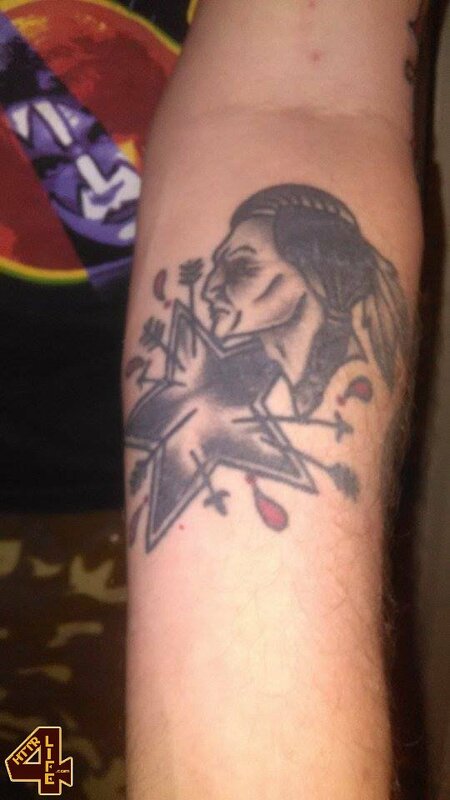 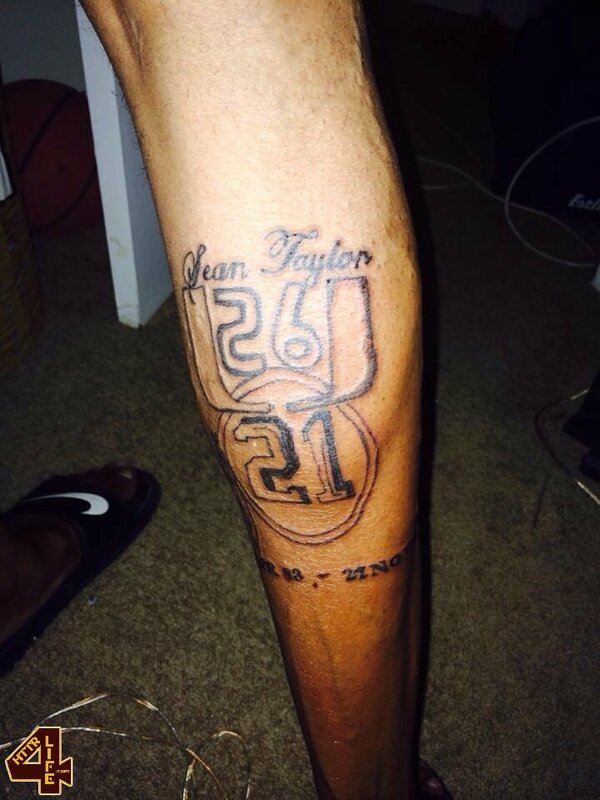 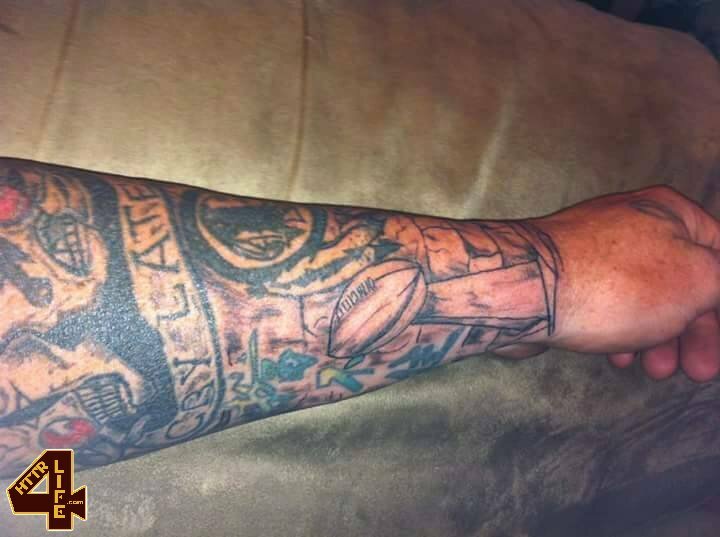 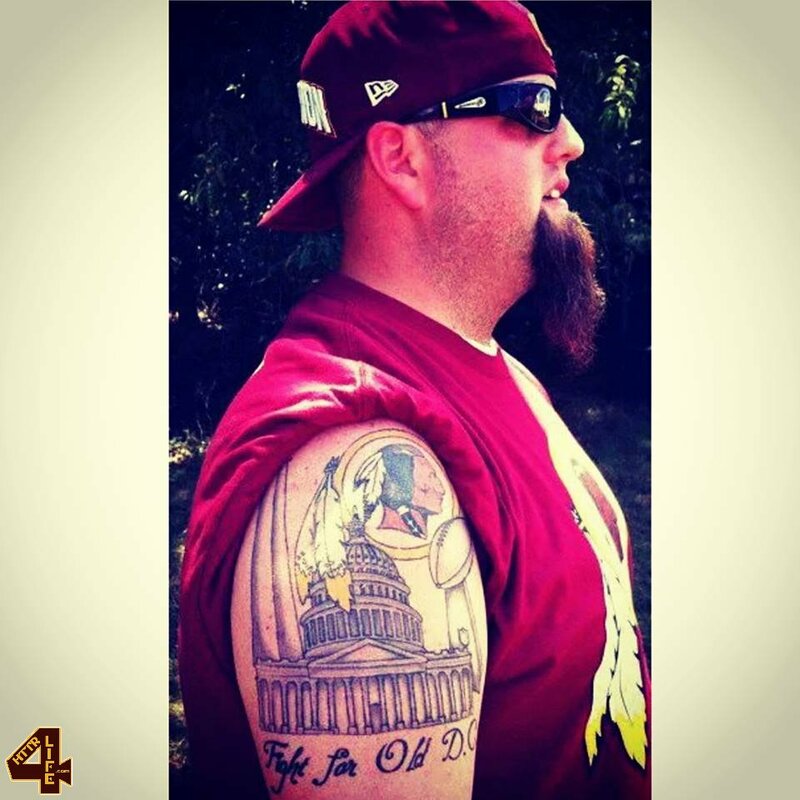 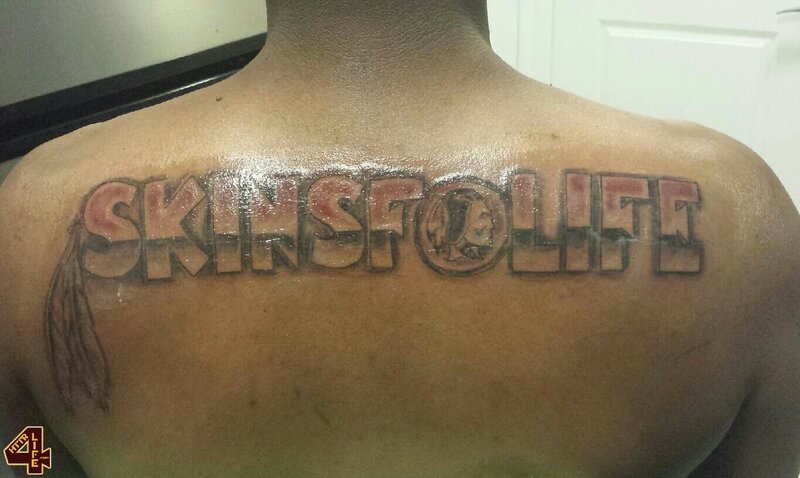 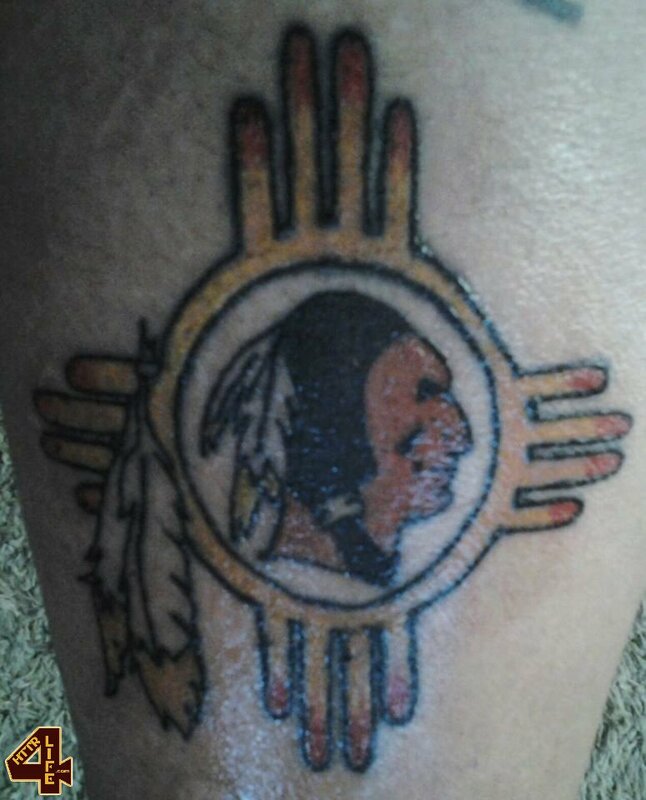 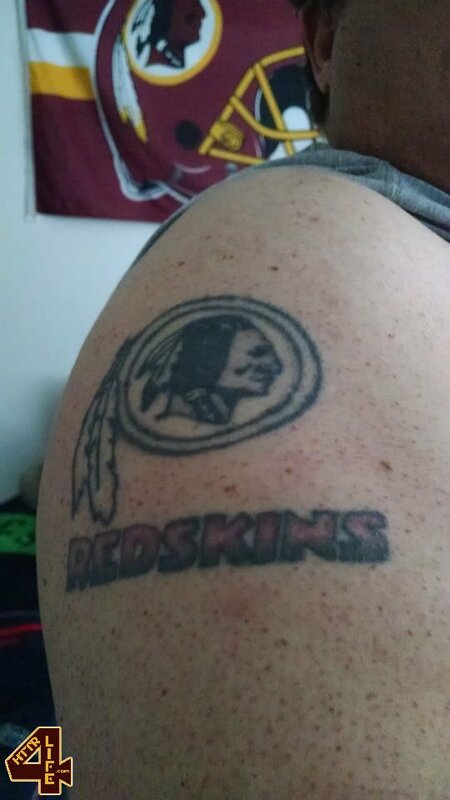 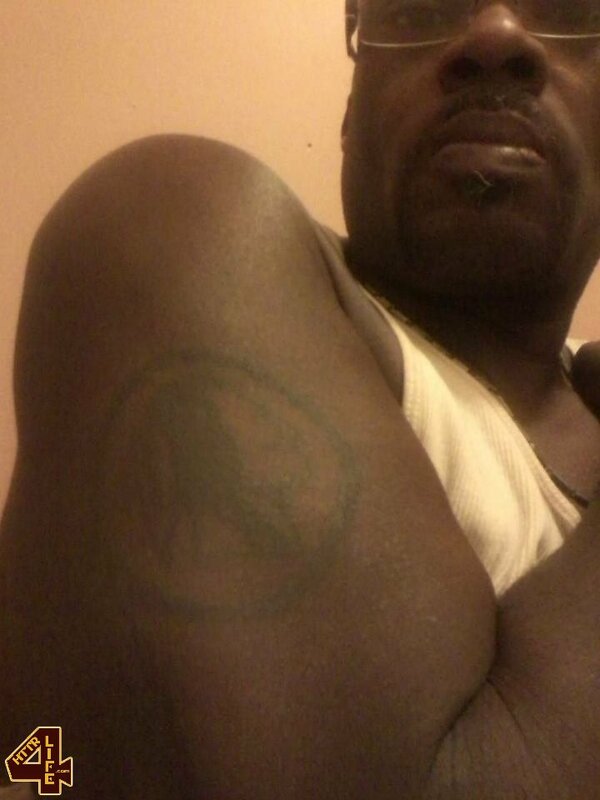 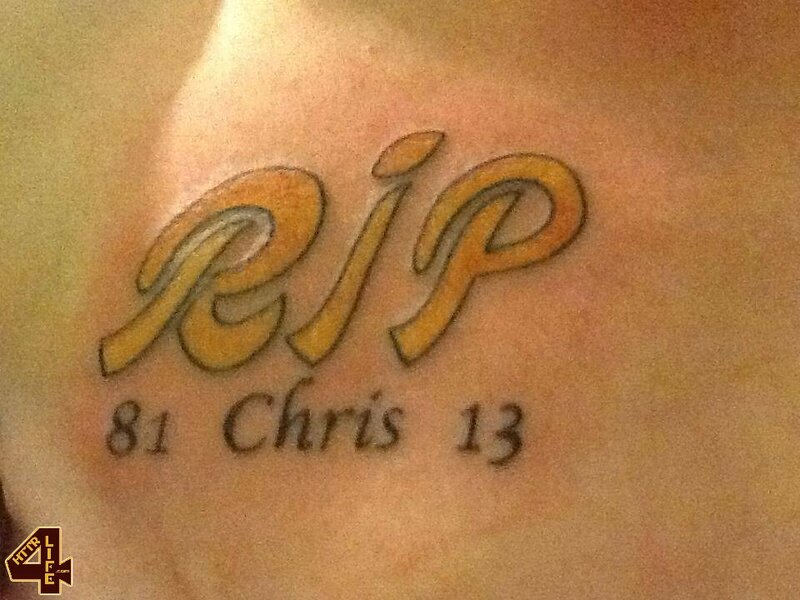 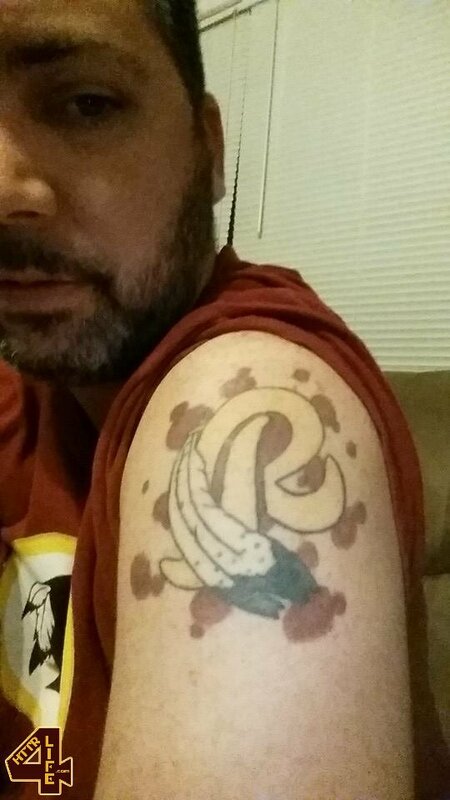 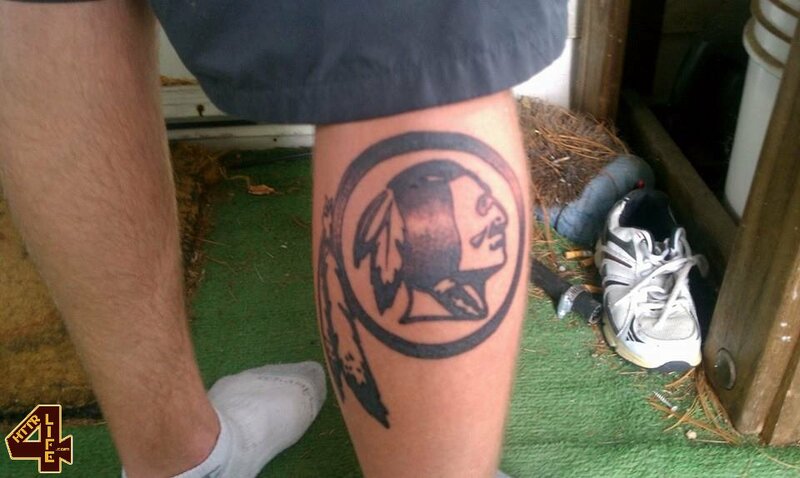 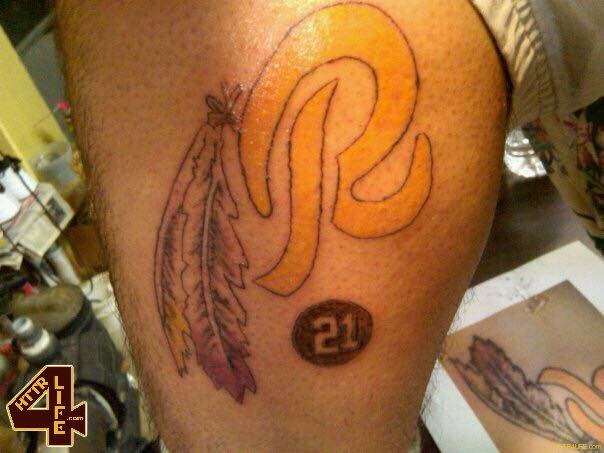 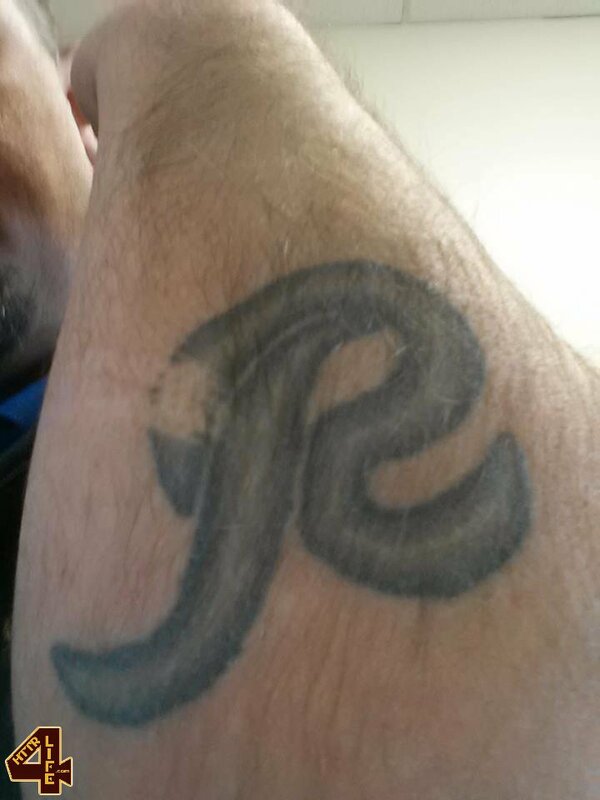 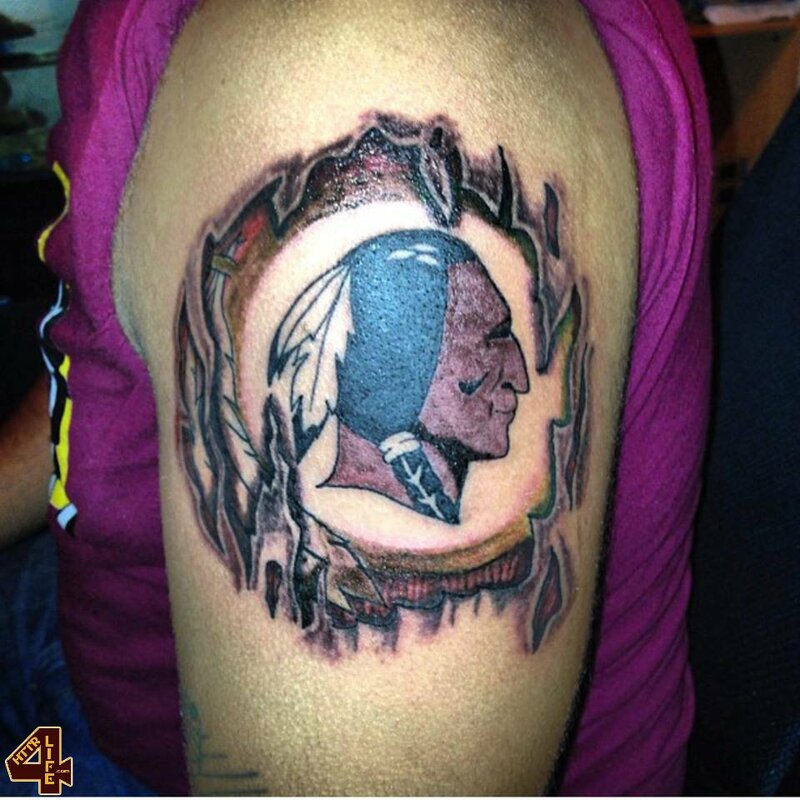 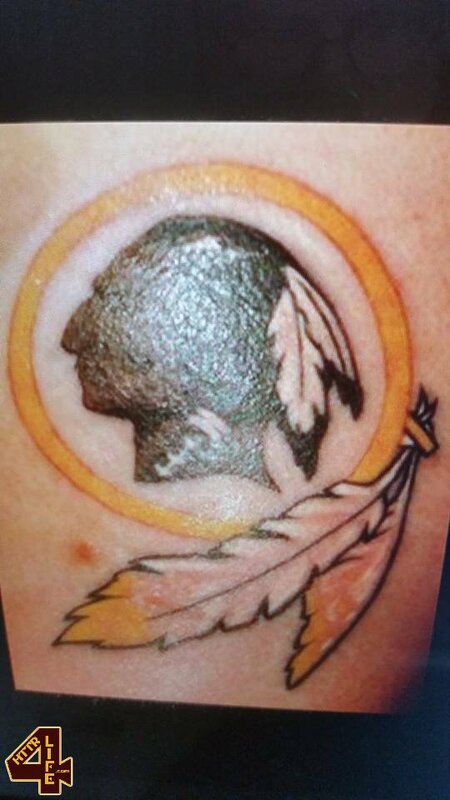 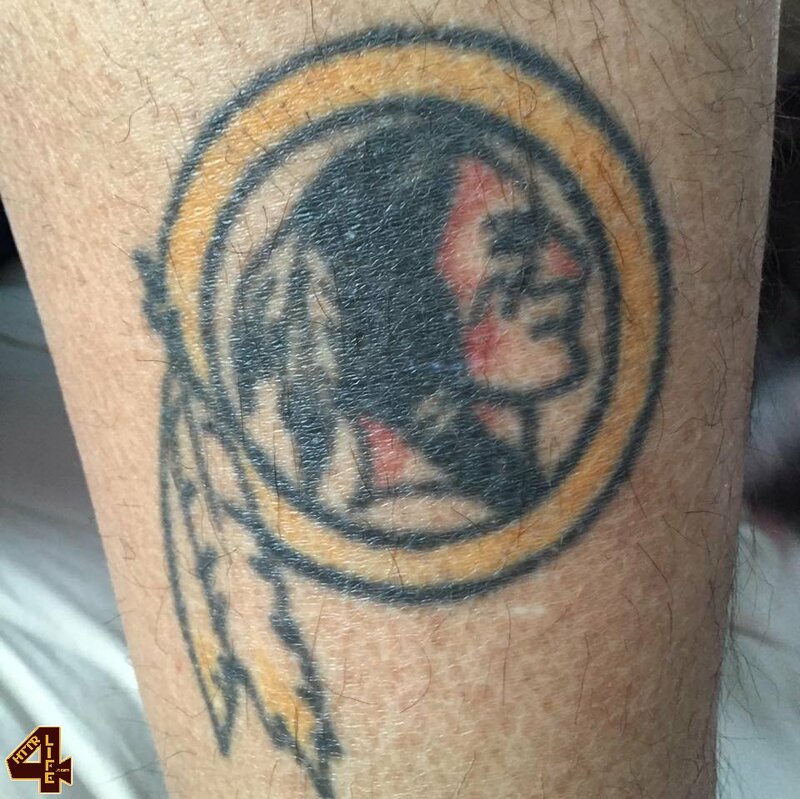 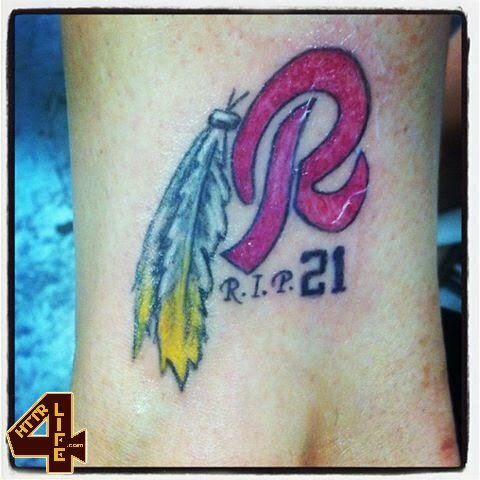 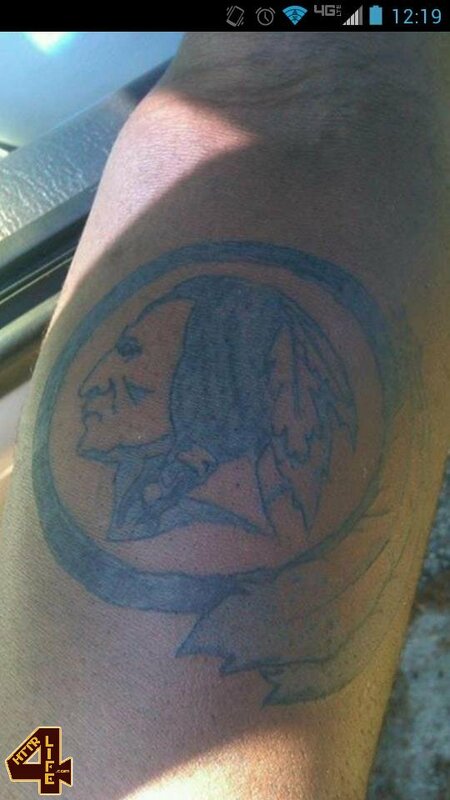 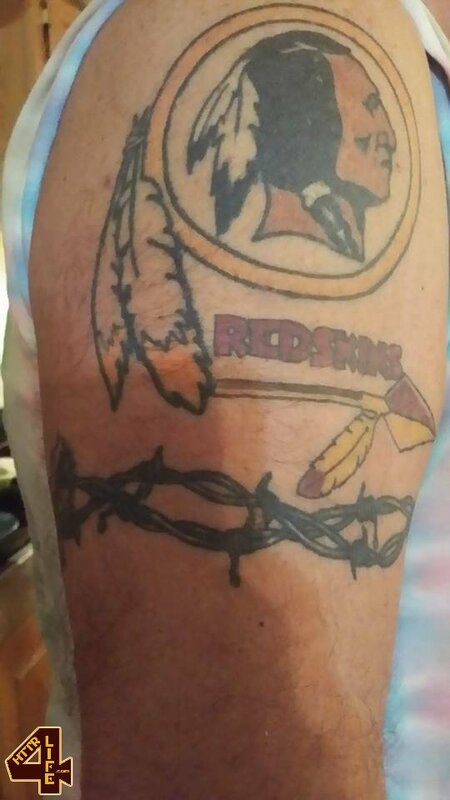 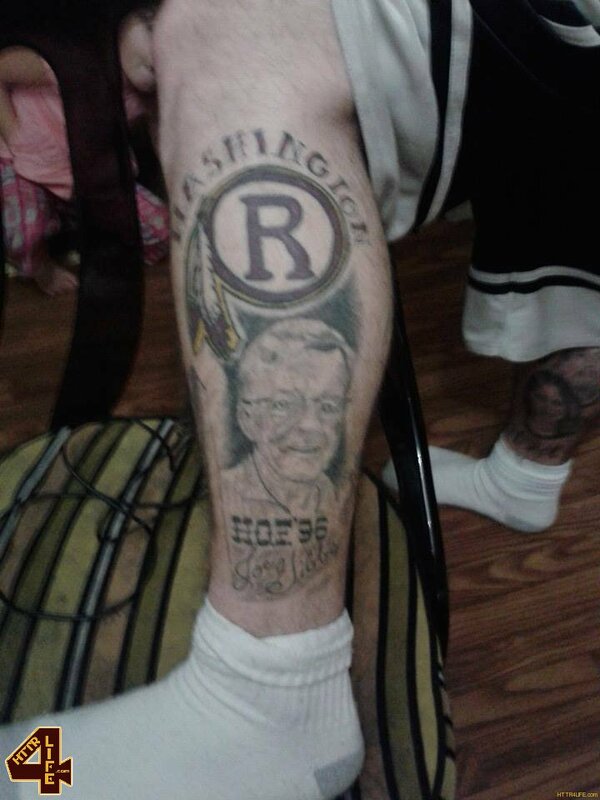 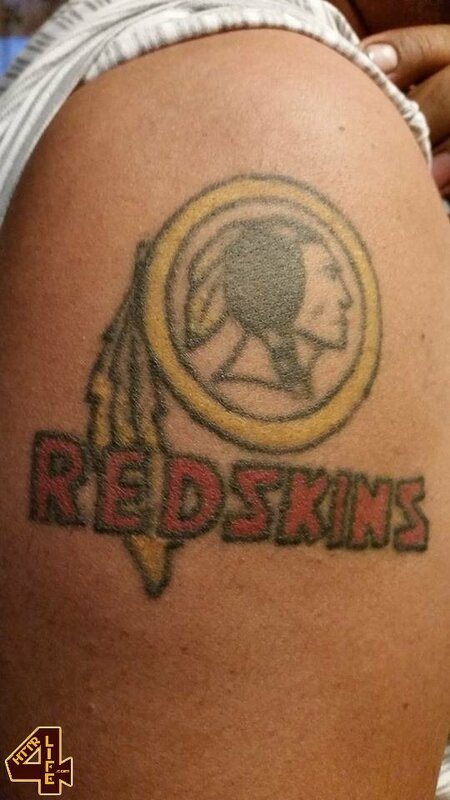 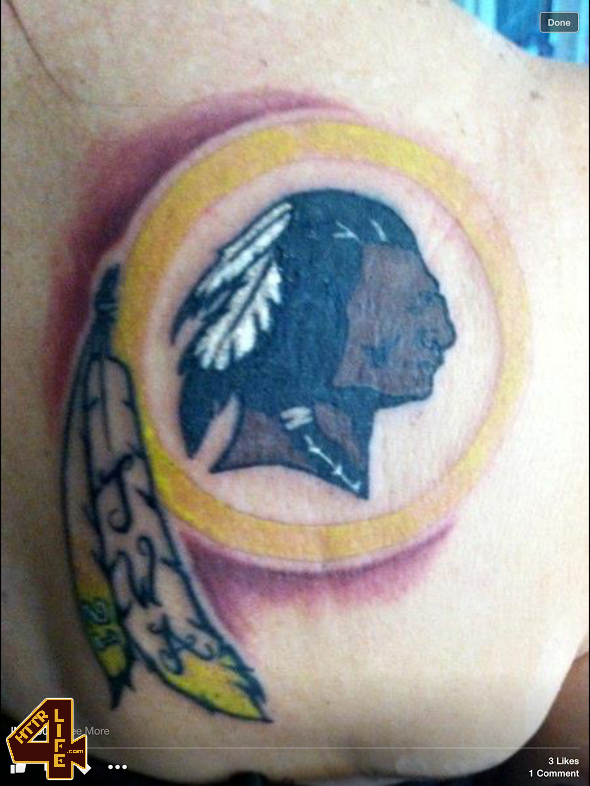 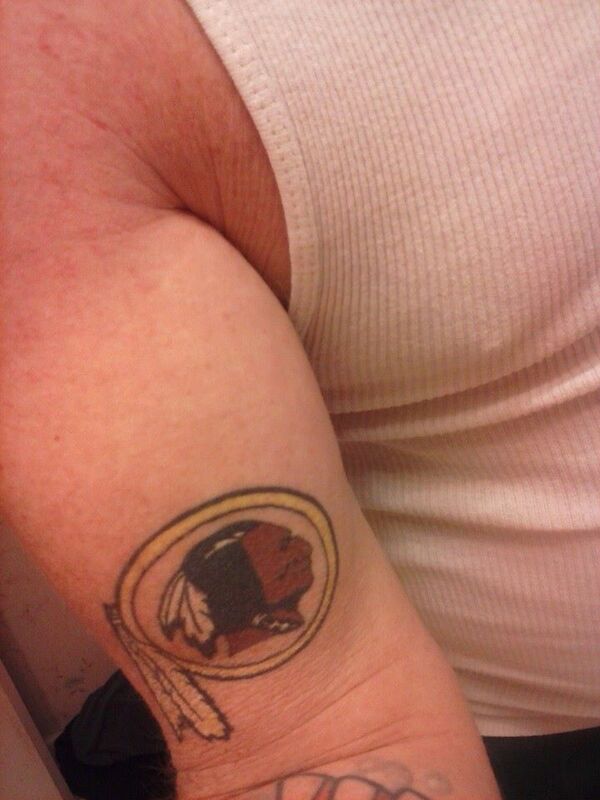 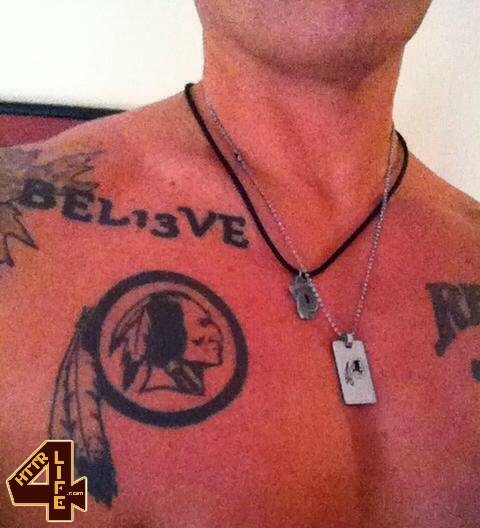 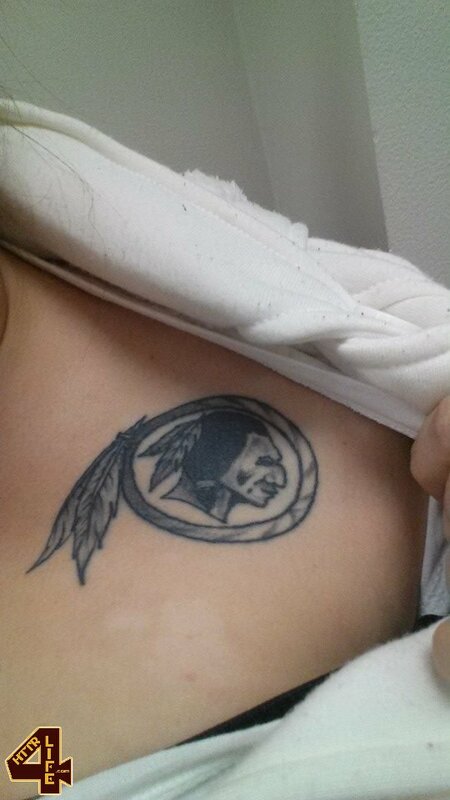 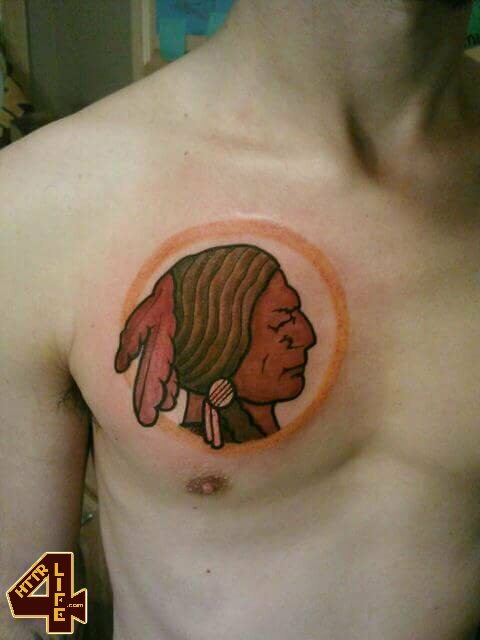 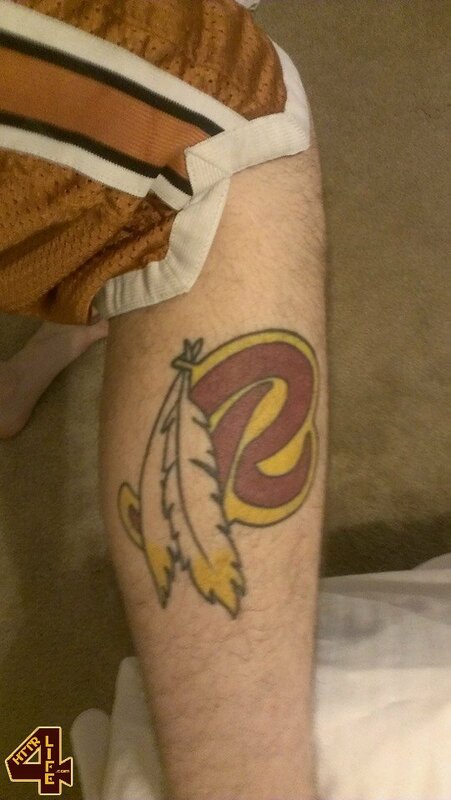 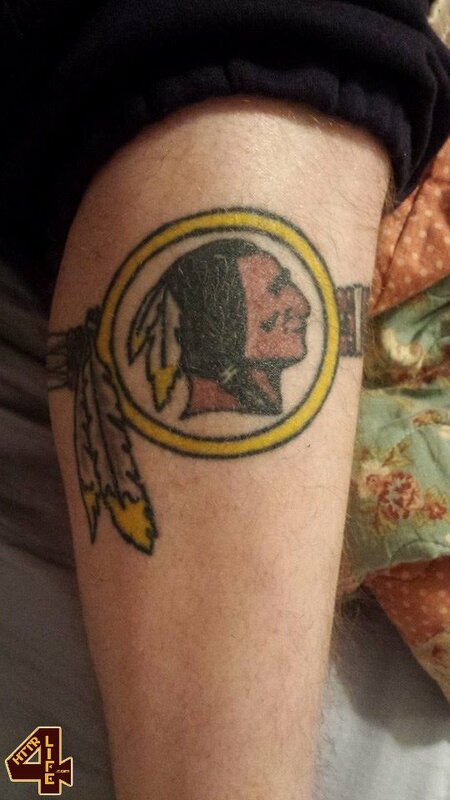 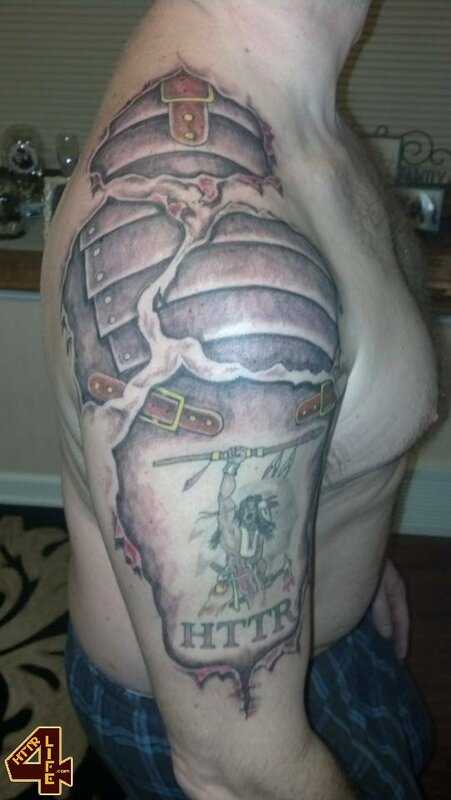 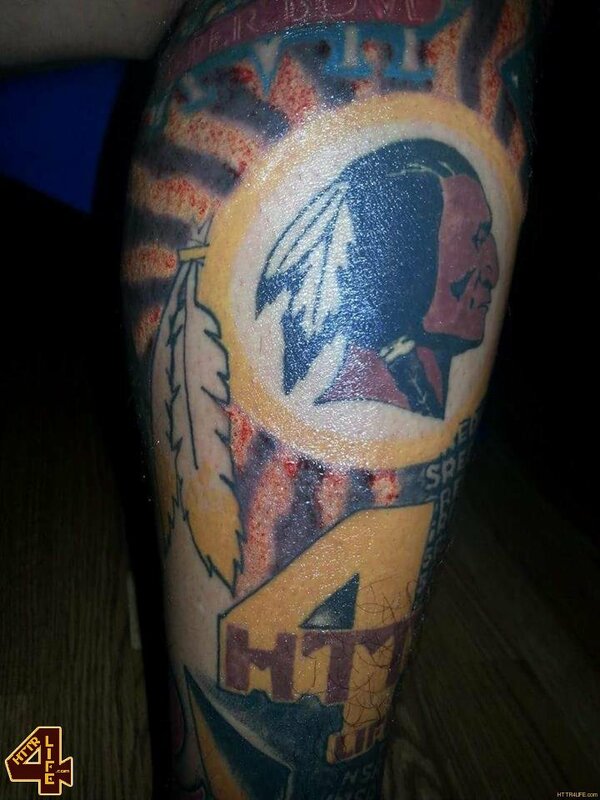 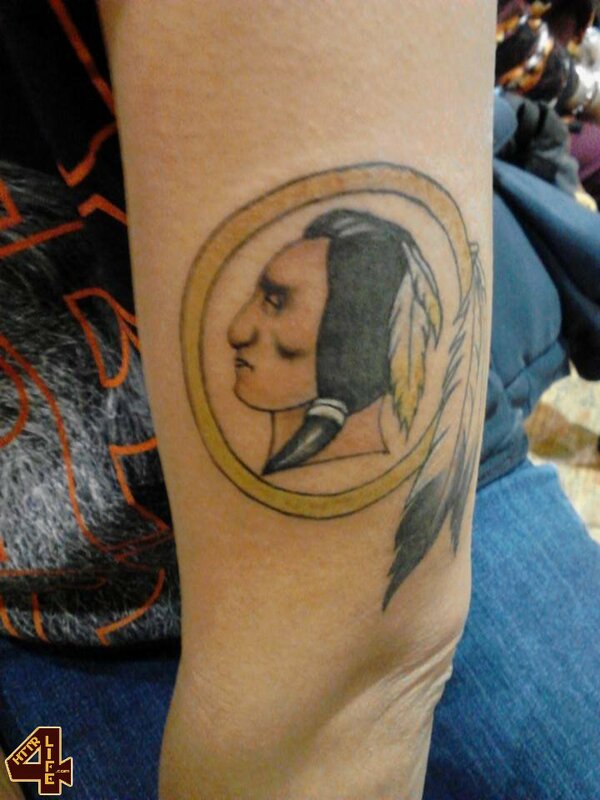 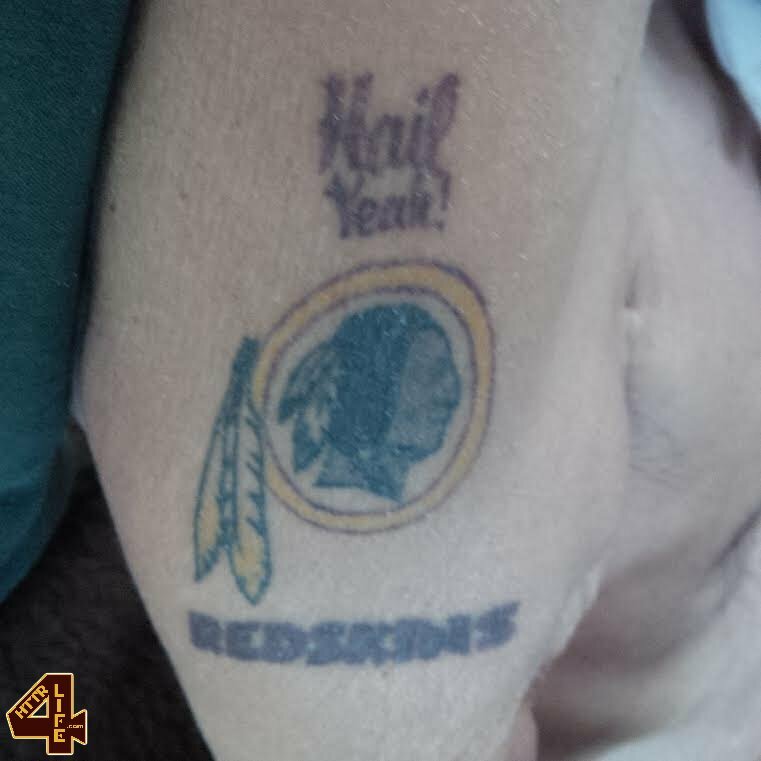 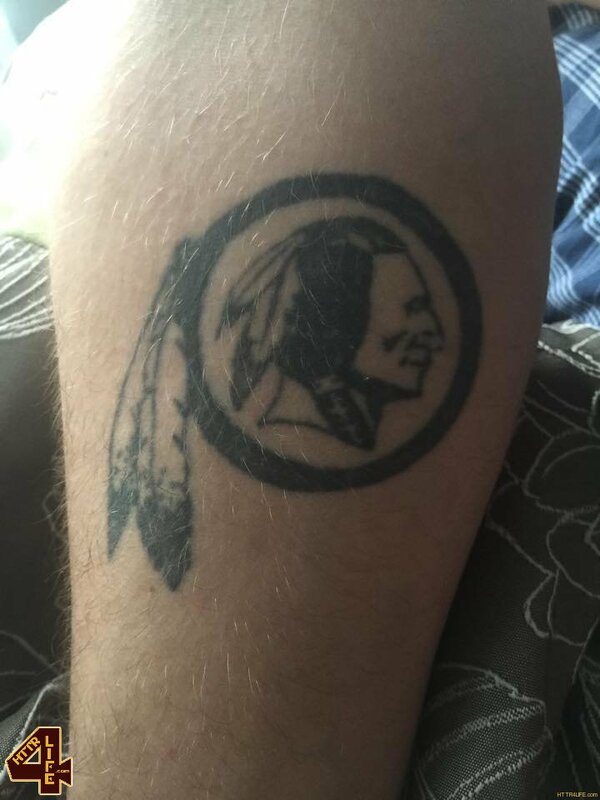 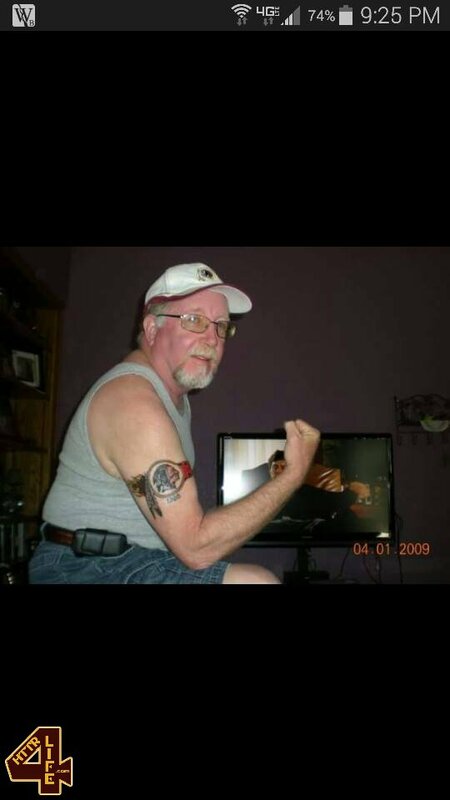 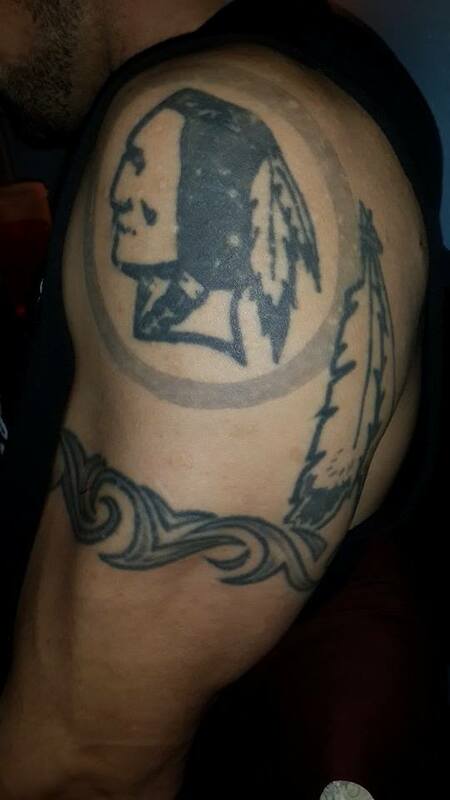 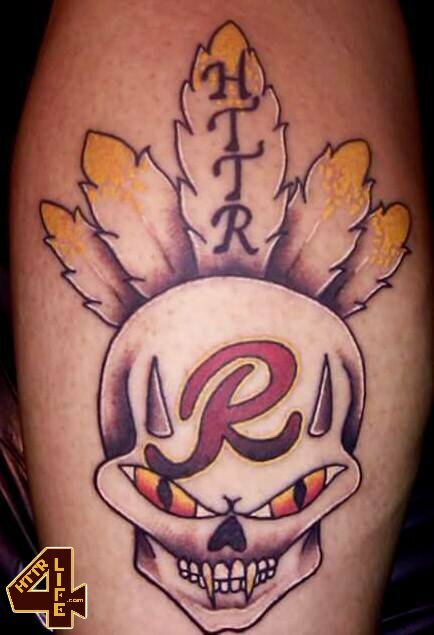 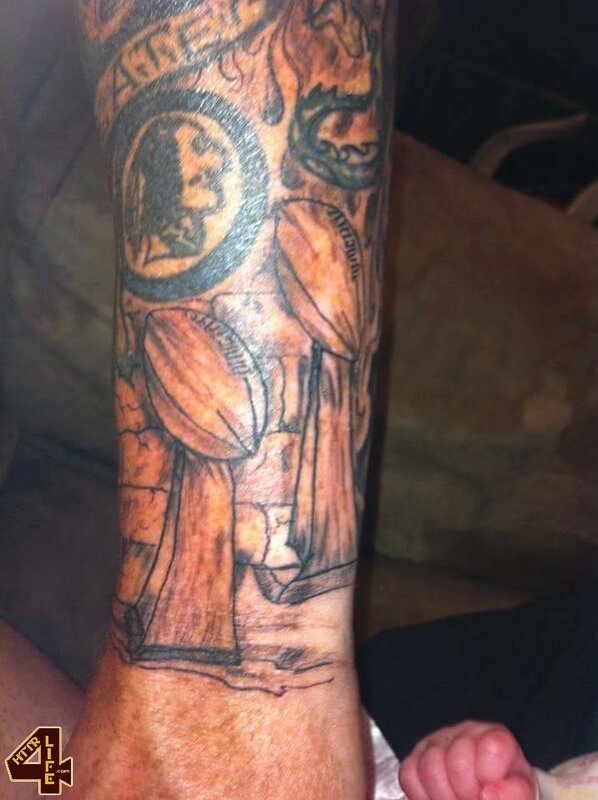 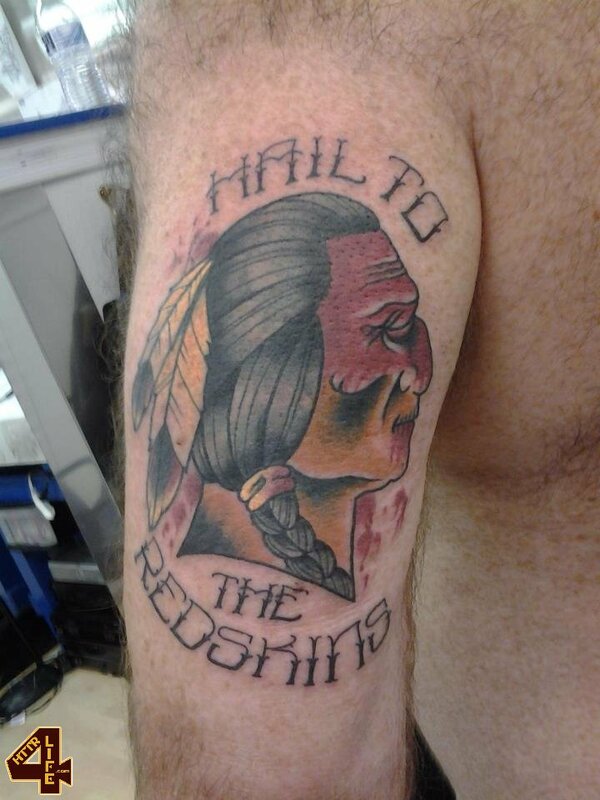 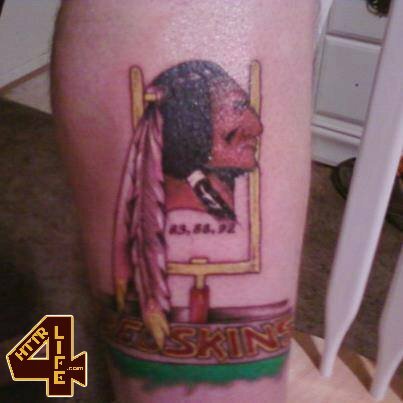 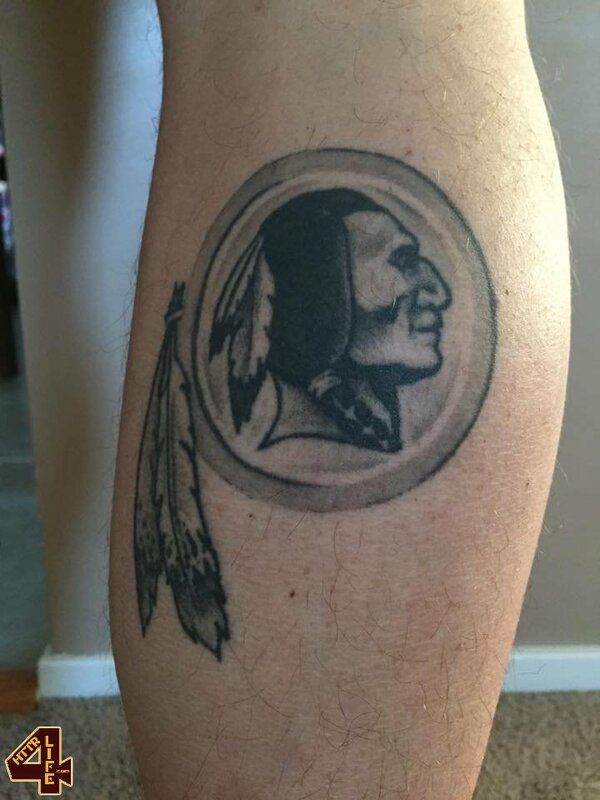 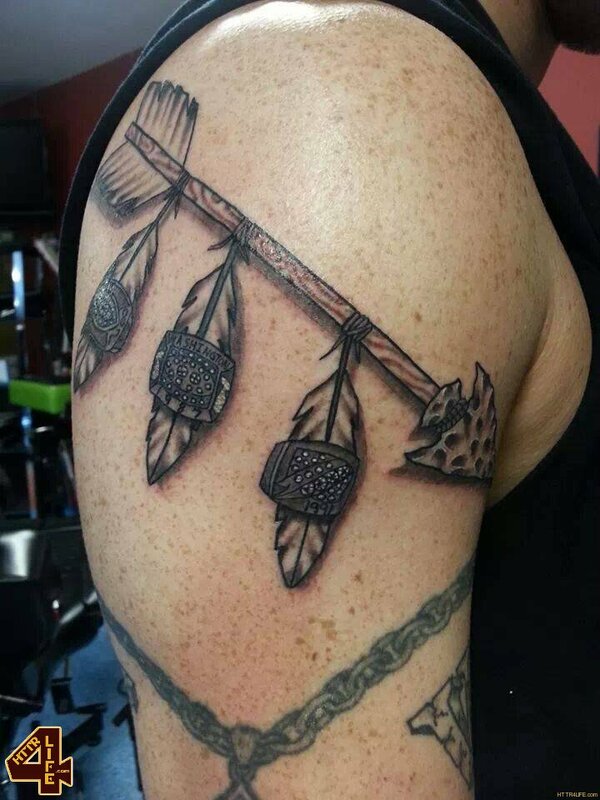 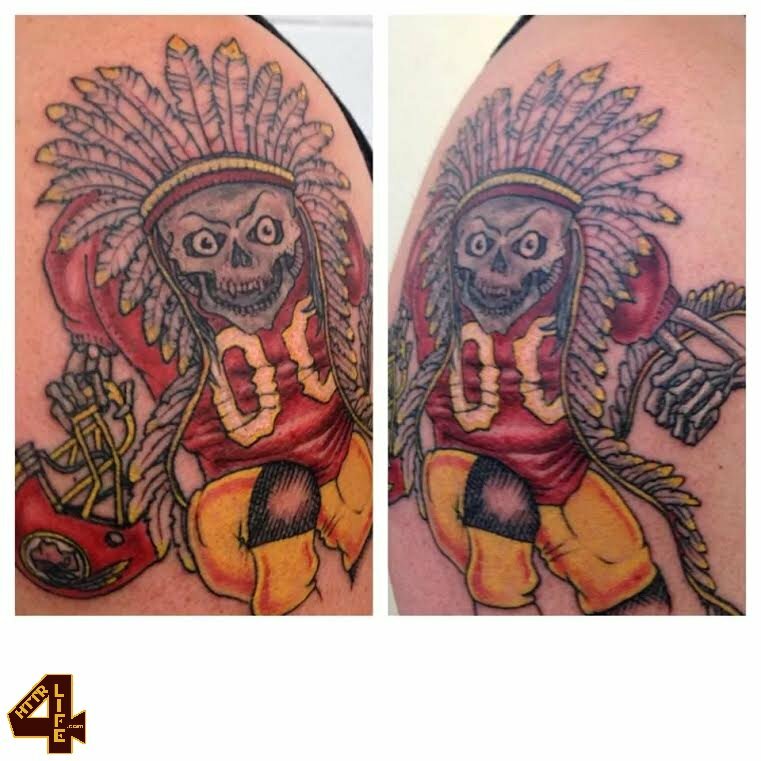 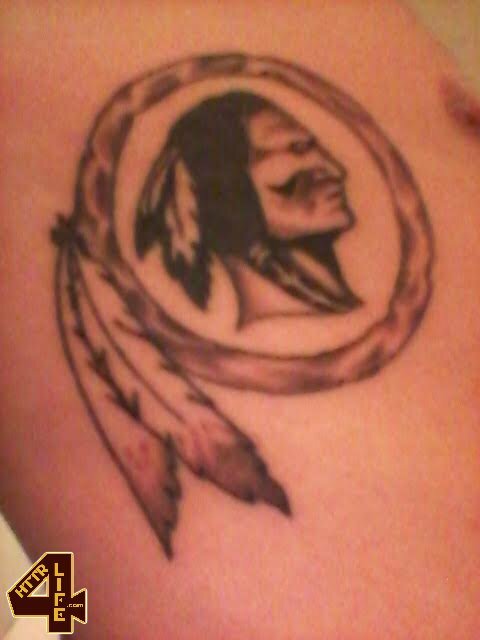 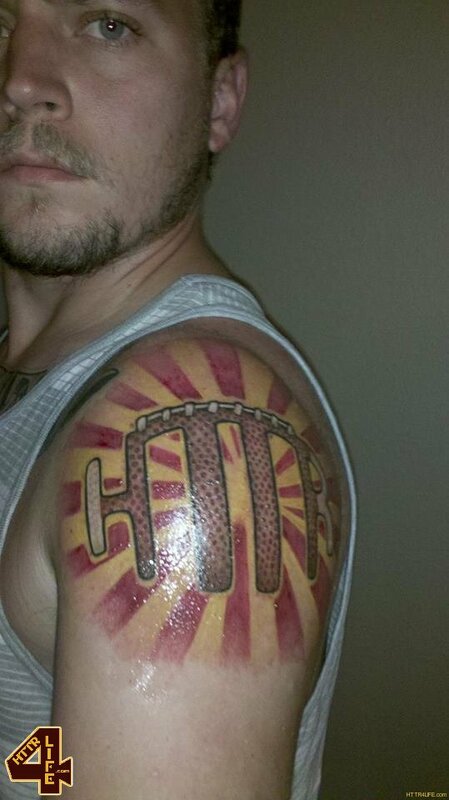 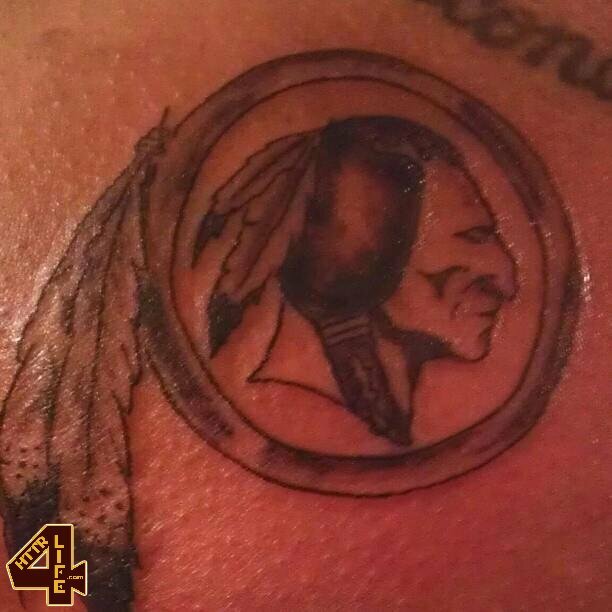 A few weeks back we asked everyone on our Facebook page “Hail to the Redskins” to send us pictures of their Redskins tattoos, and the response was incredible. 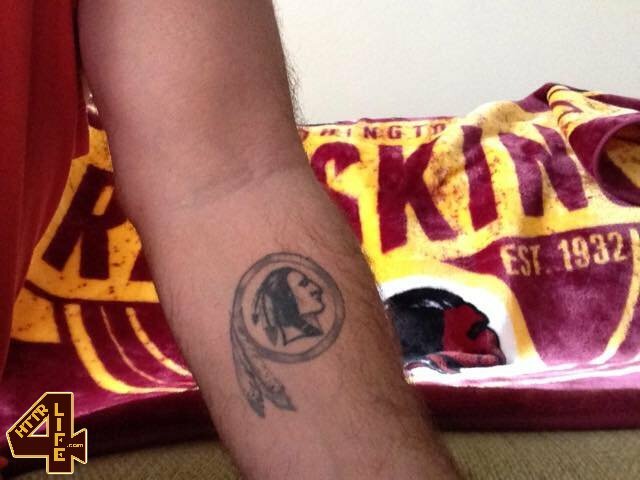 To say the amount of #RedskinsInk floating around the world is plentiful, would be a massive understatement. 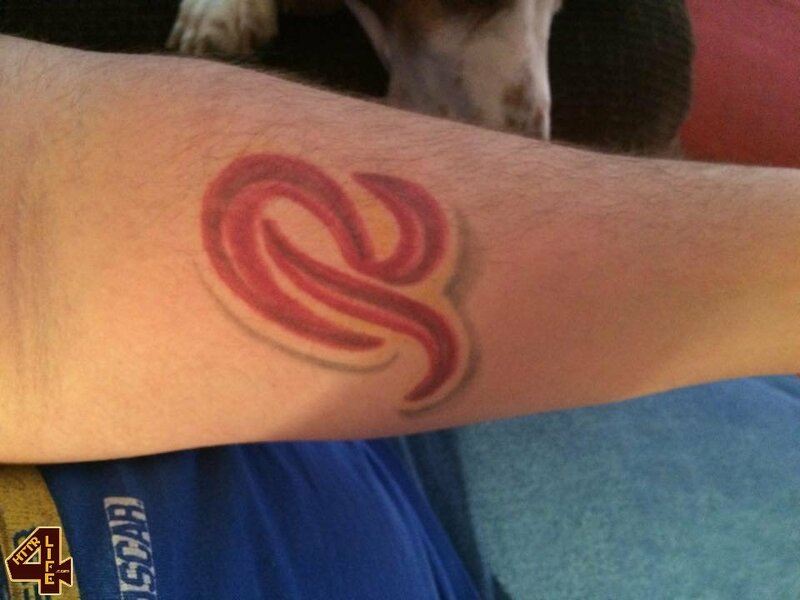 We’ve put together a gallery of images for everyone to check out. 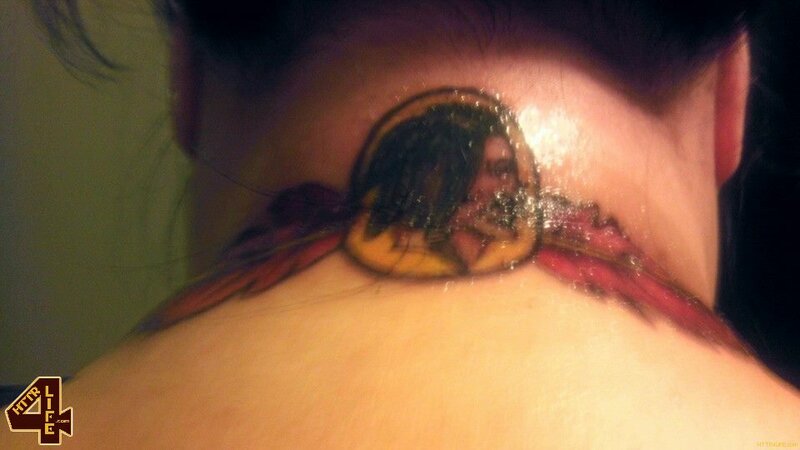 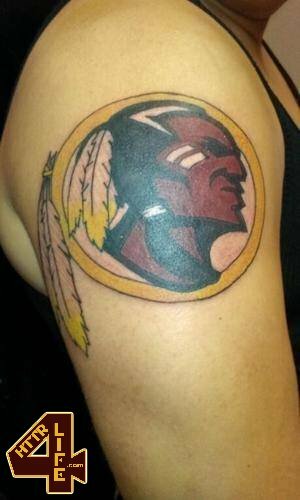 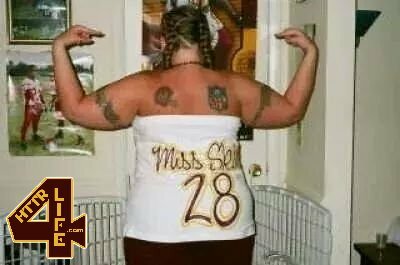 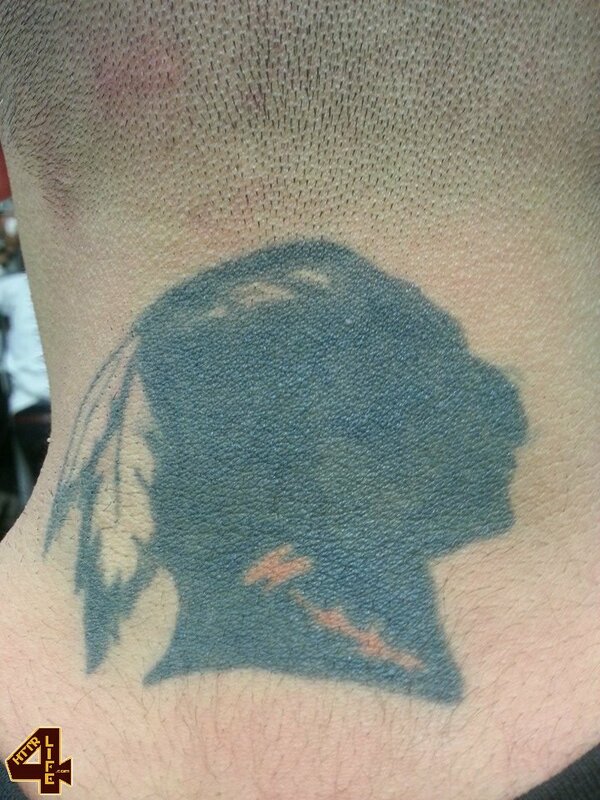 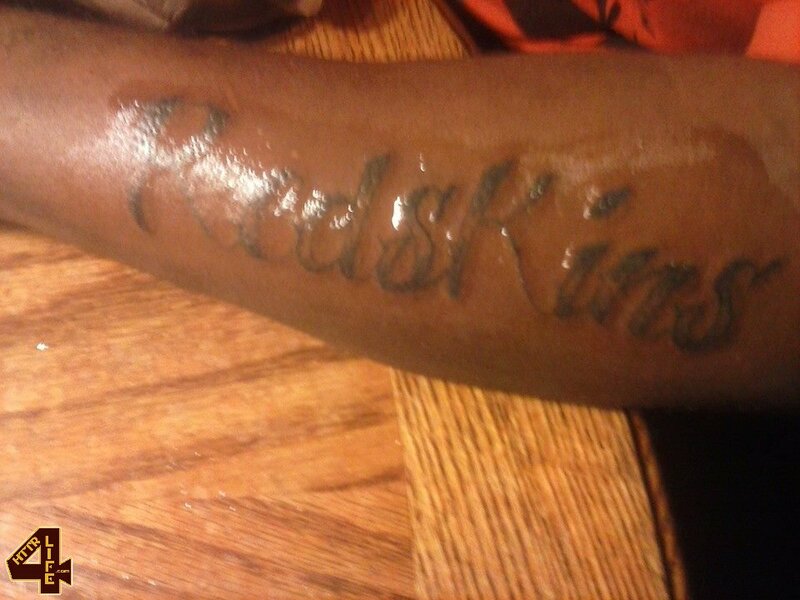 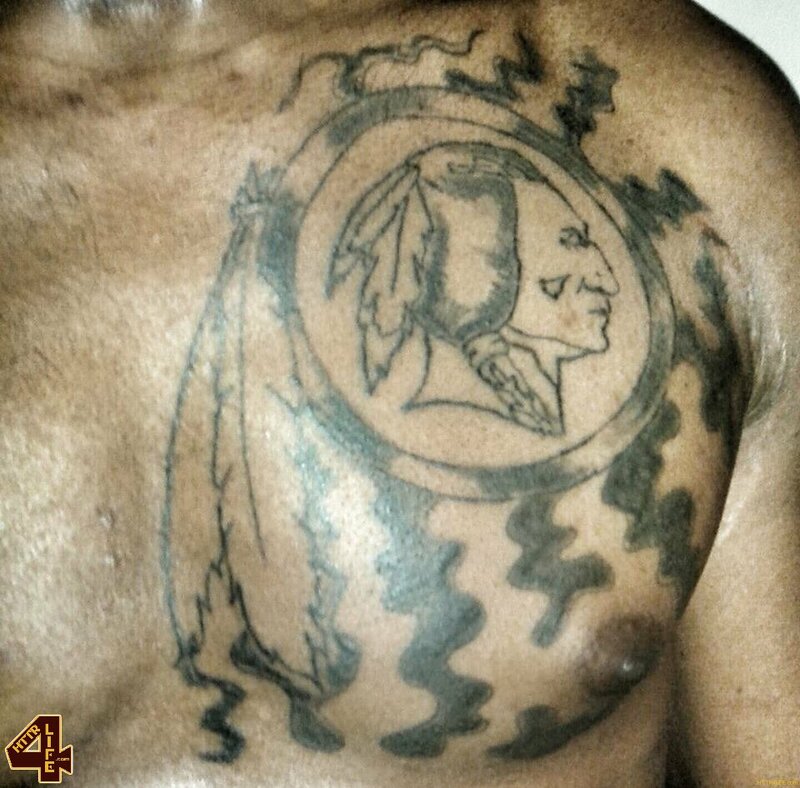 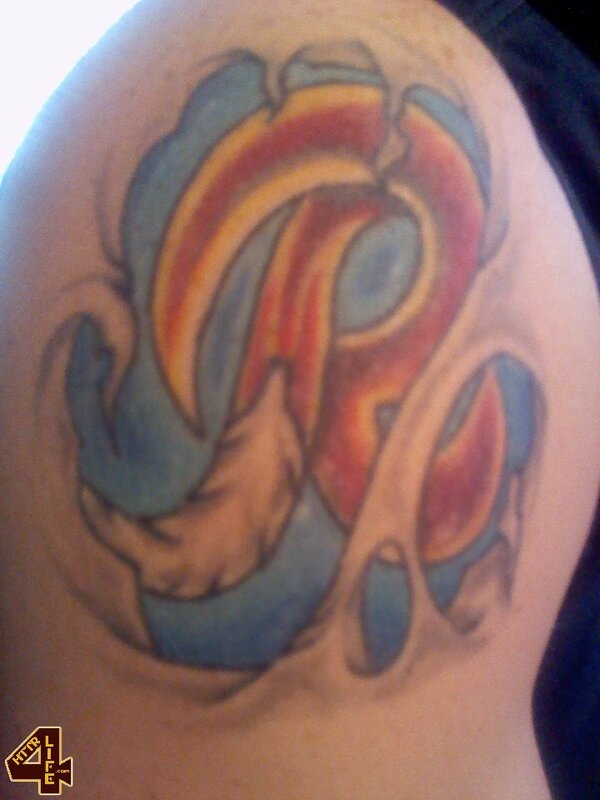 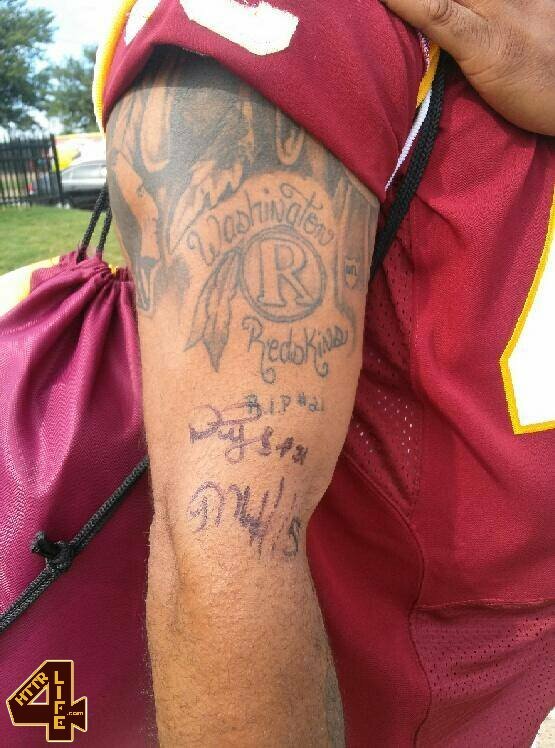 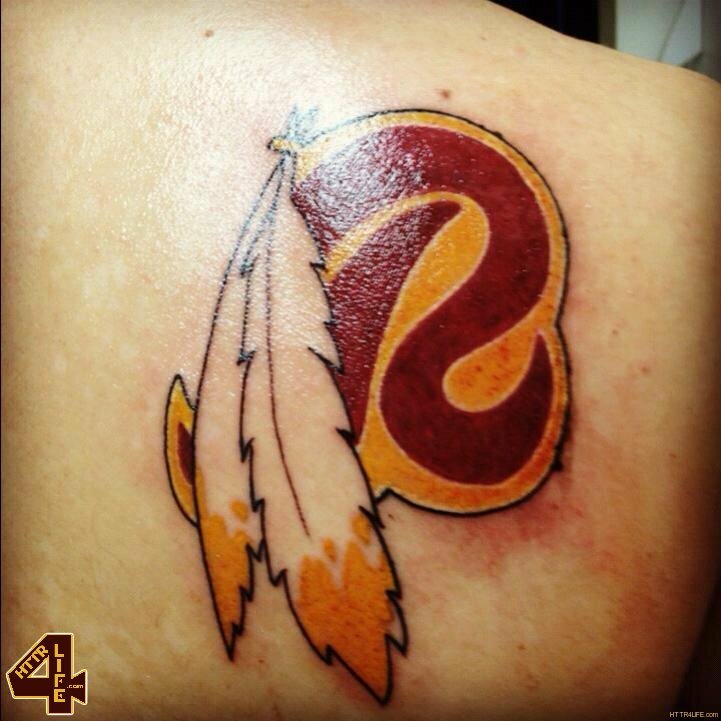 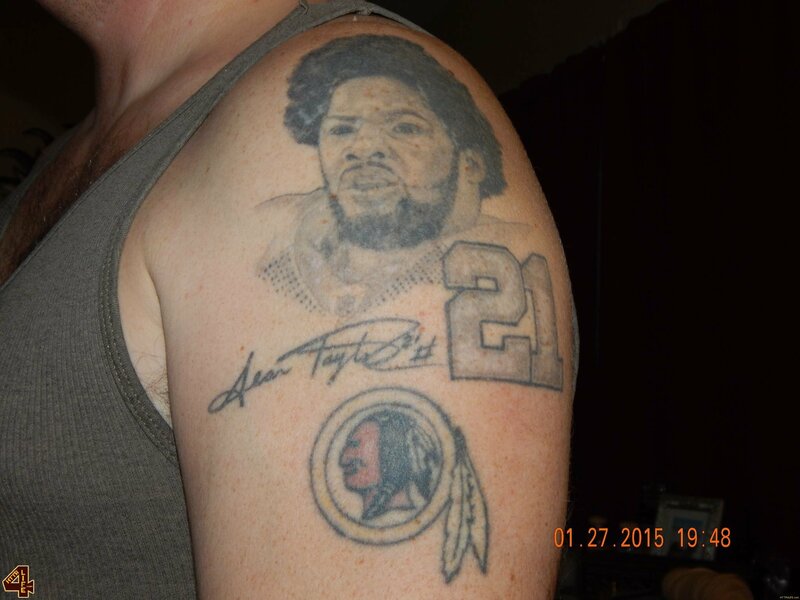 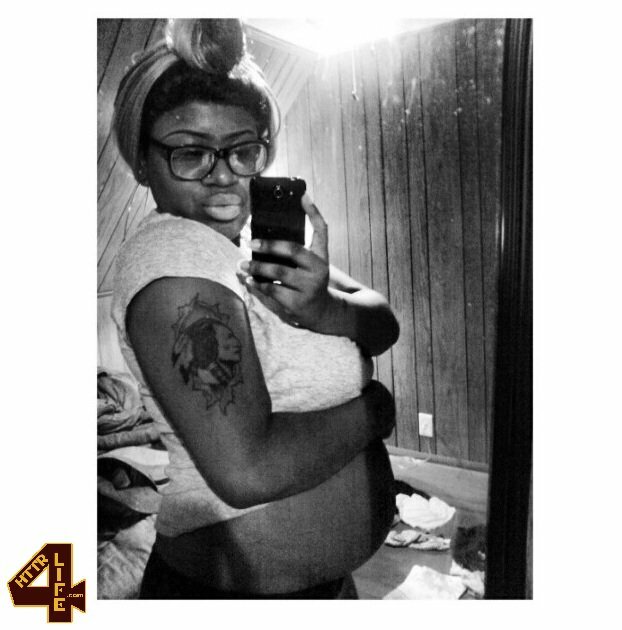 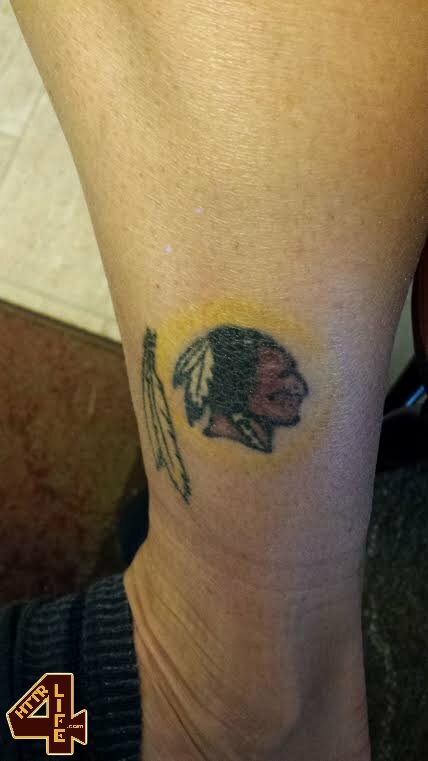 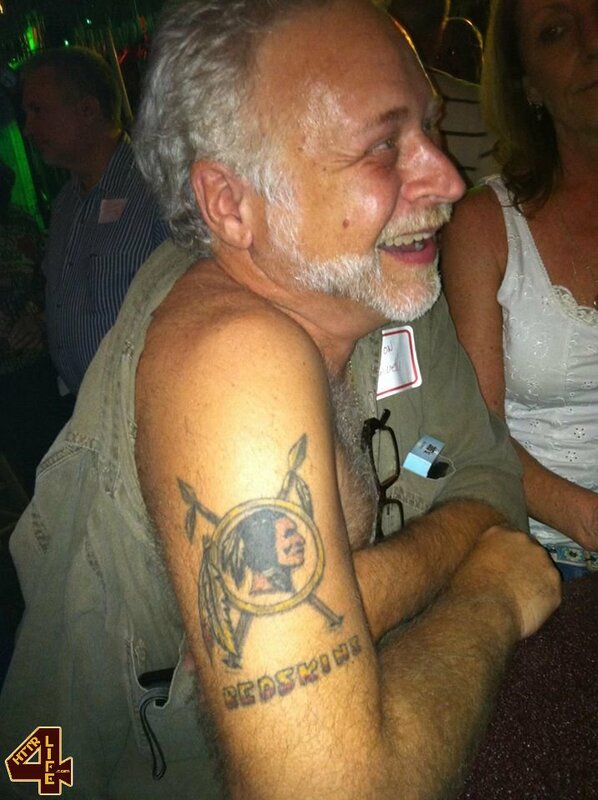 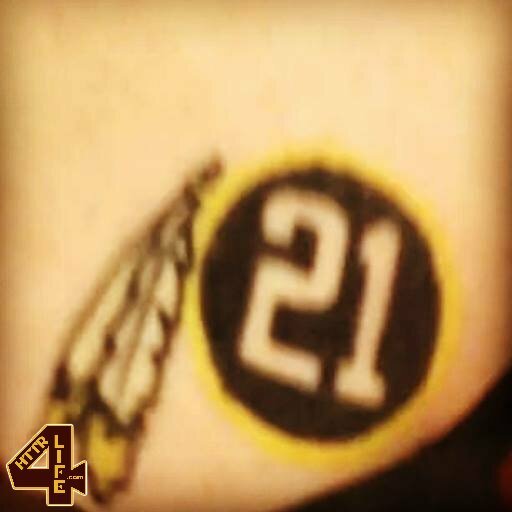 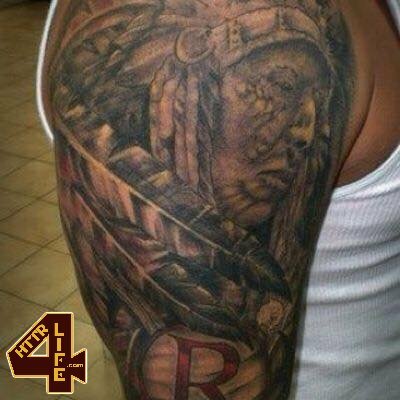 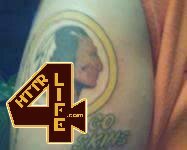 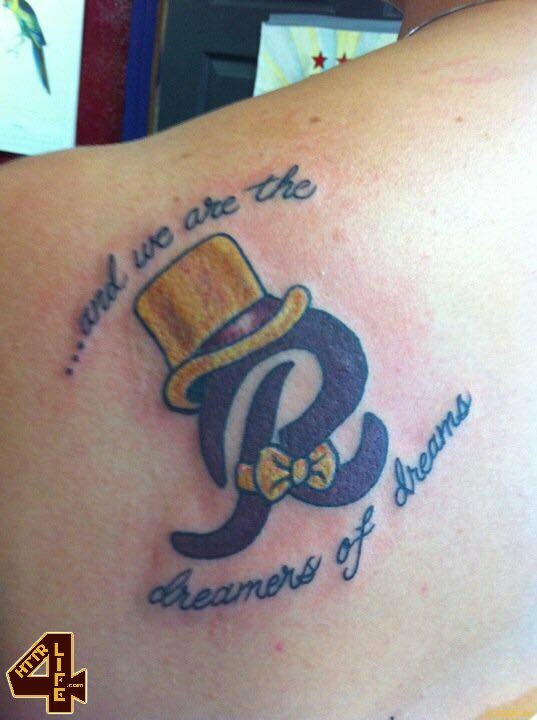 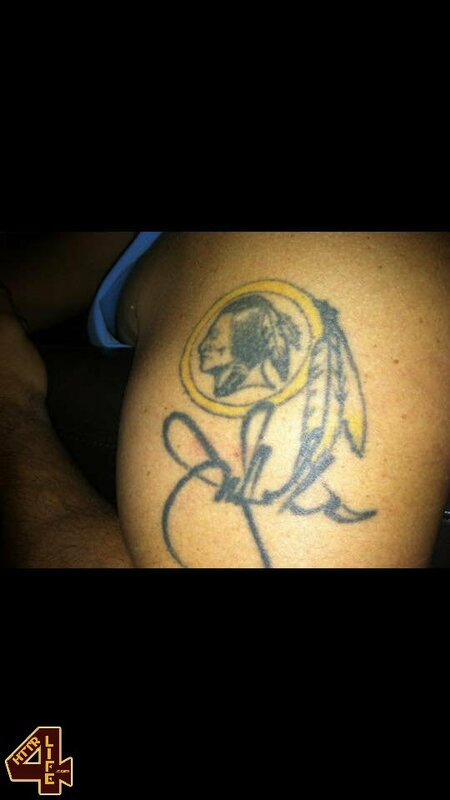 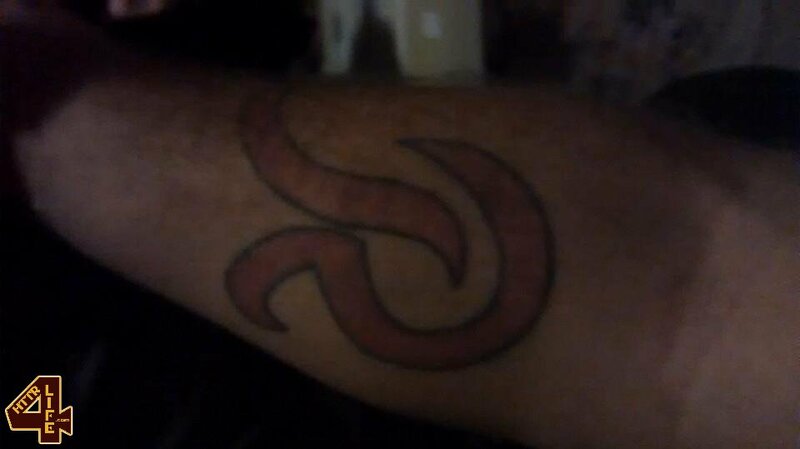 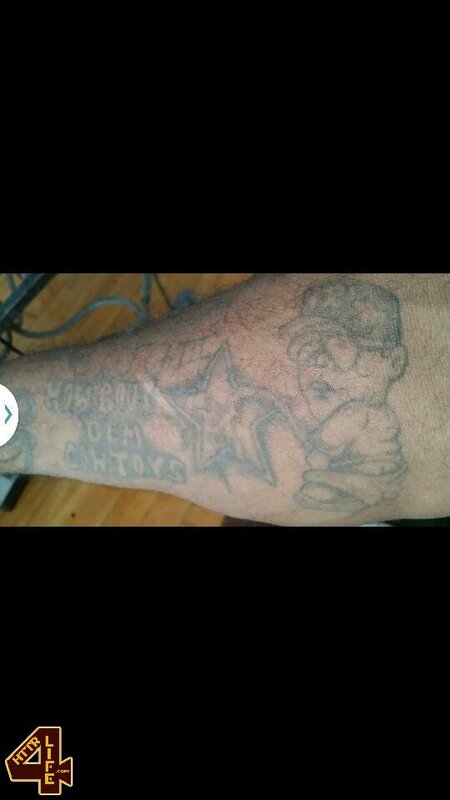 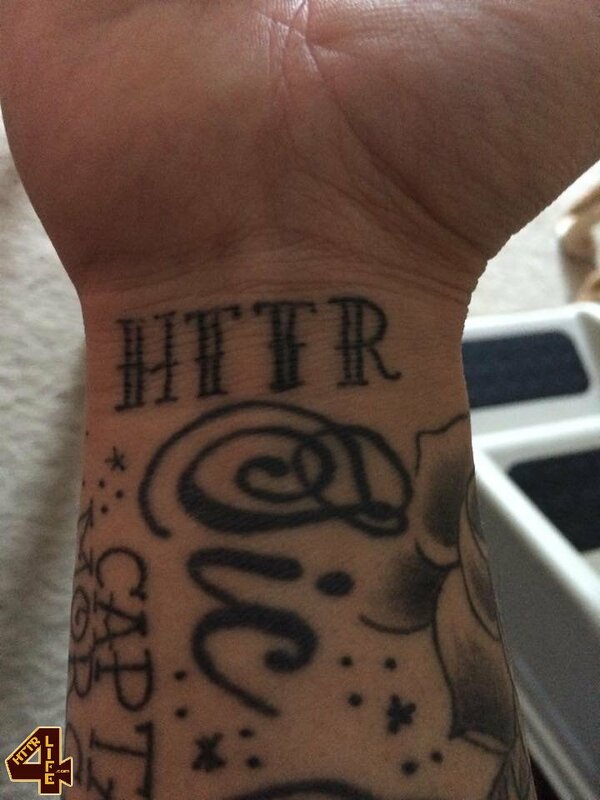 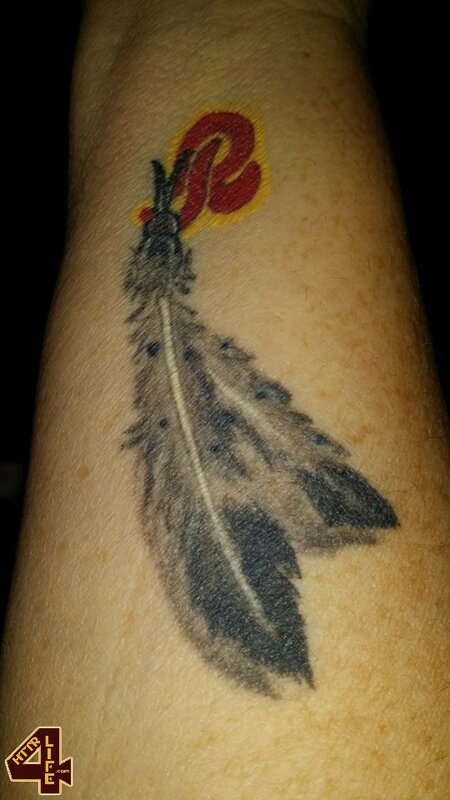 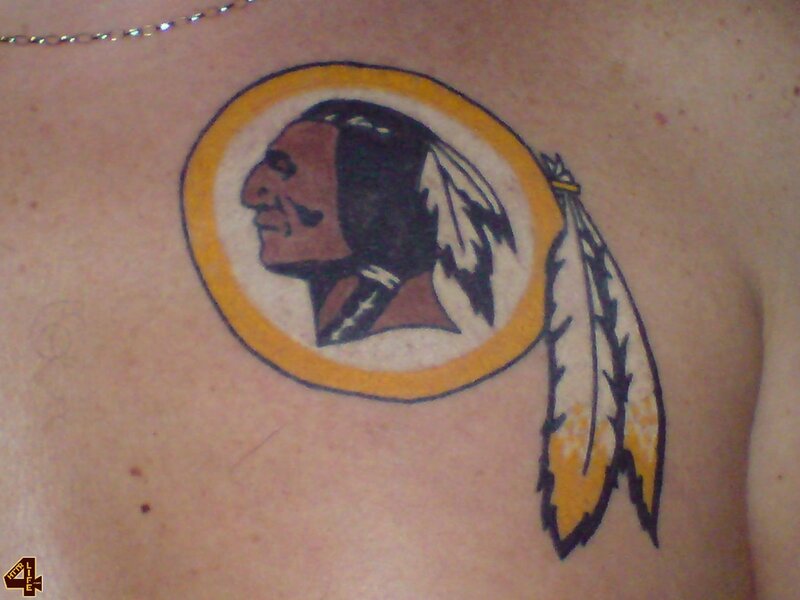 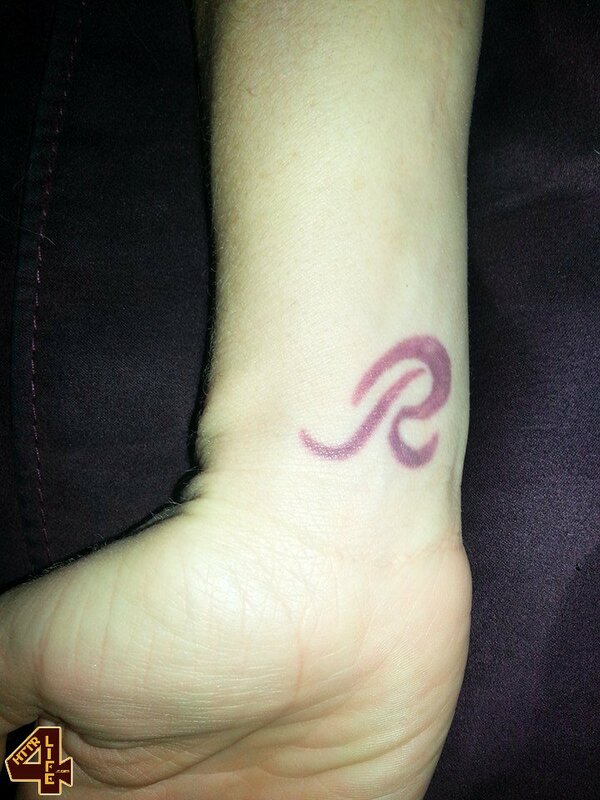 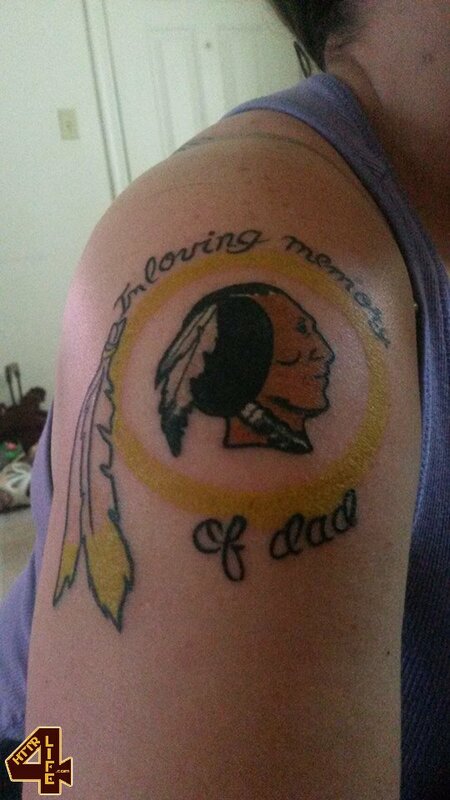 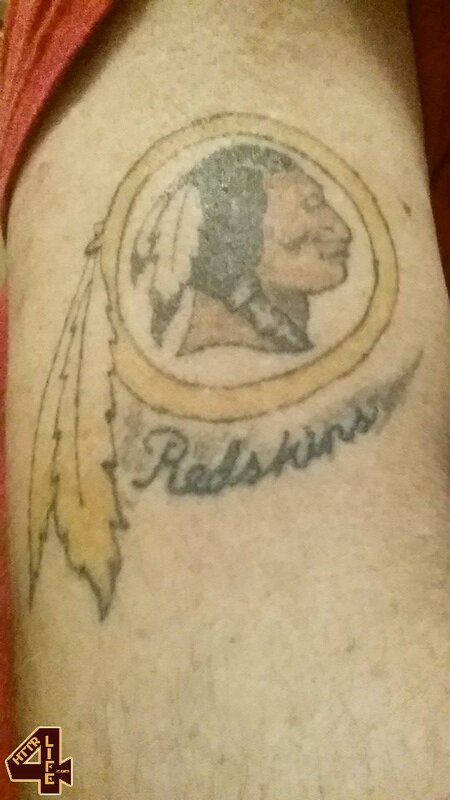 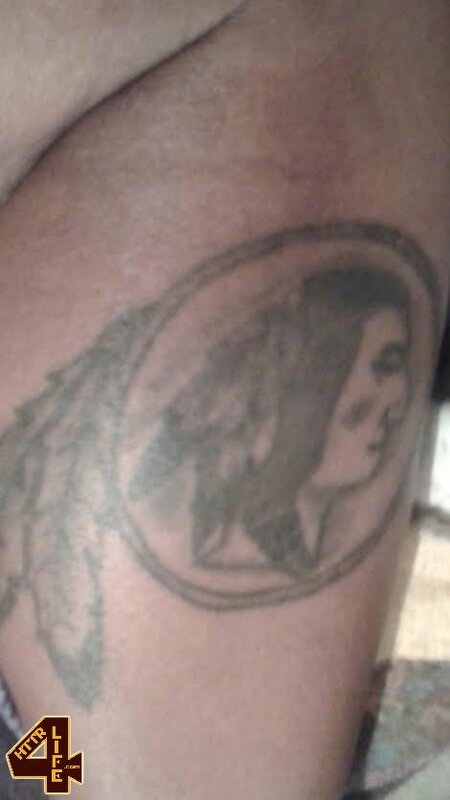 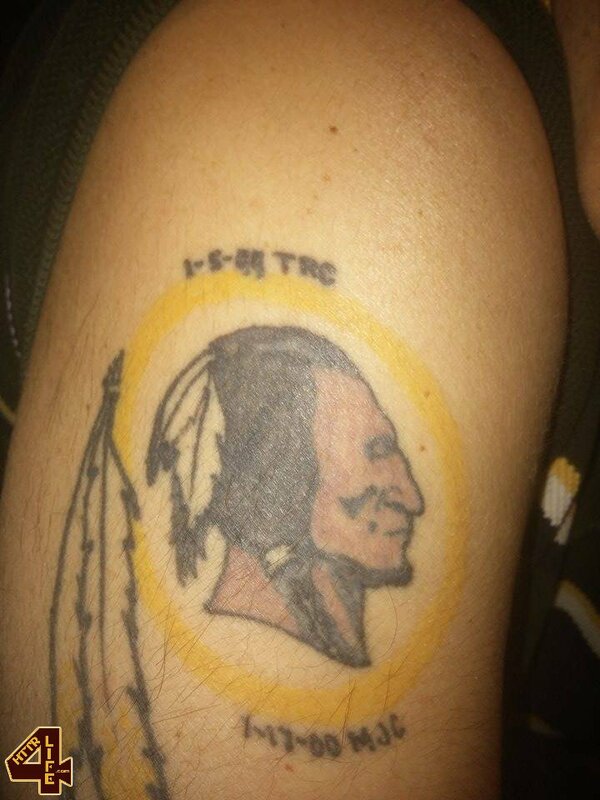 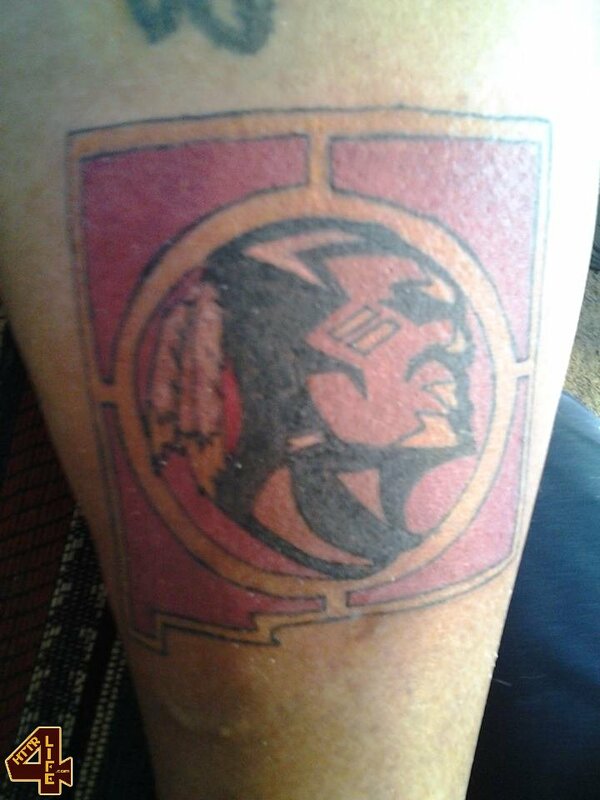 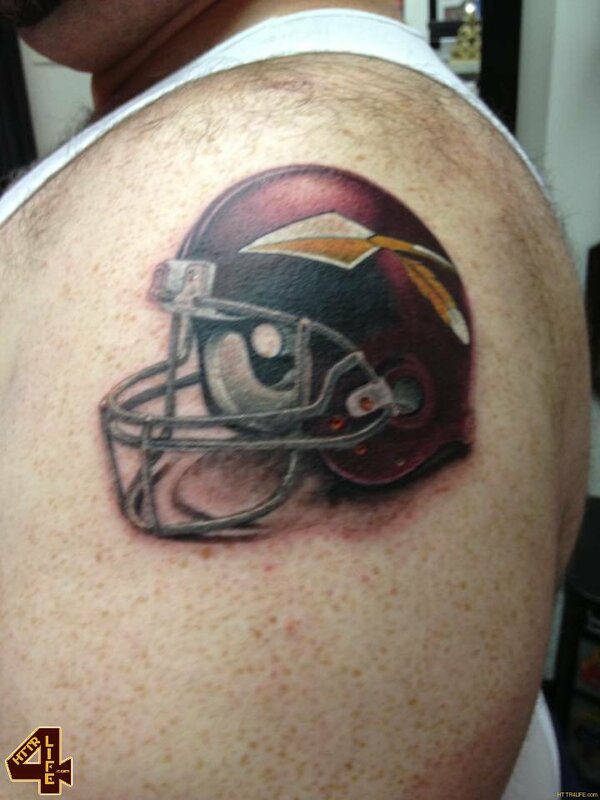 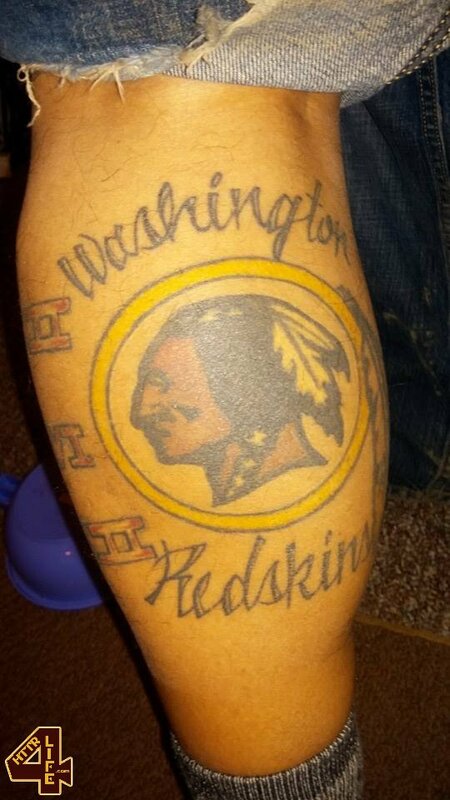 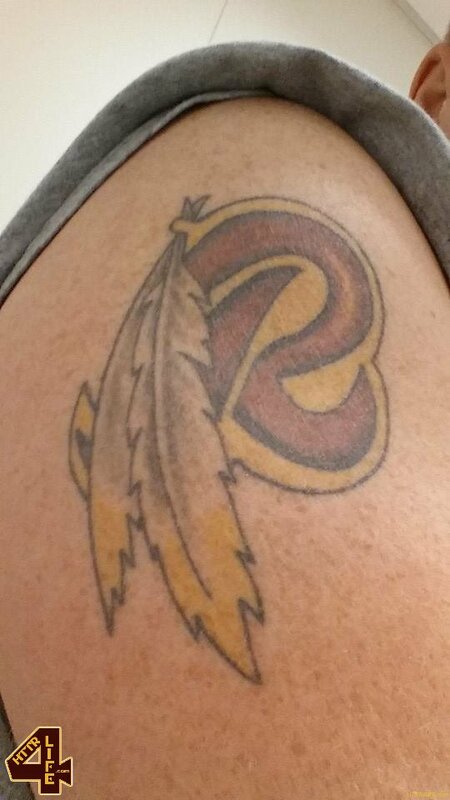 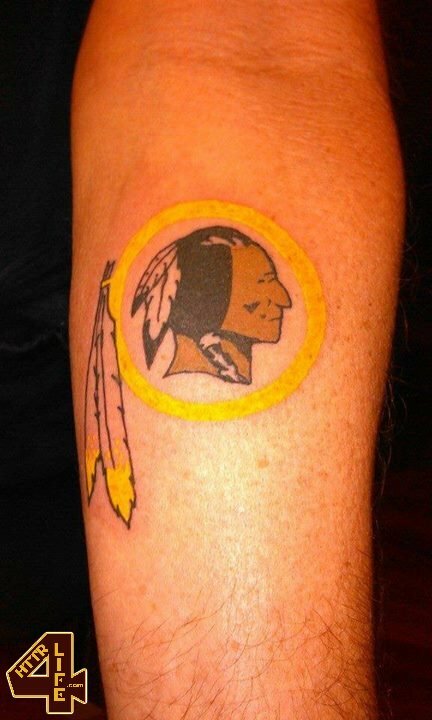 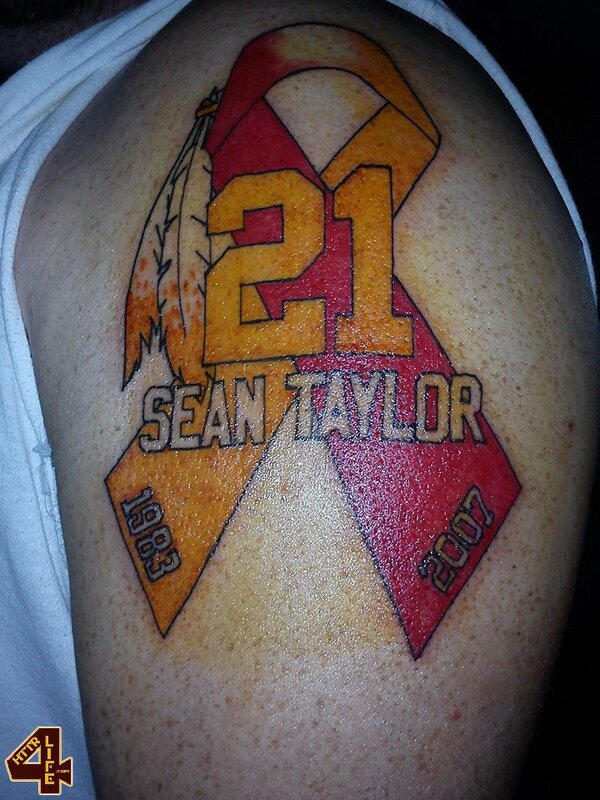 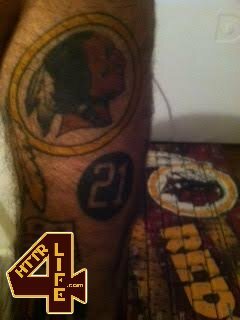 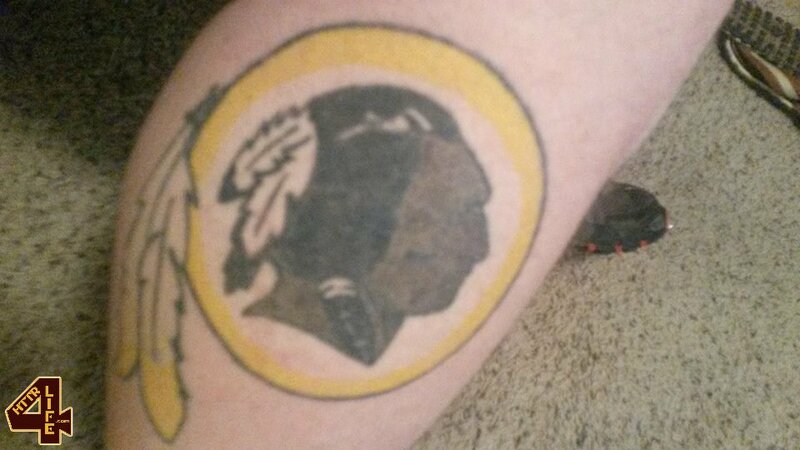 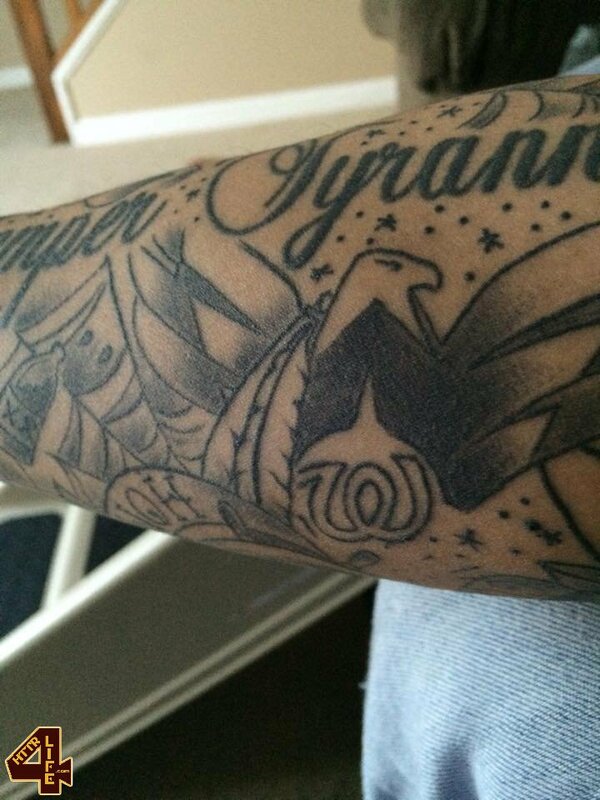 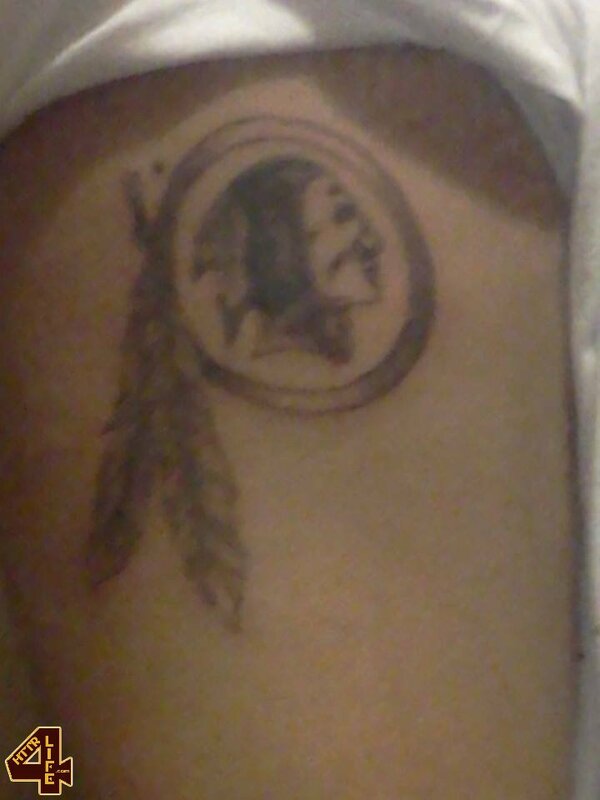 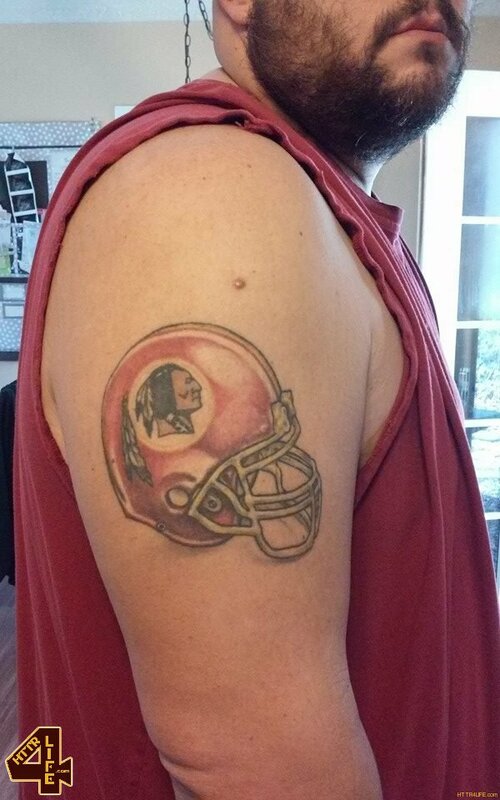 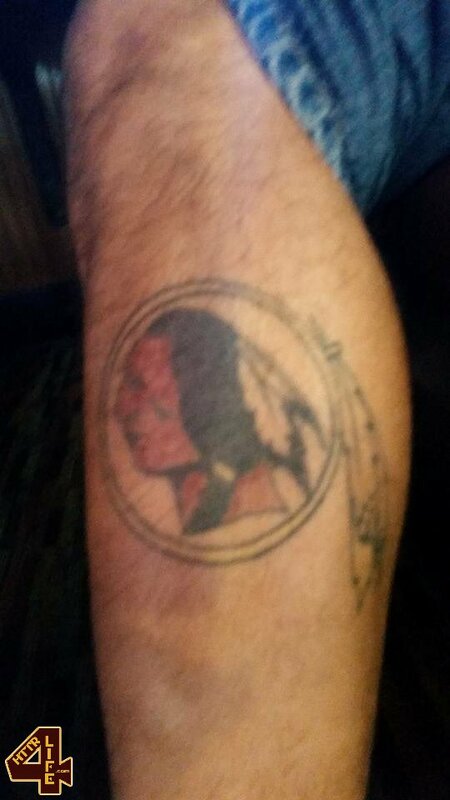 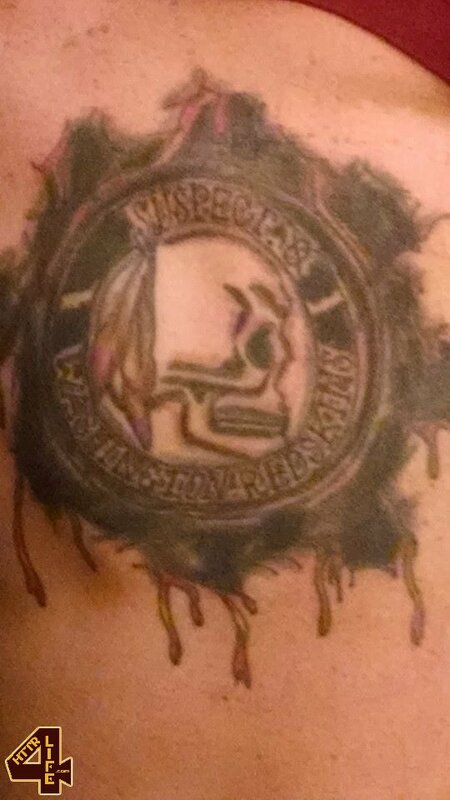 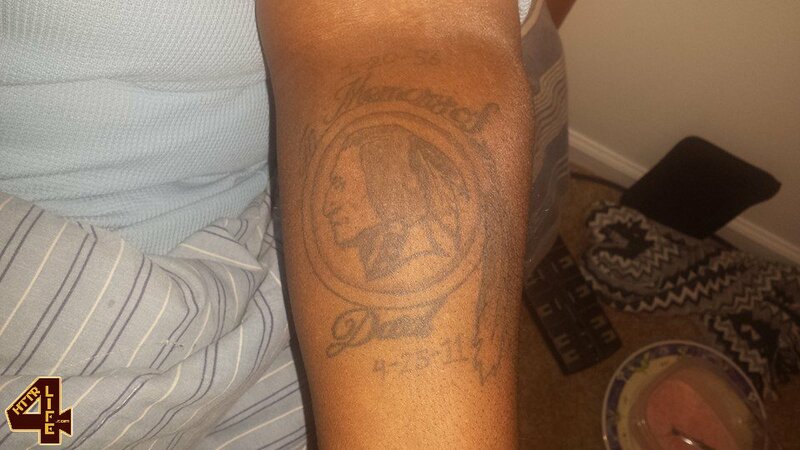 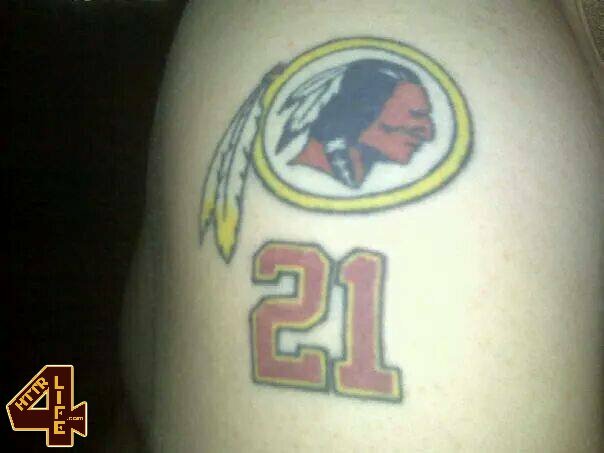 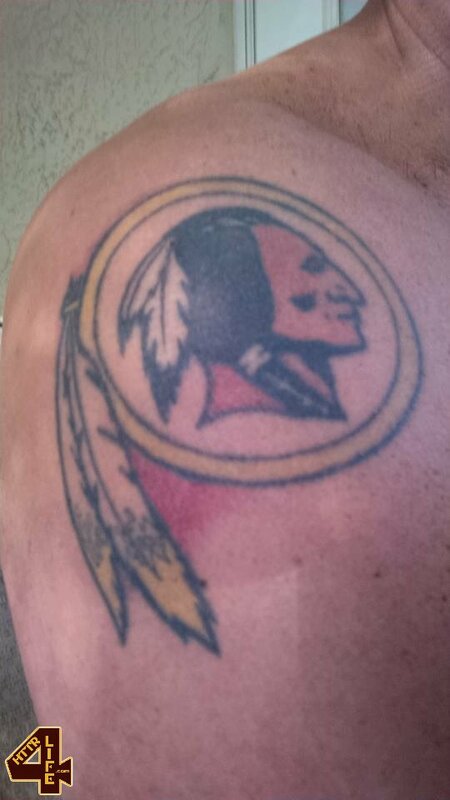 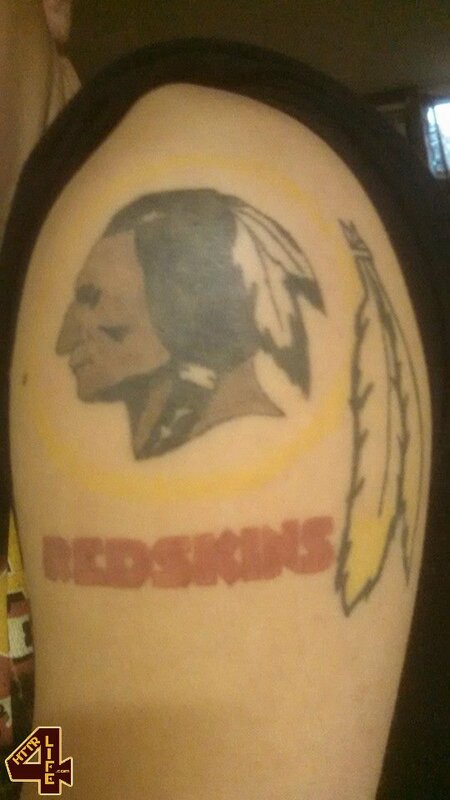 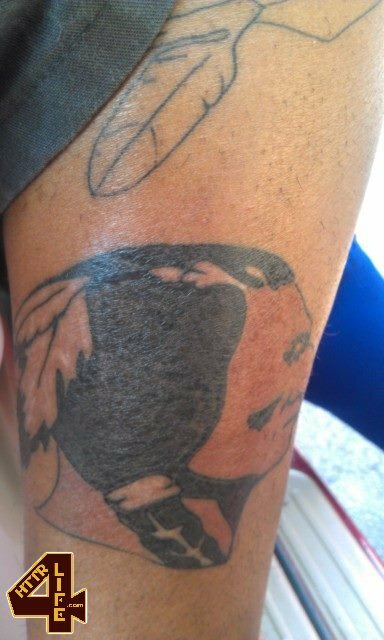 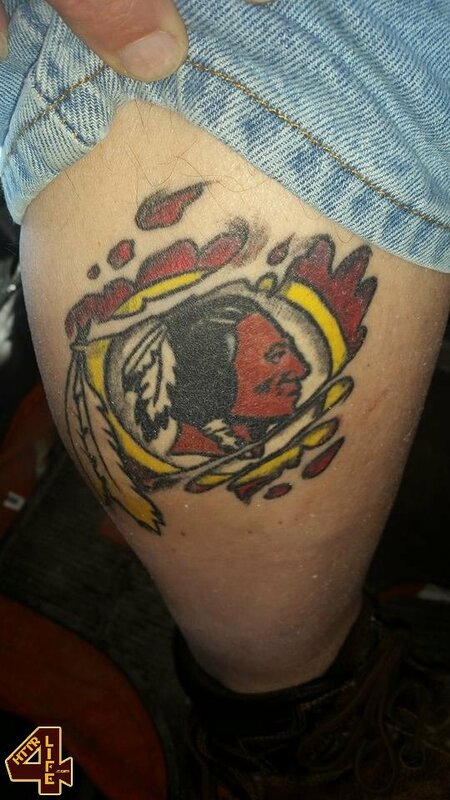 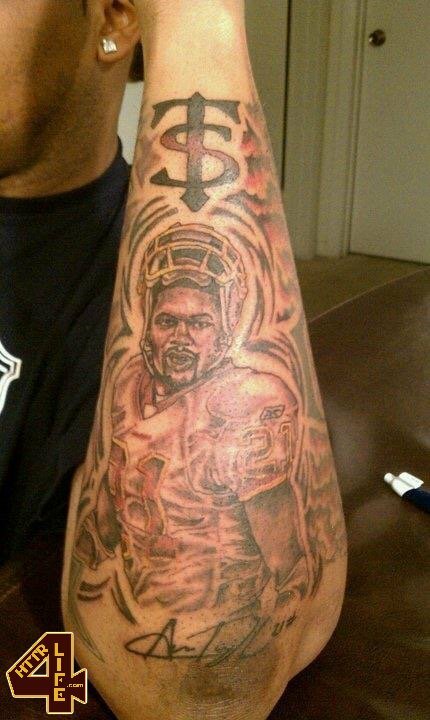 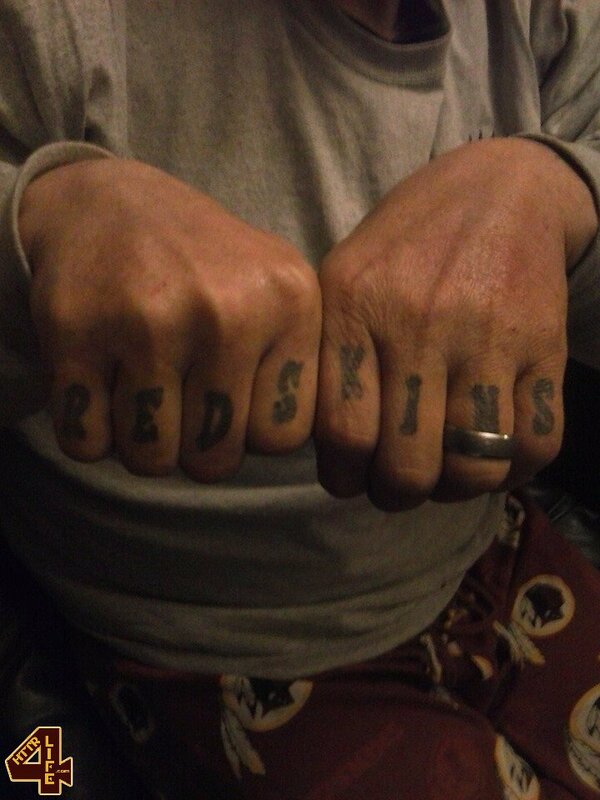 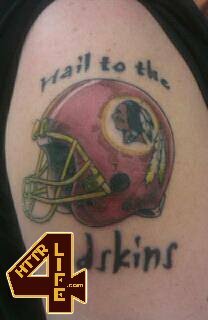 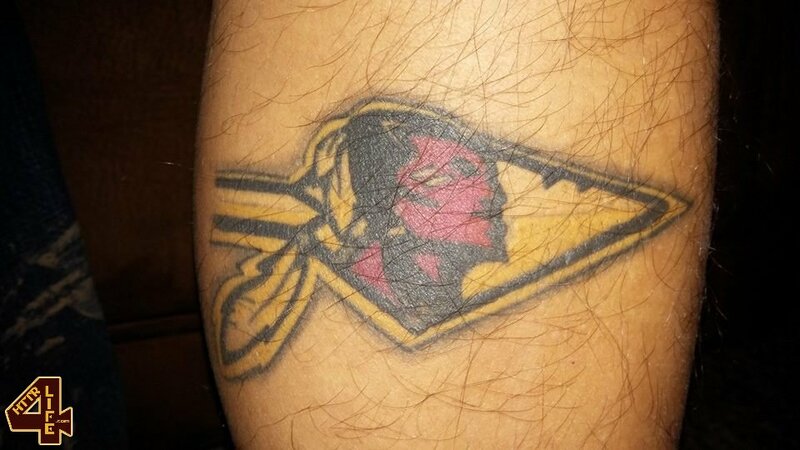 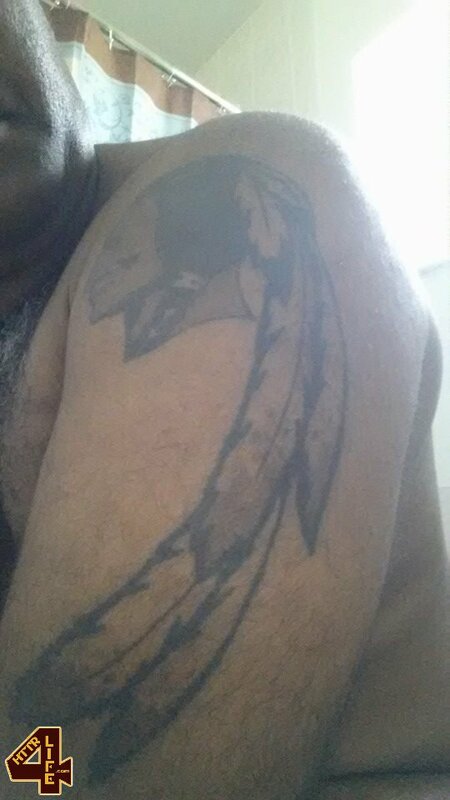 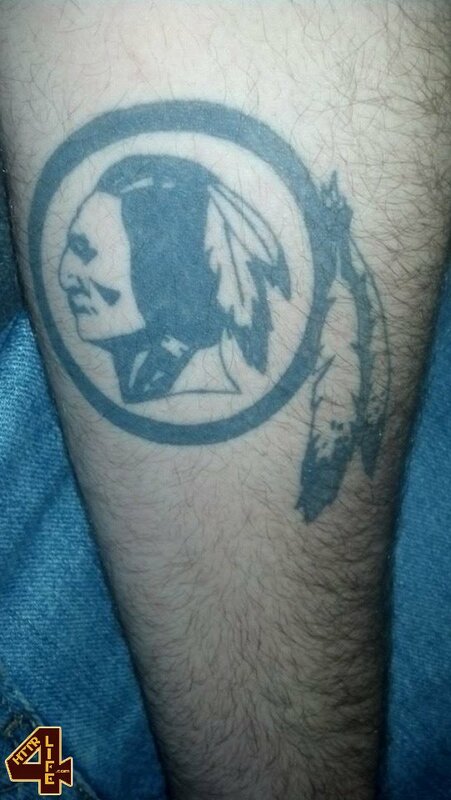 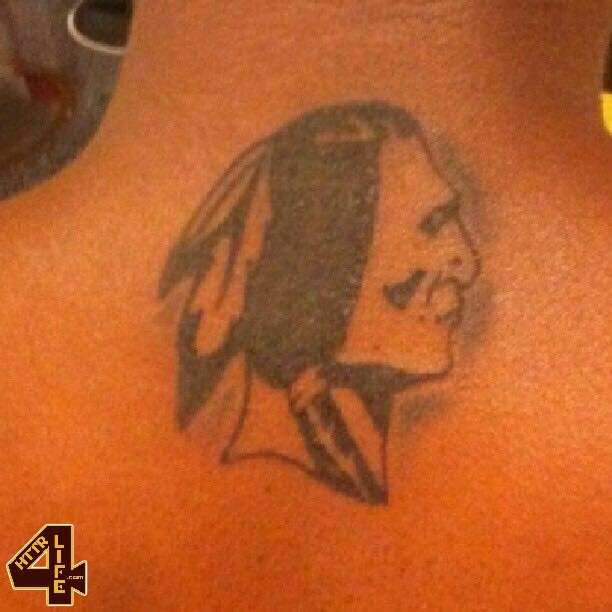 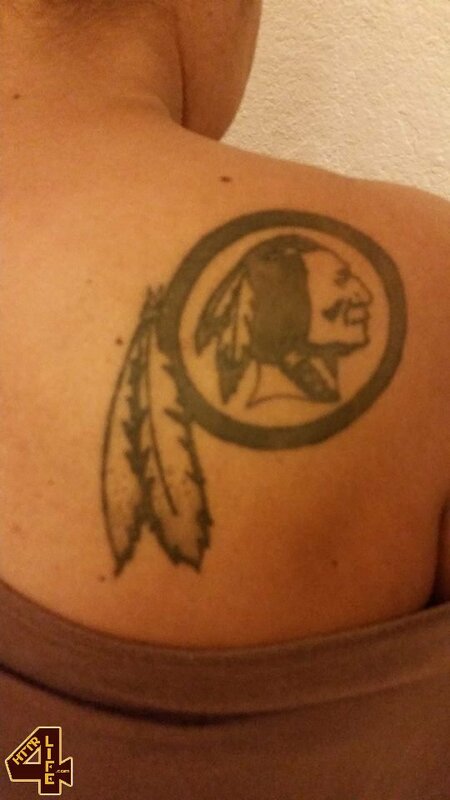 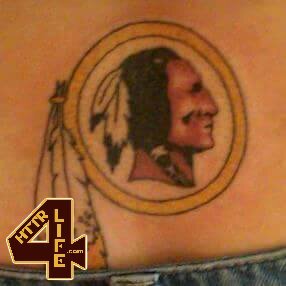 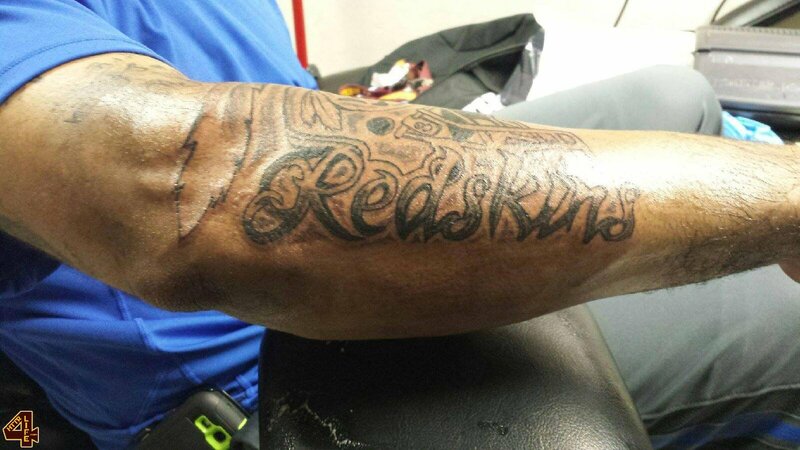 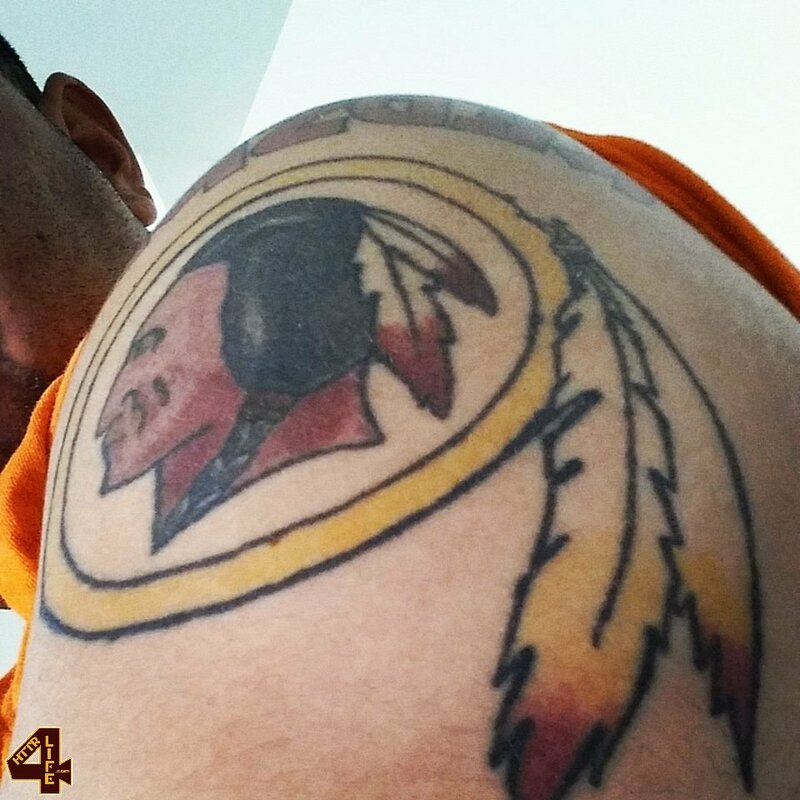 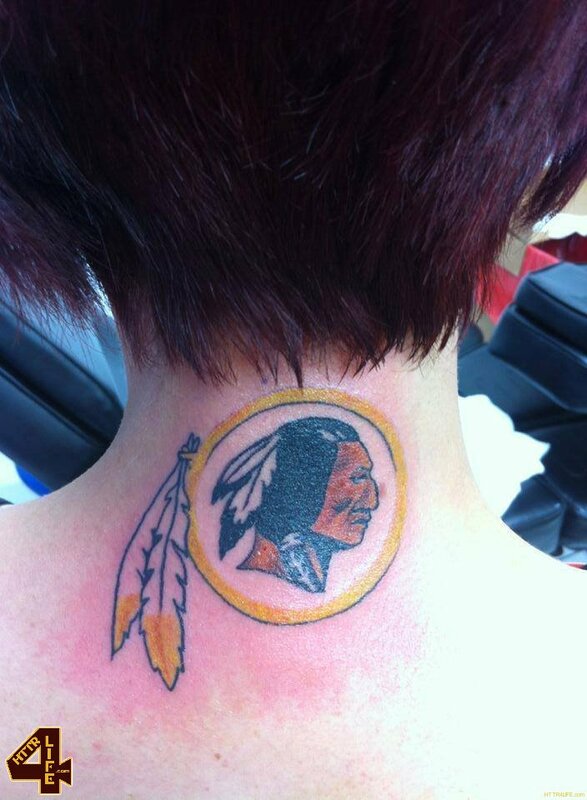 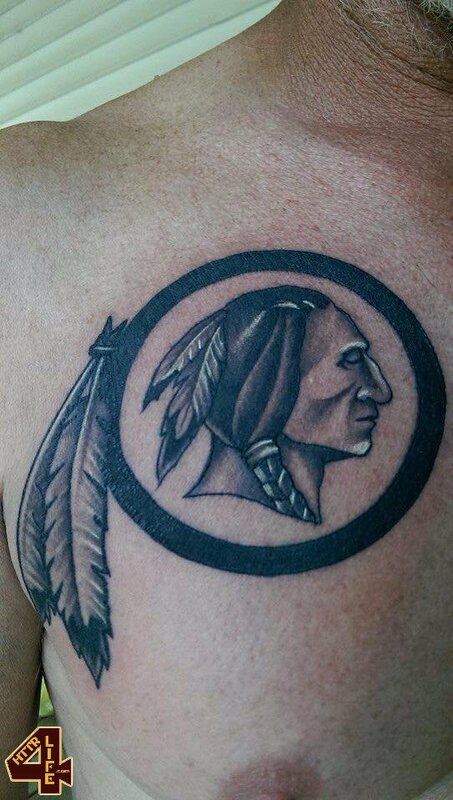 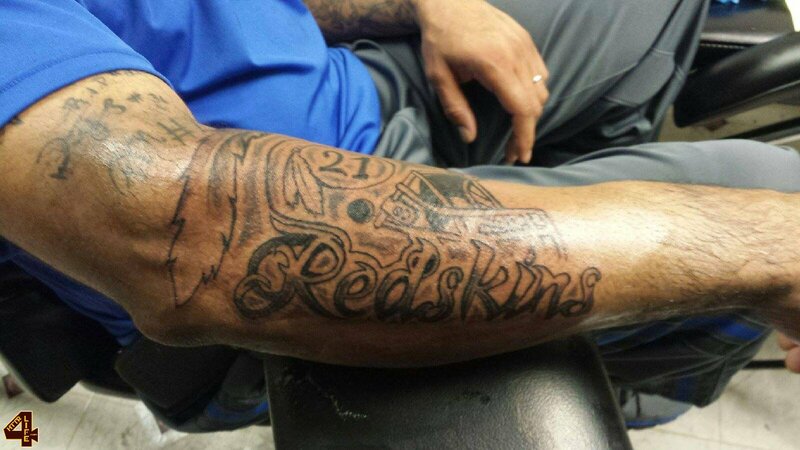 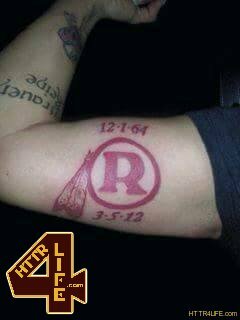 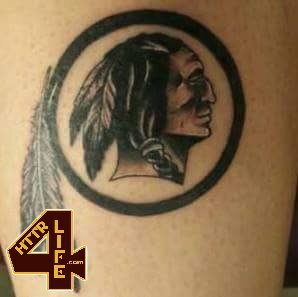 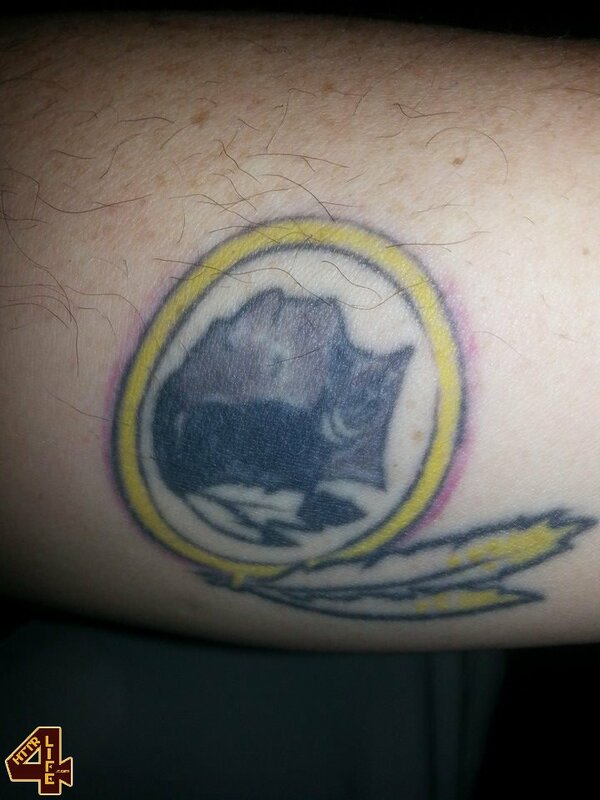 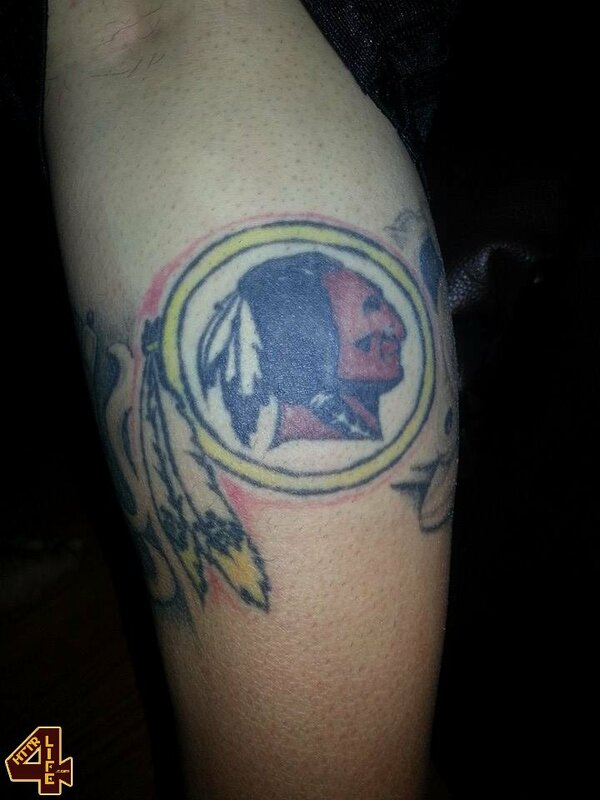 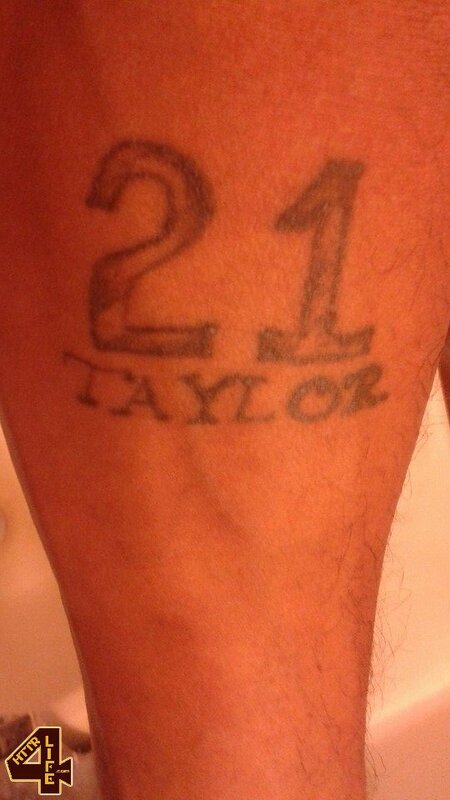 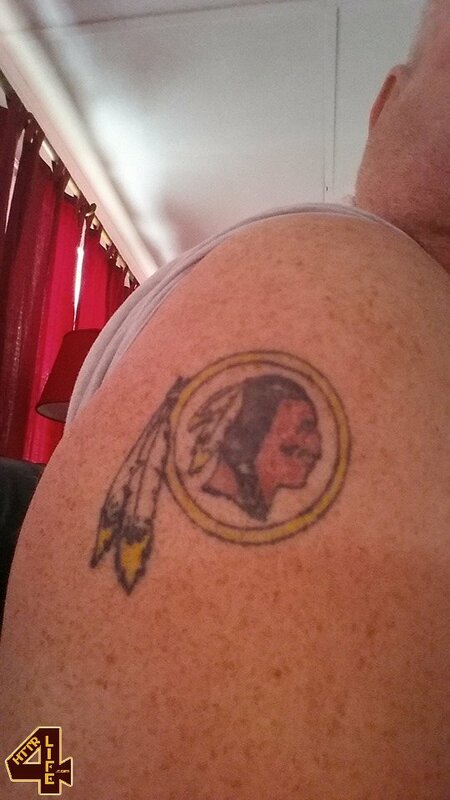 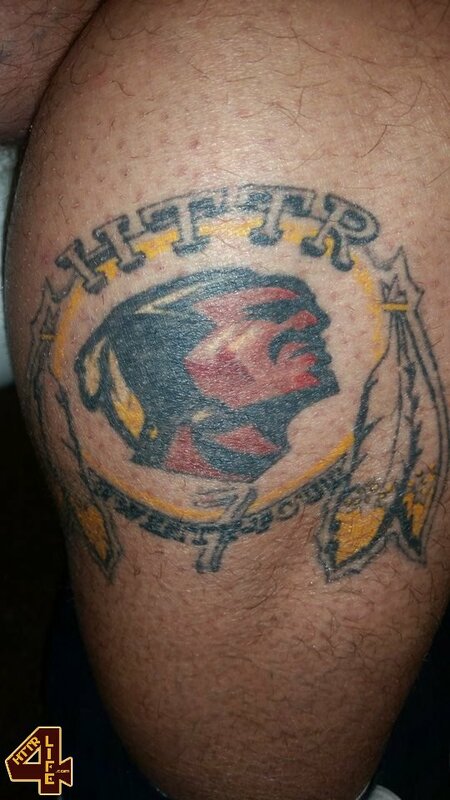 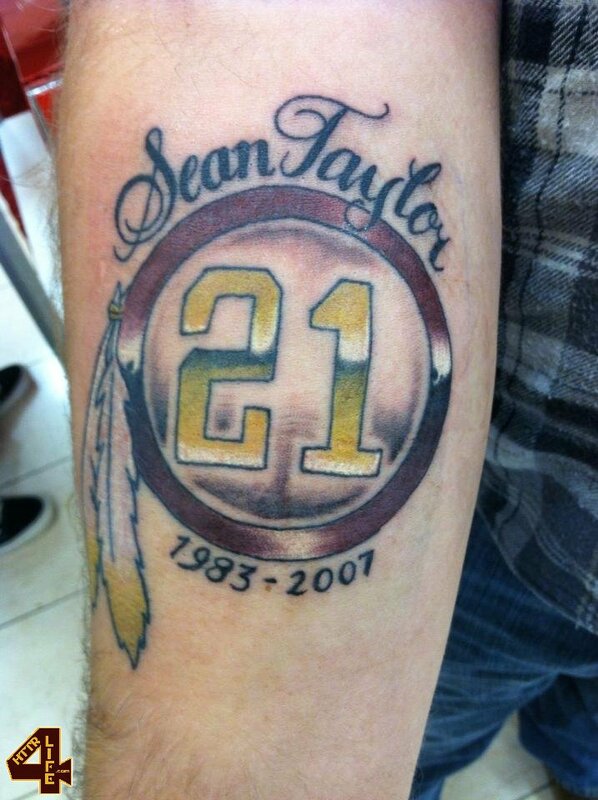 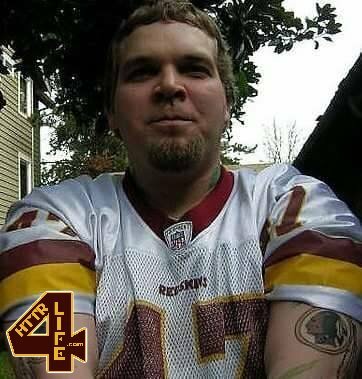 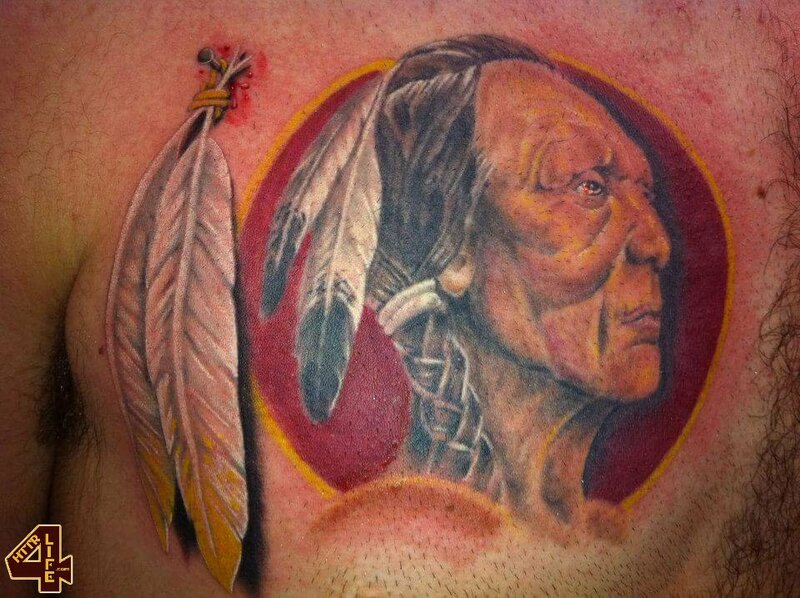 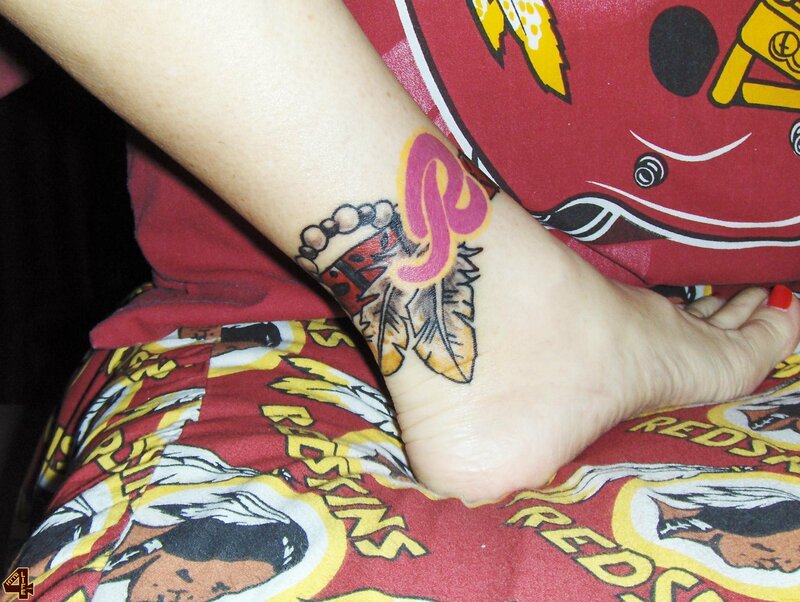 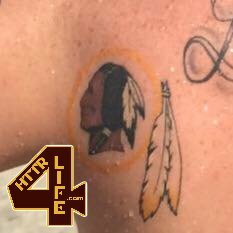 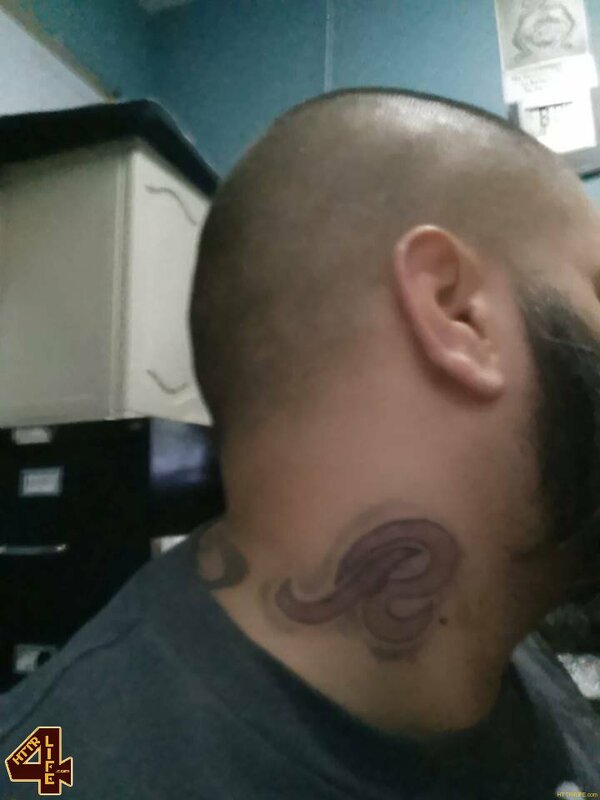 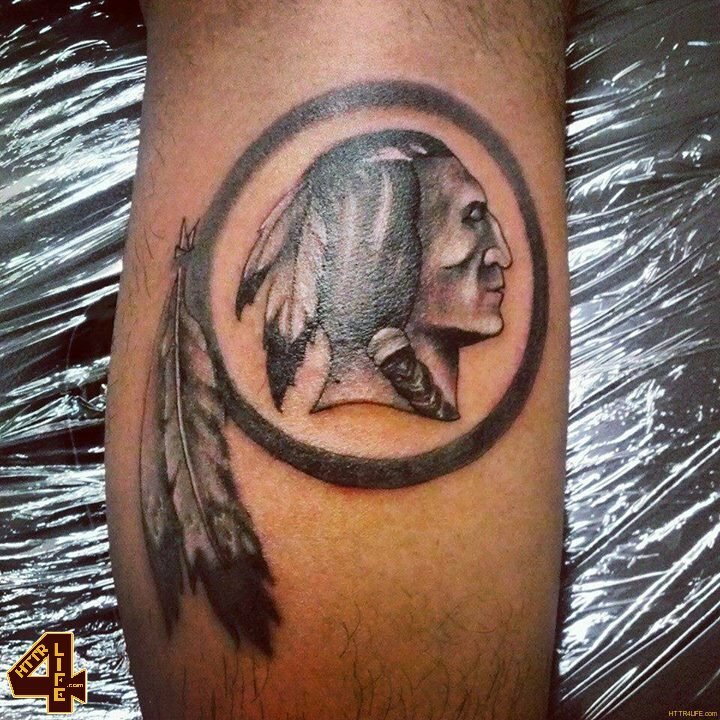 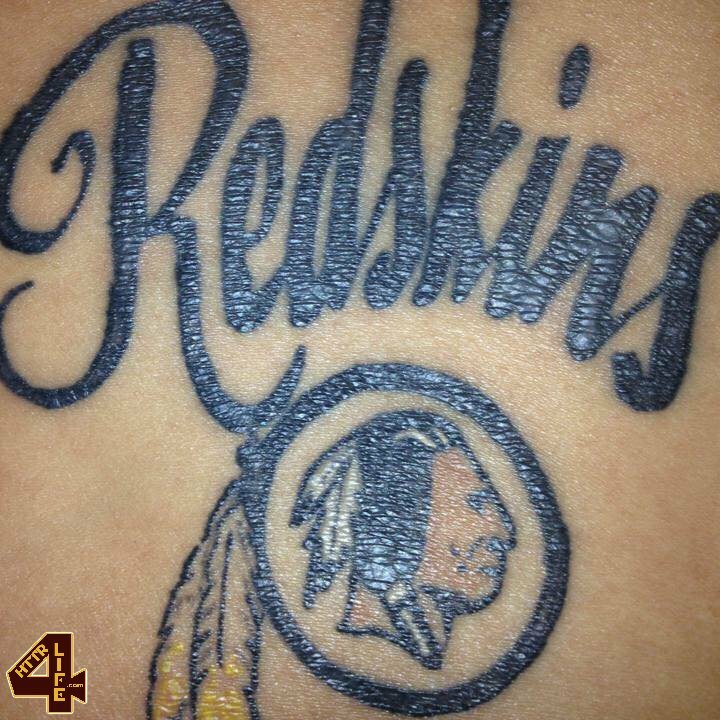 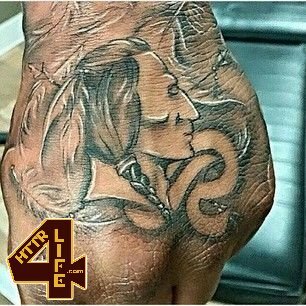 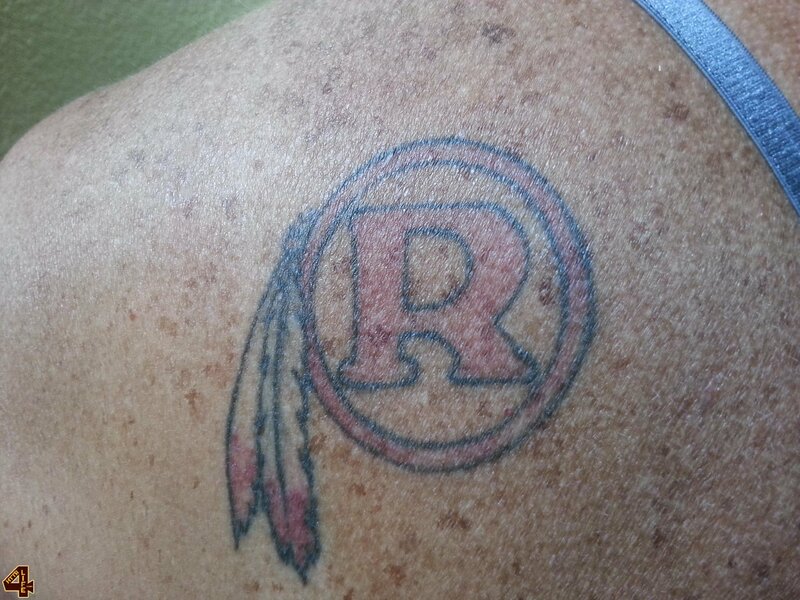 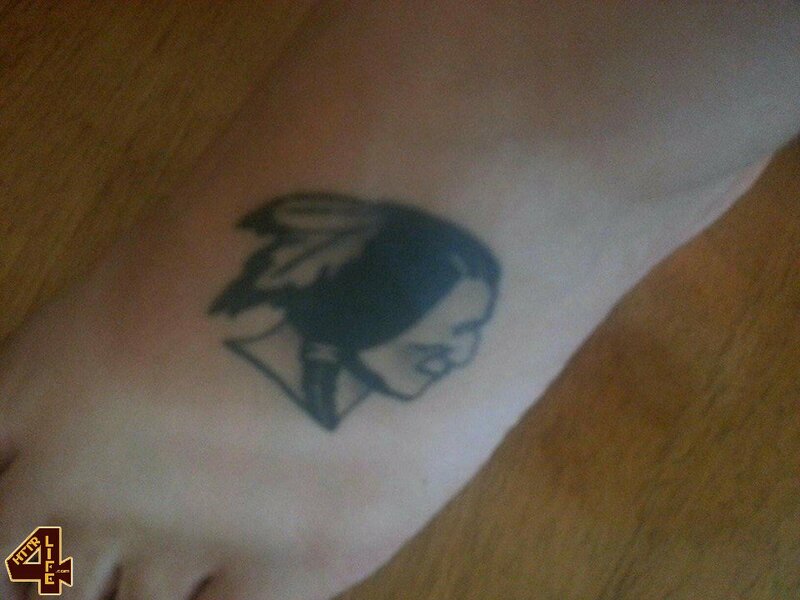 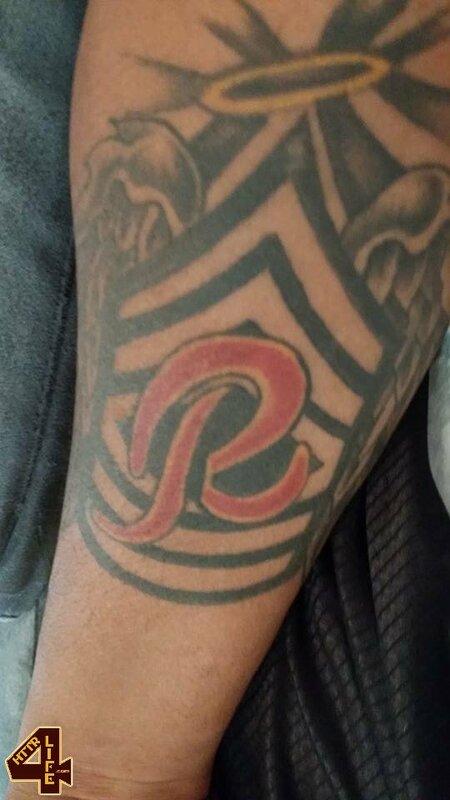 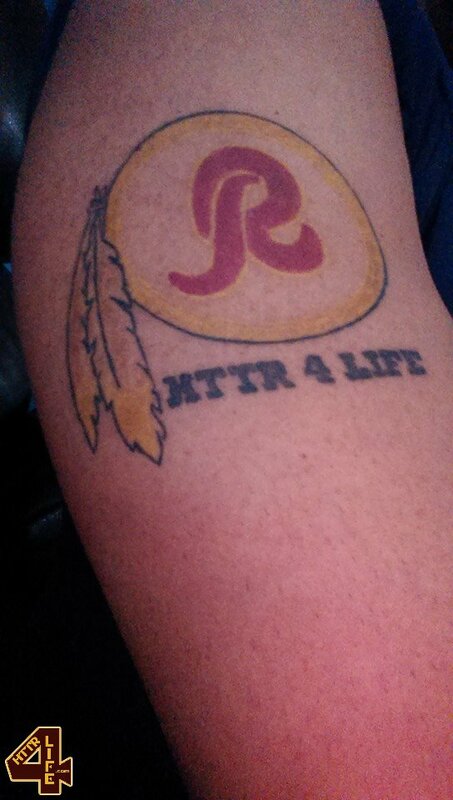 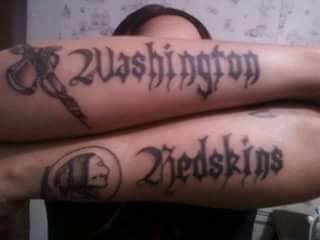 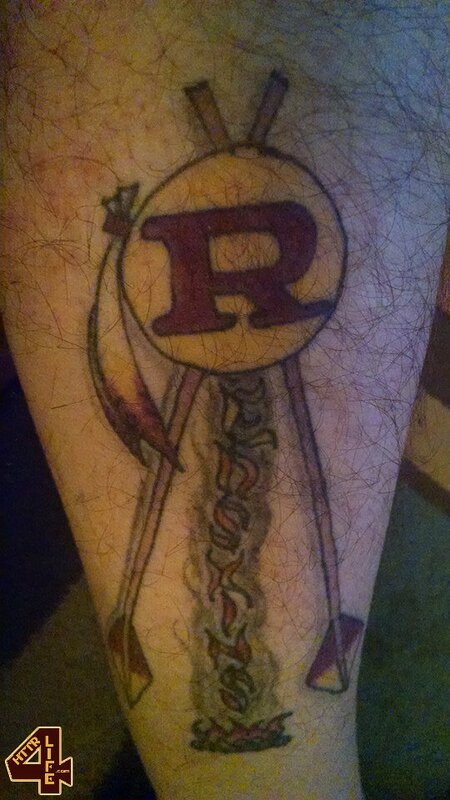 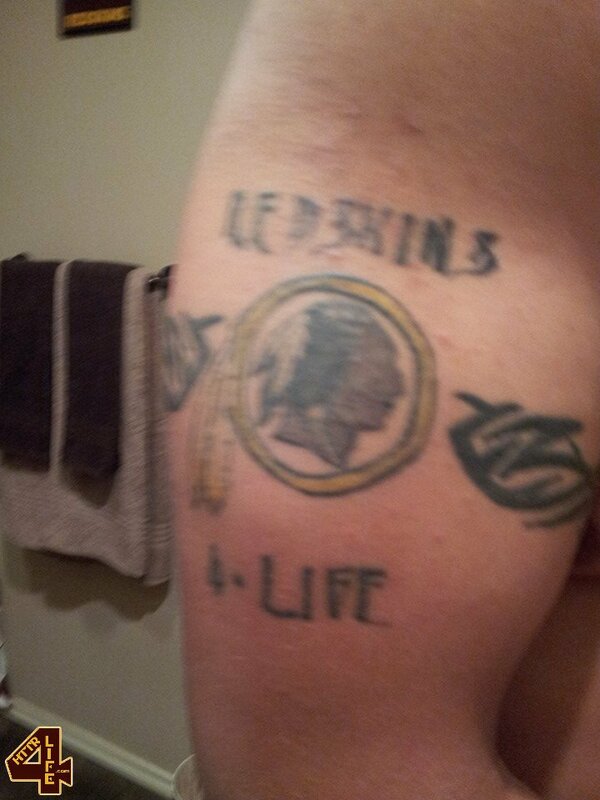 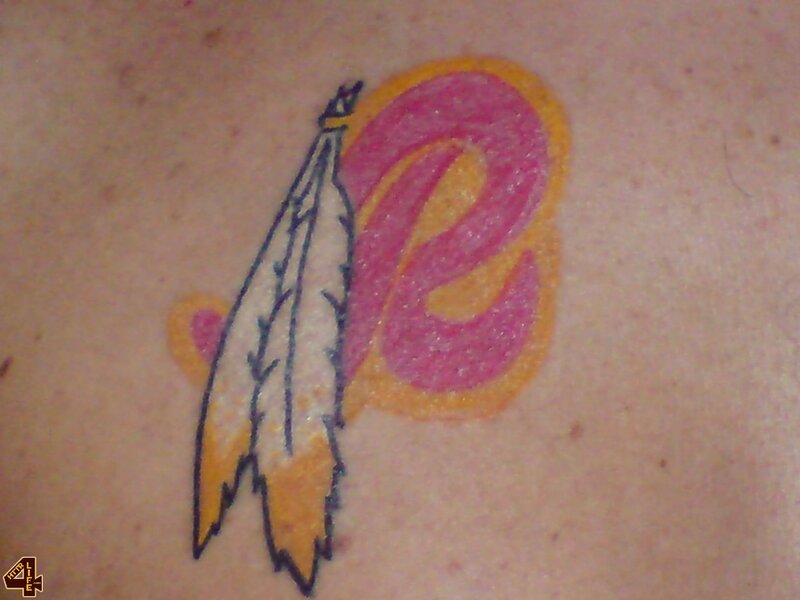 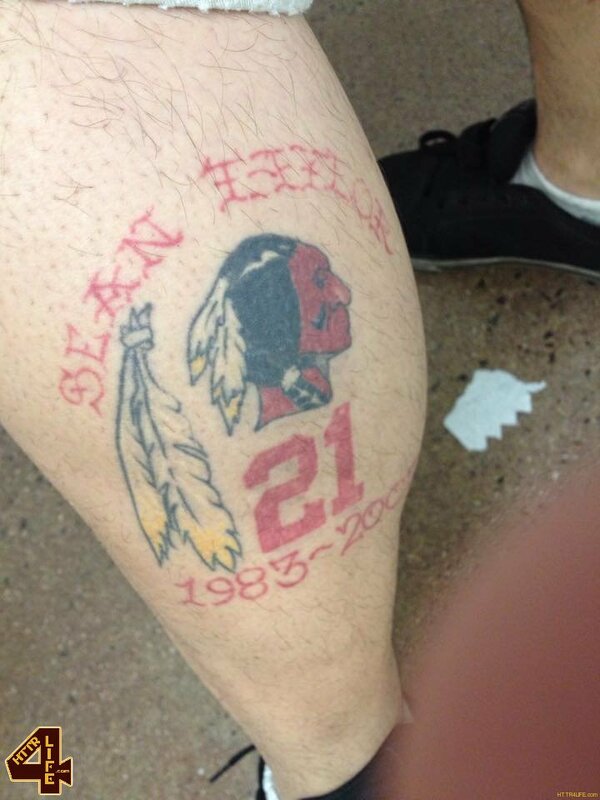 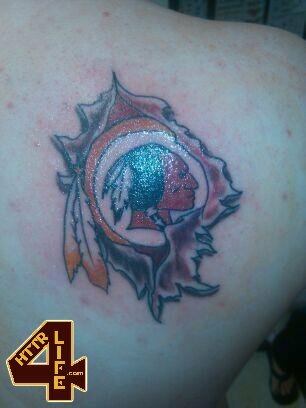 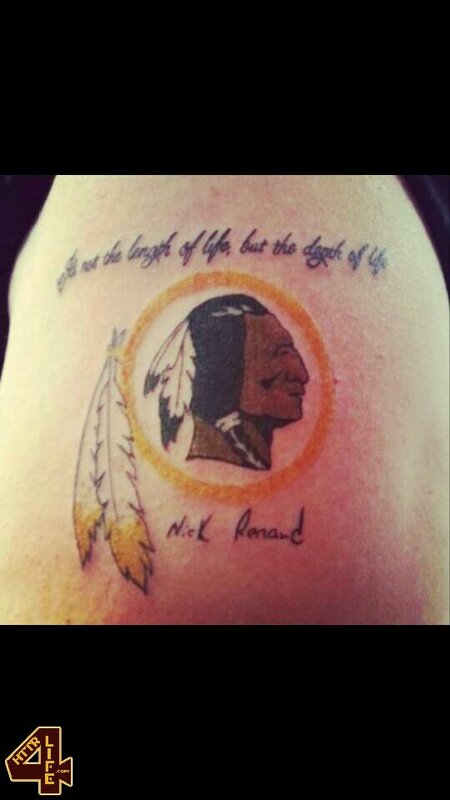 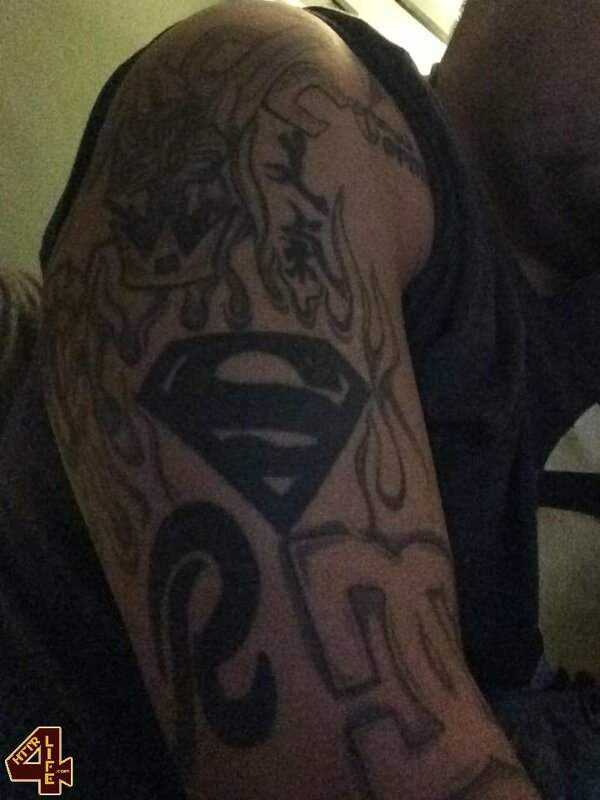 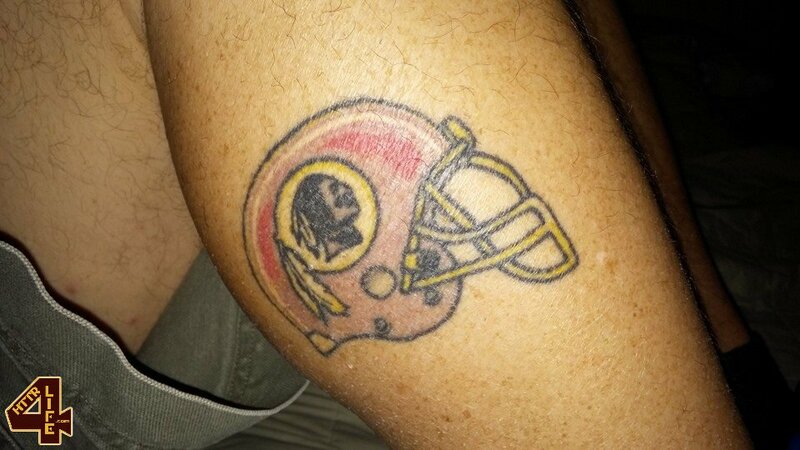 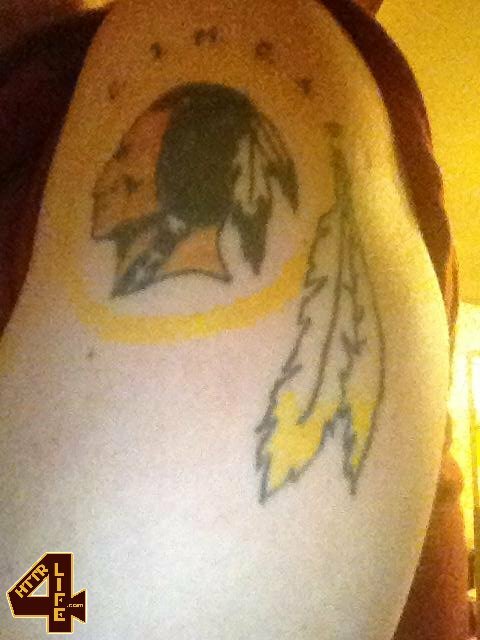 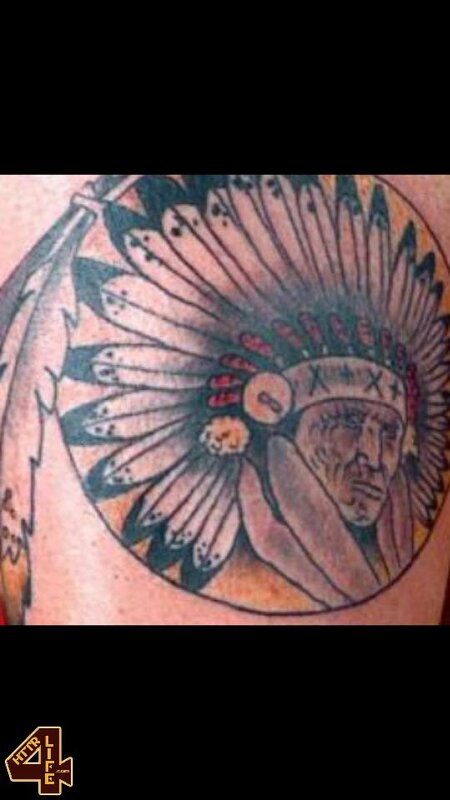 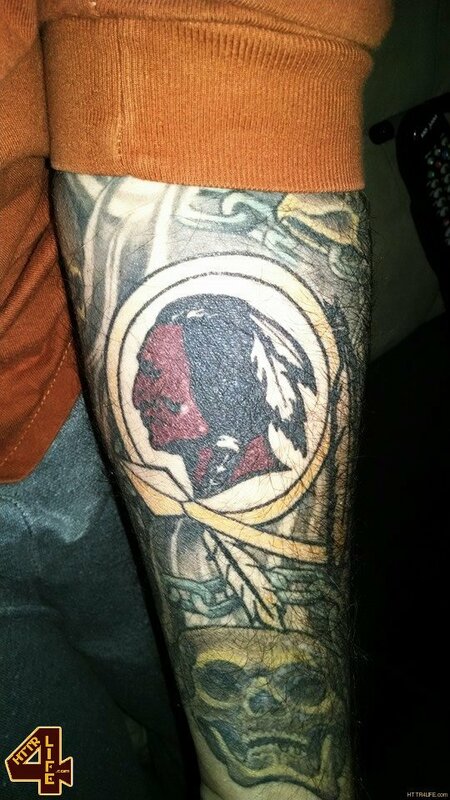 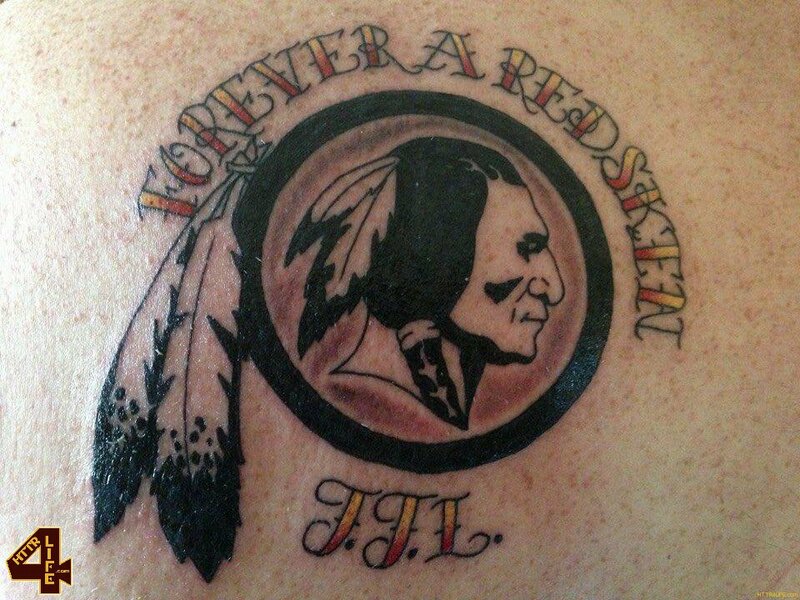 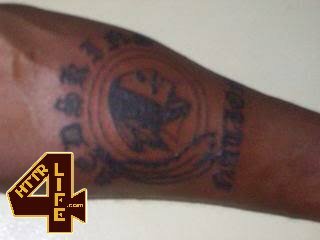 If you have a Redskins tattoo and would like to add it to the collection you can email us with the picture(s) at redskins@httr4life.com. 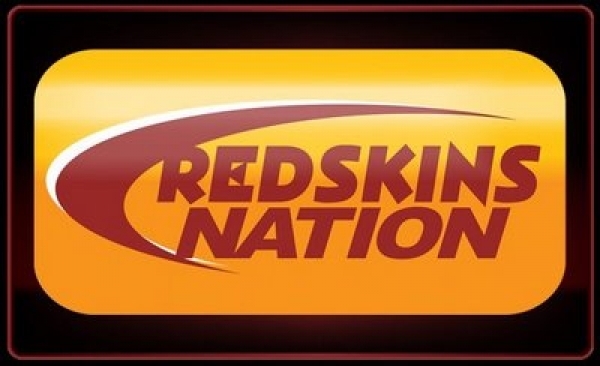 Thanks to everyone that participated and as always—> Hail to the REDSKINS!!! 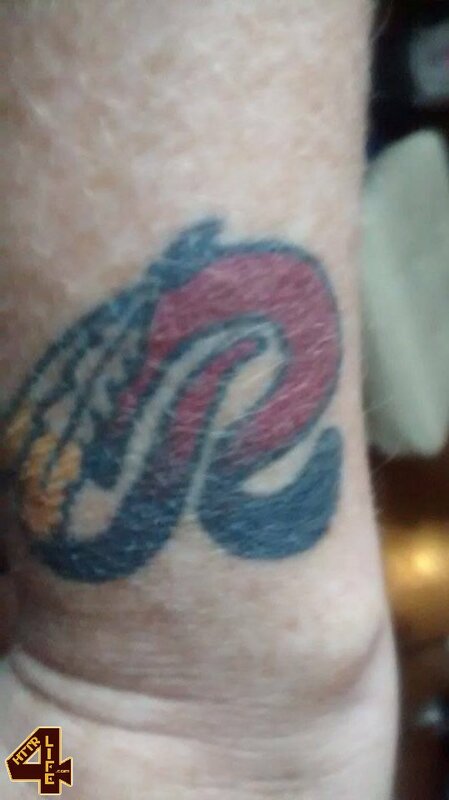 To view each photo at it’s full size just click the thumbnail image you want to see below, to close each picture just click the picture again.